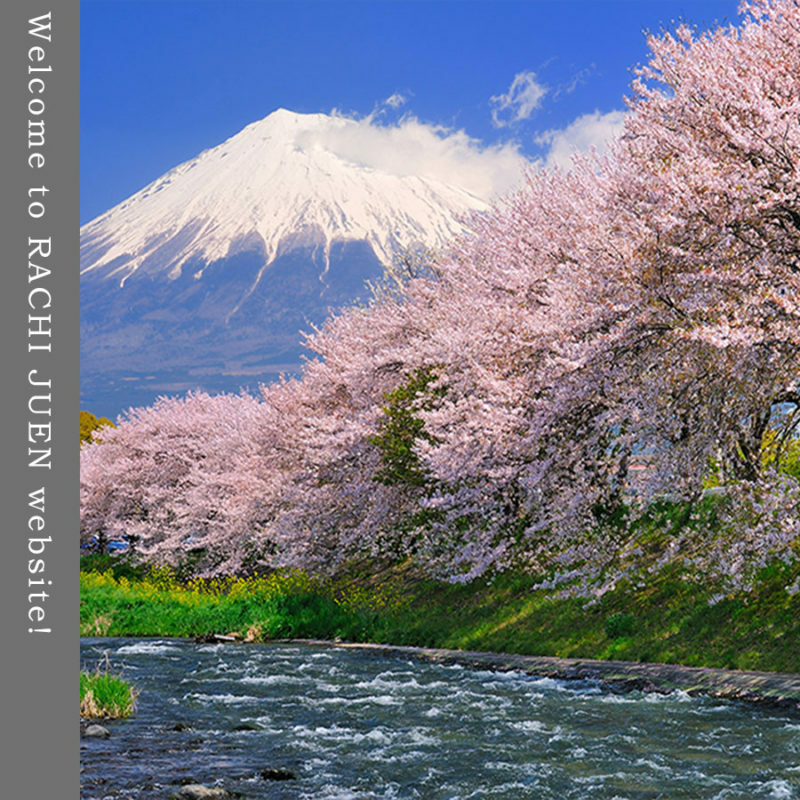 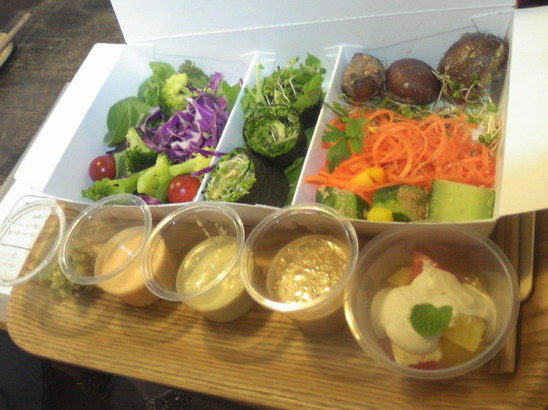 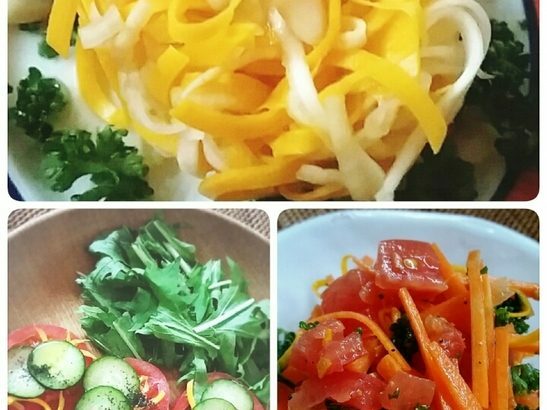 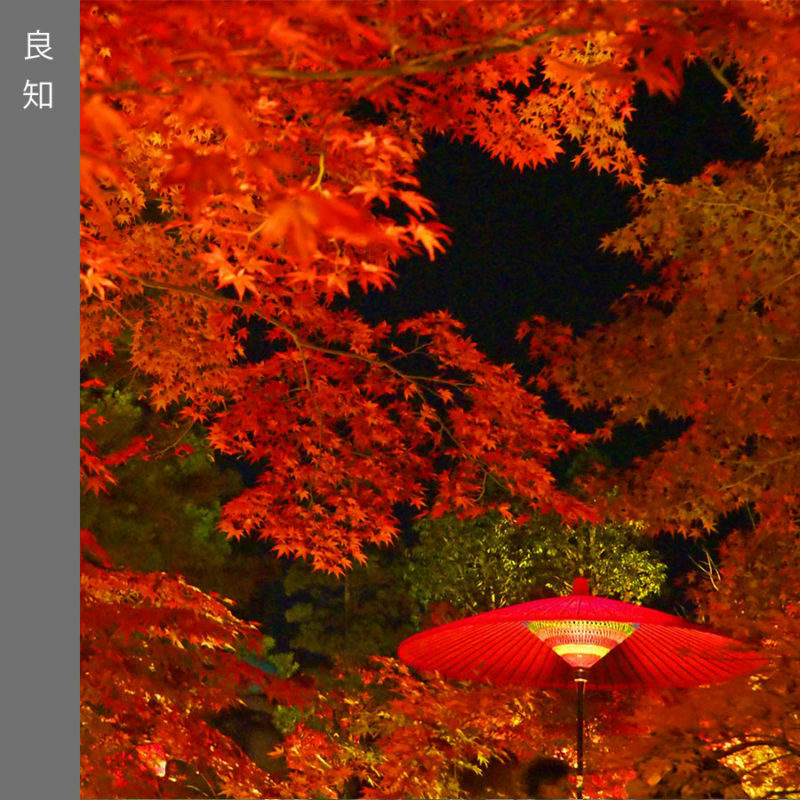 Welcome to RACHI JUEN website! 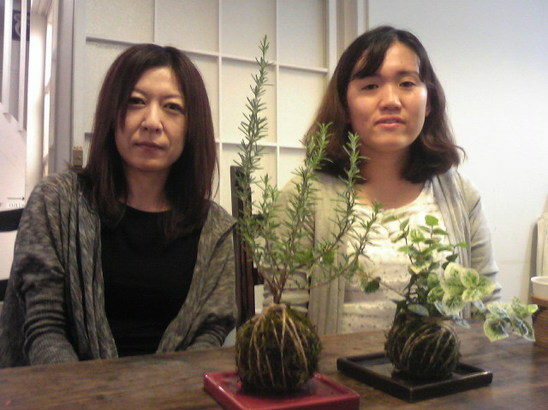 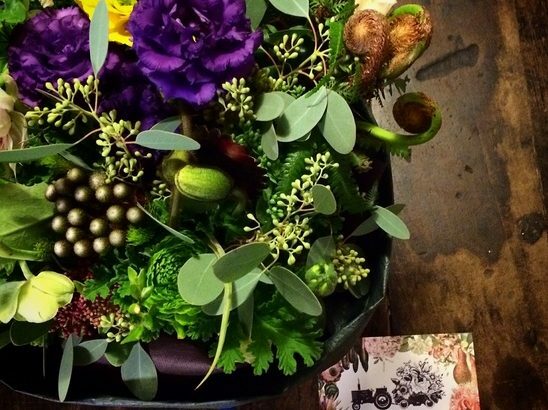 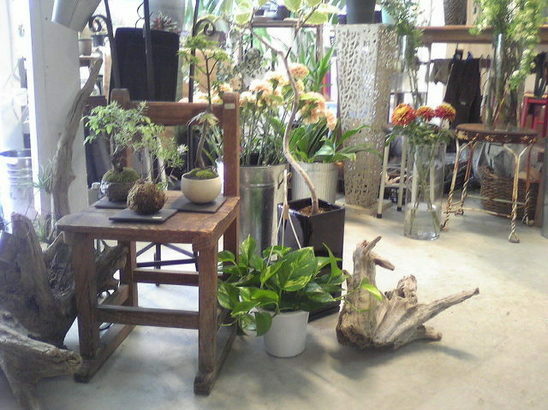 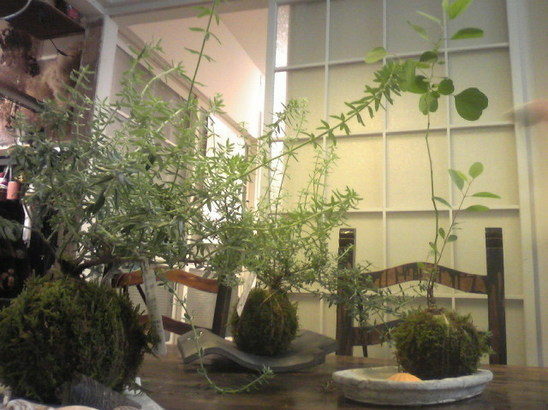 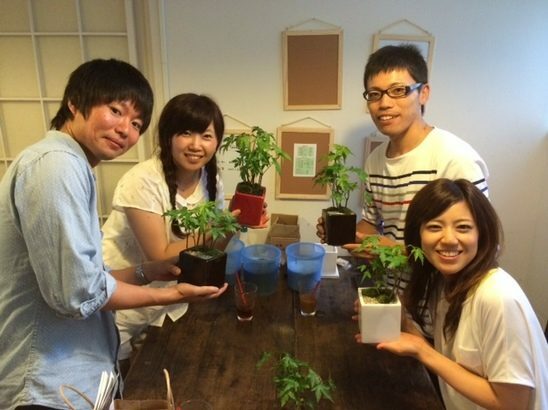 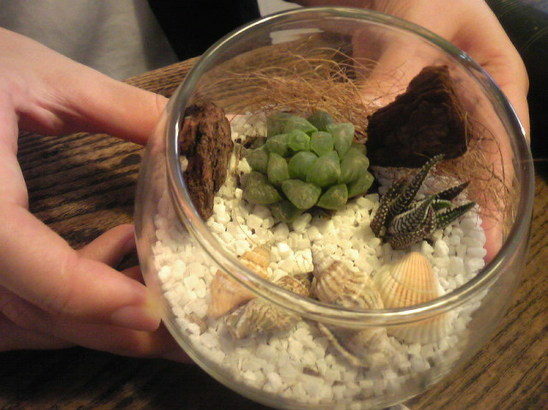 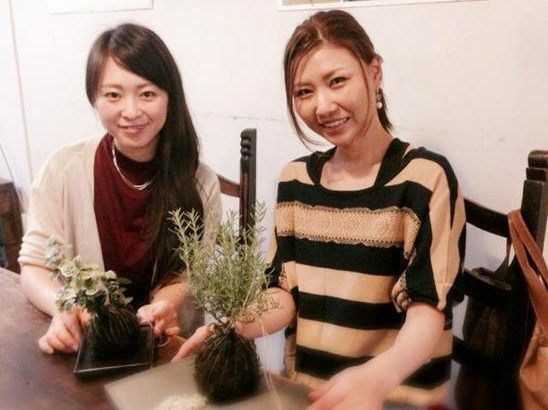 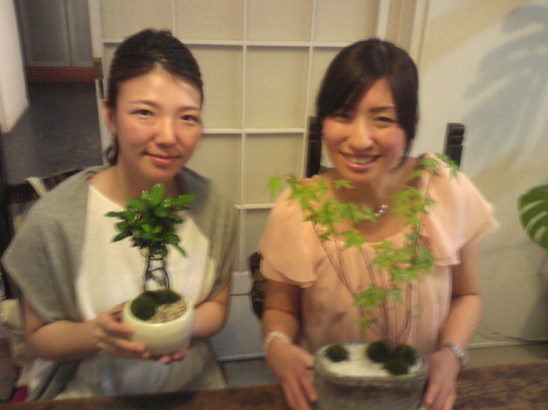 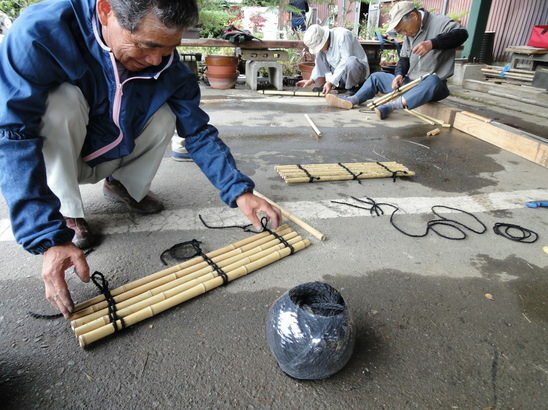 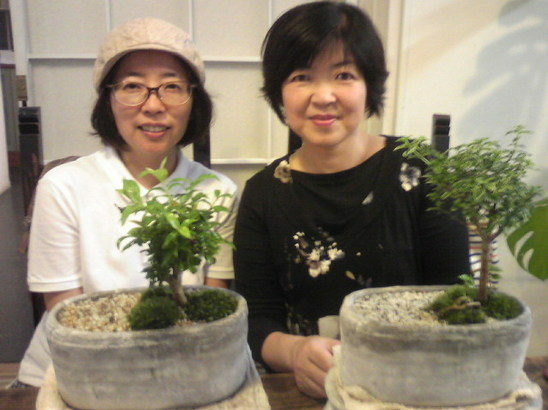 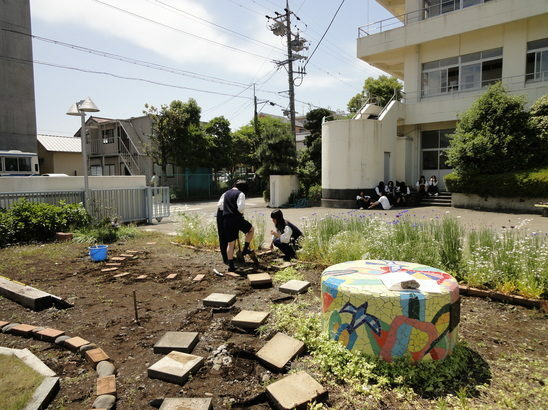 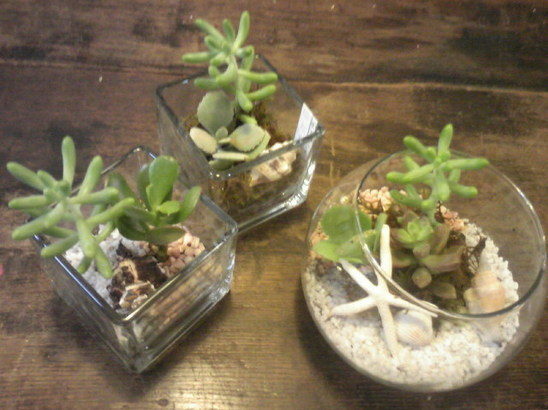 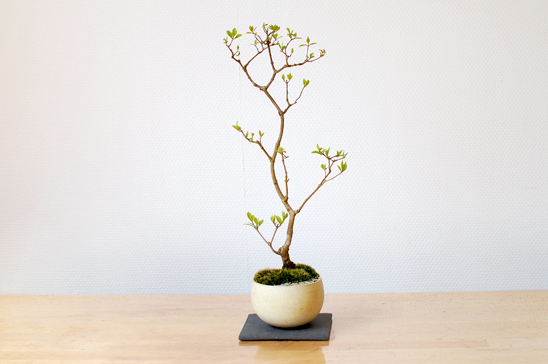 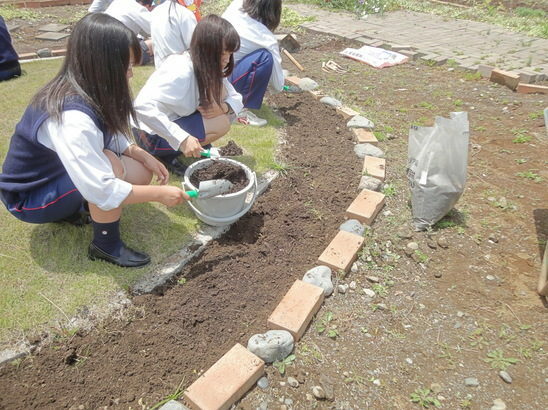 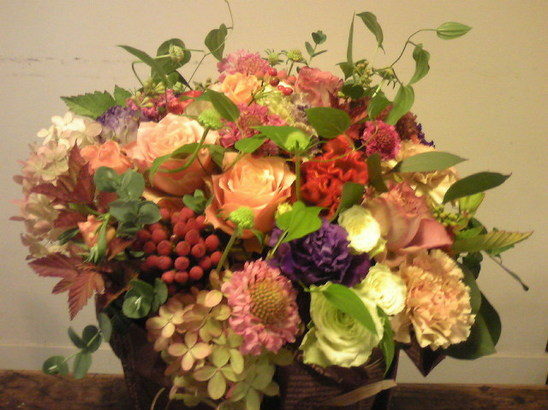 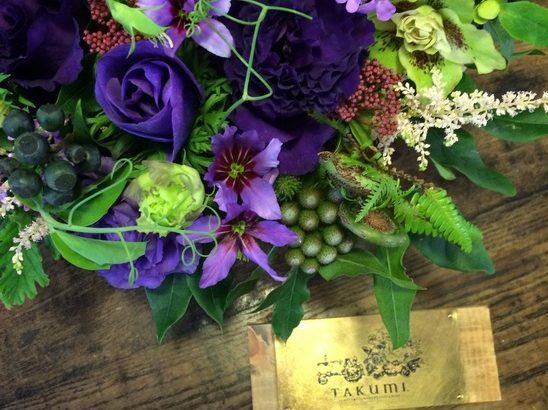 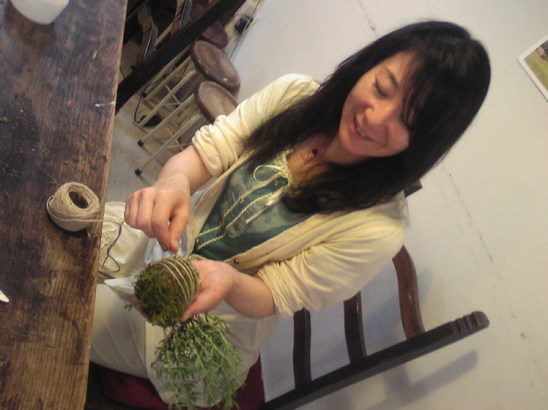 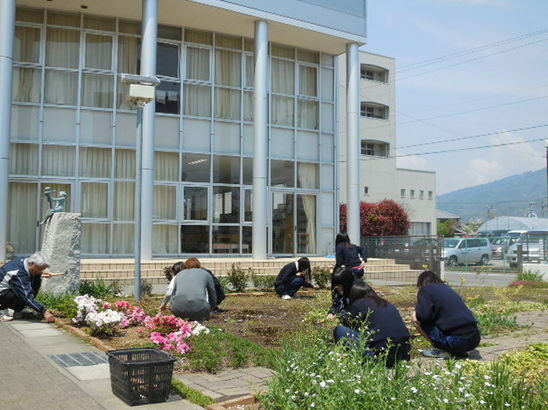 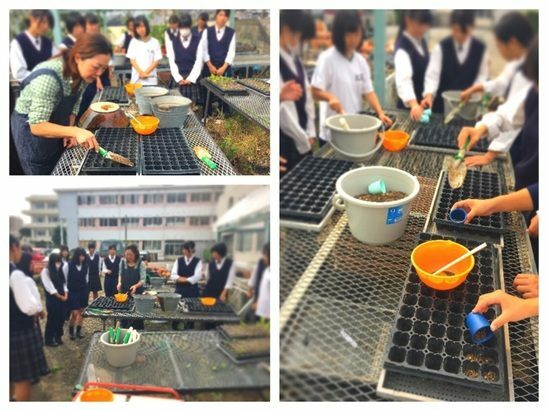 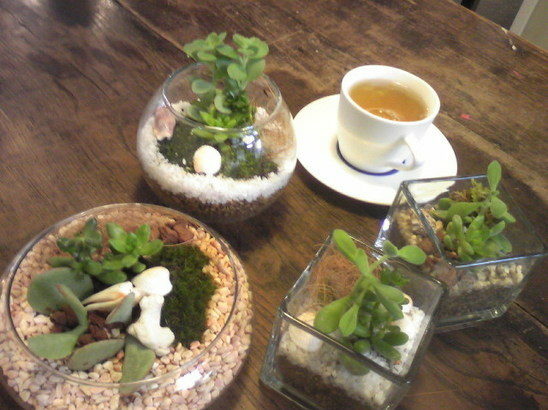 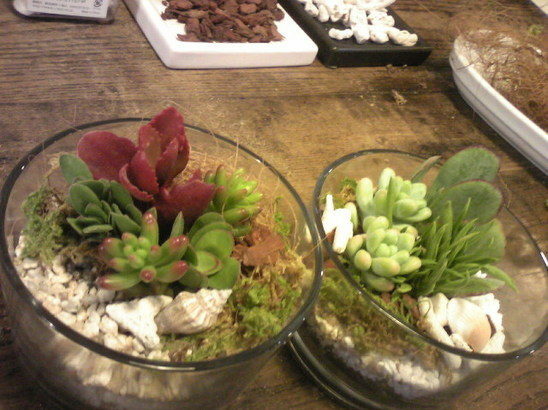 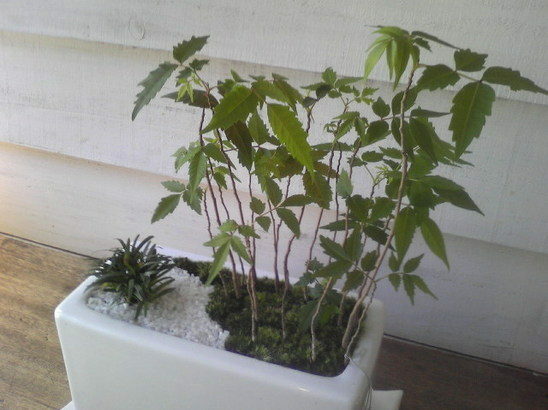 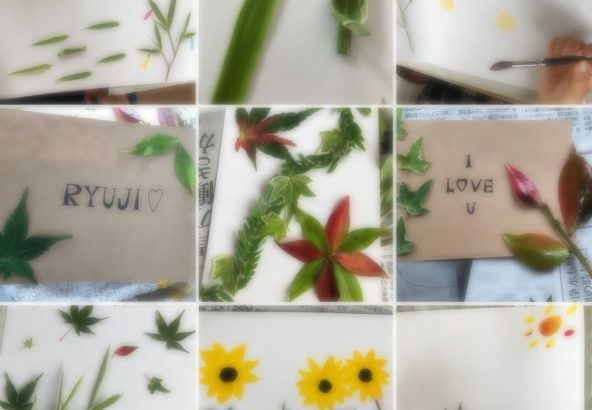 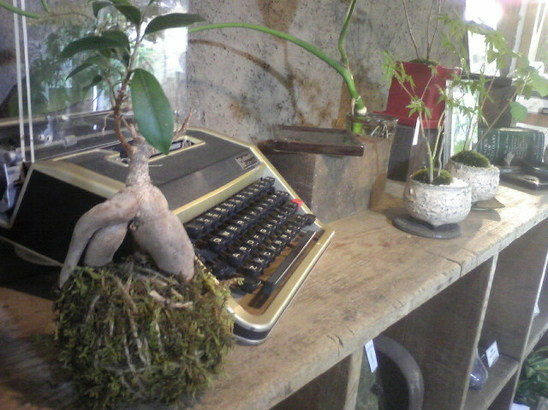 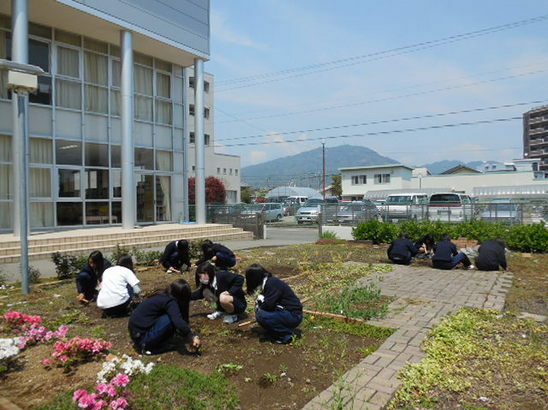 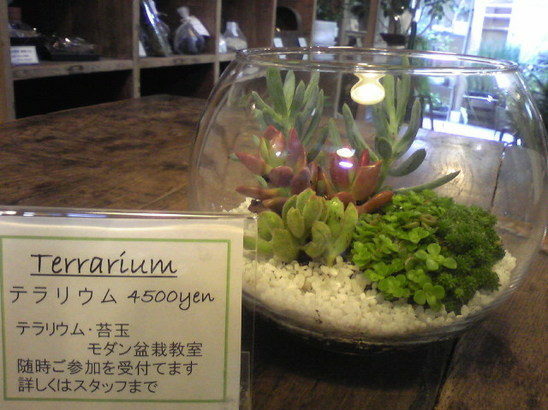 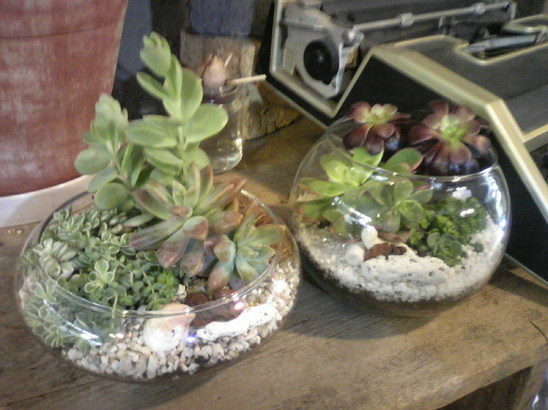 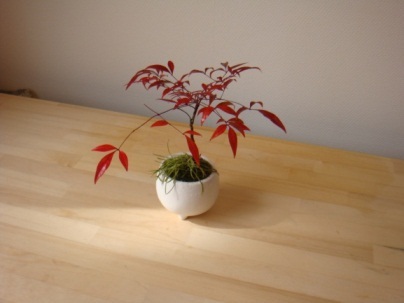 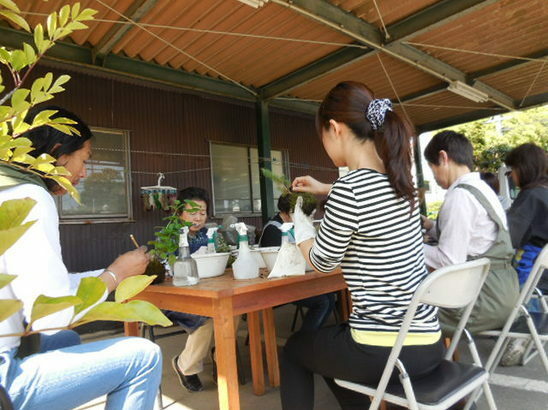 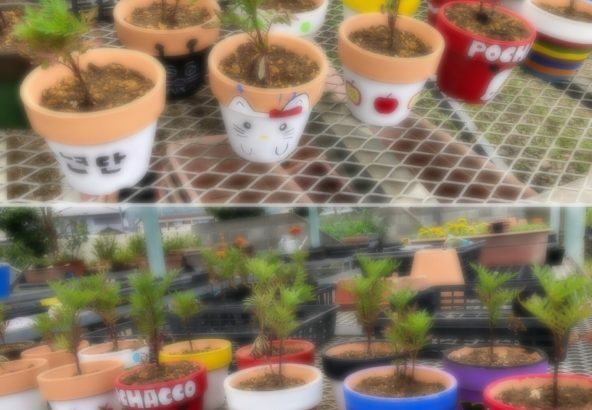 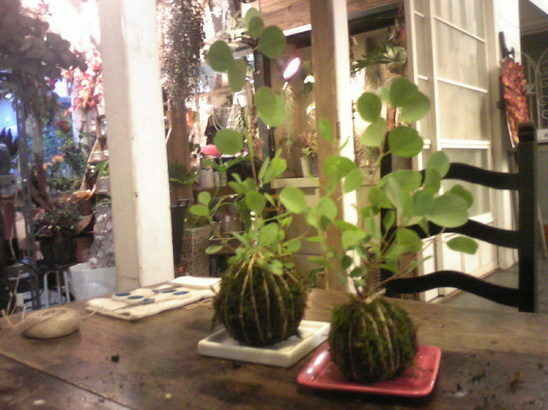 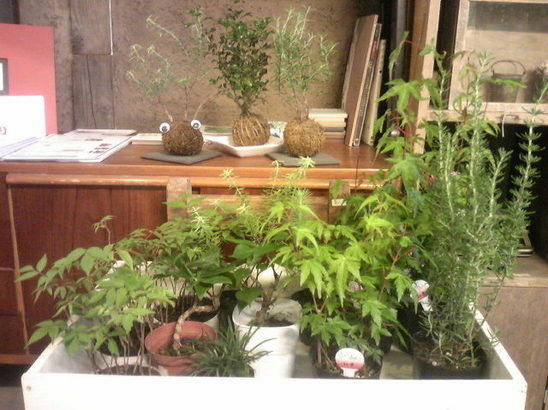 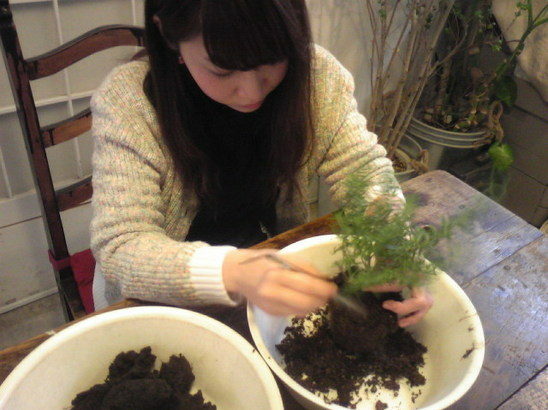 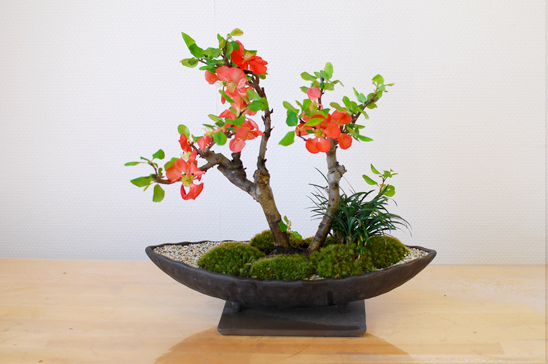 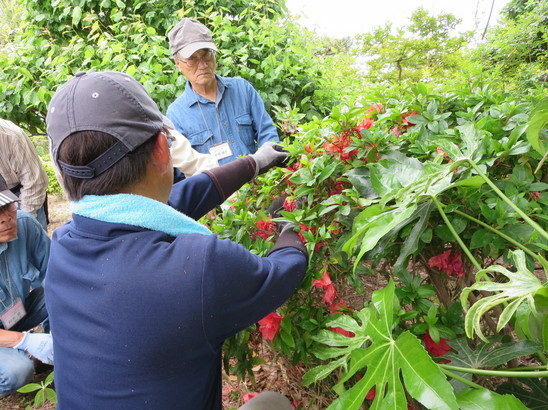 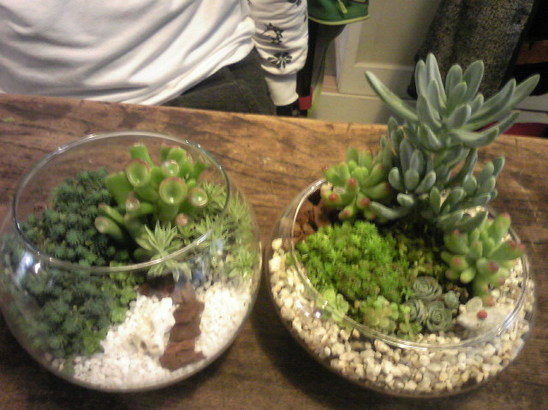 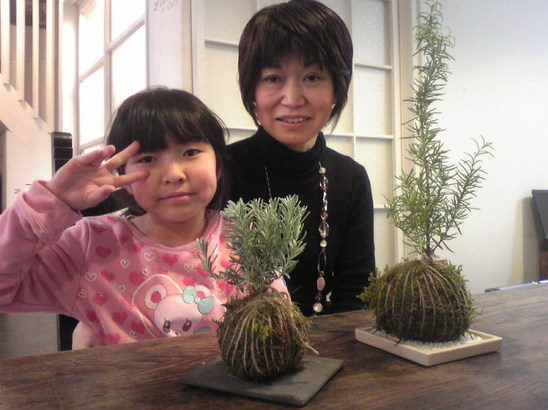 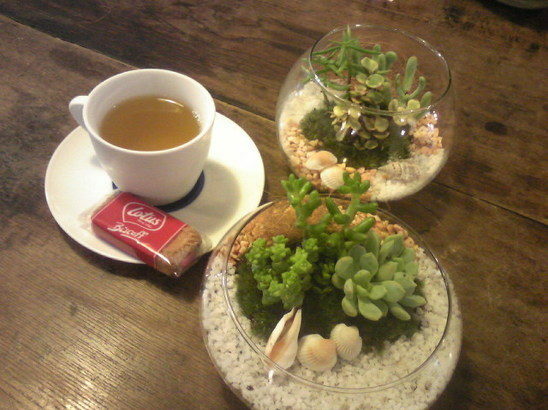 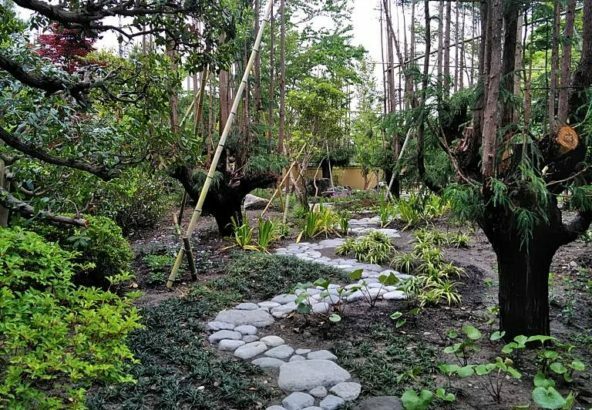 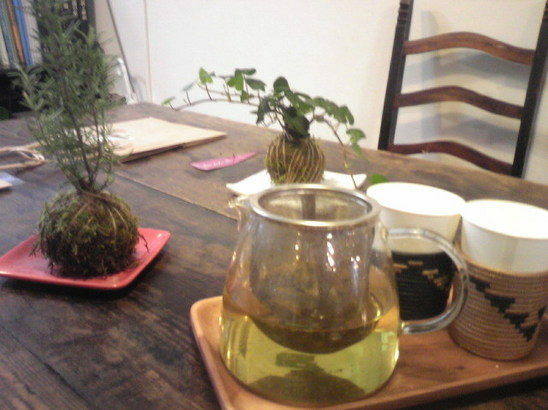 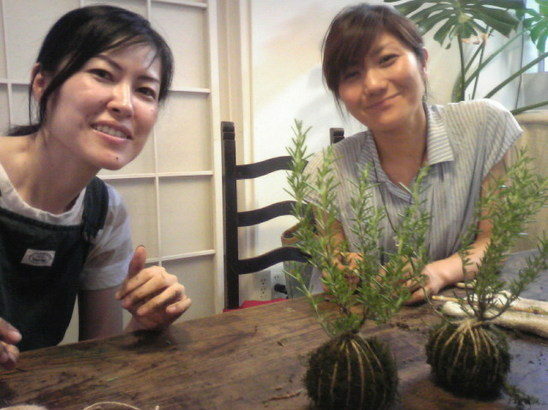 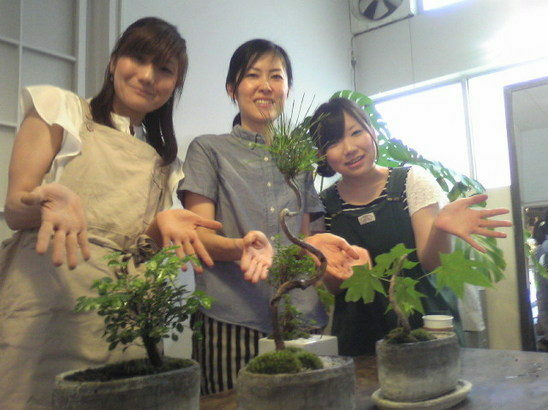 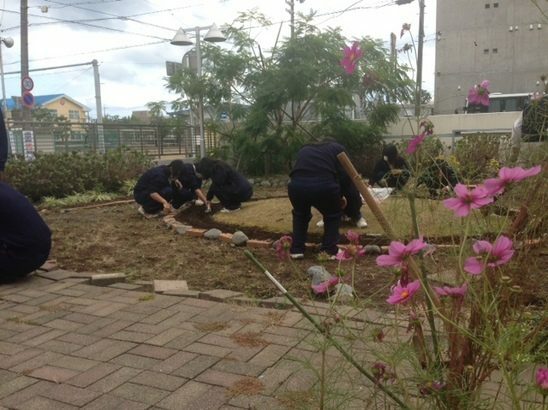 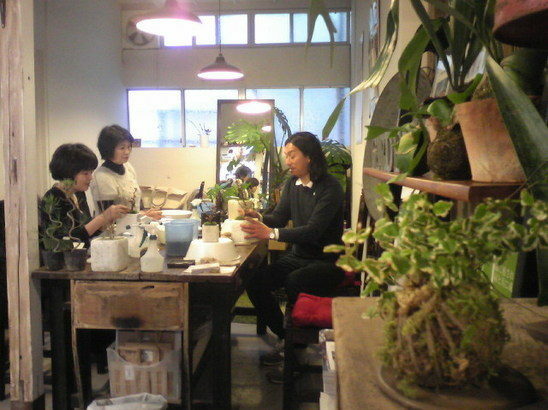 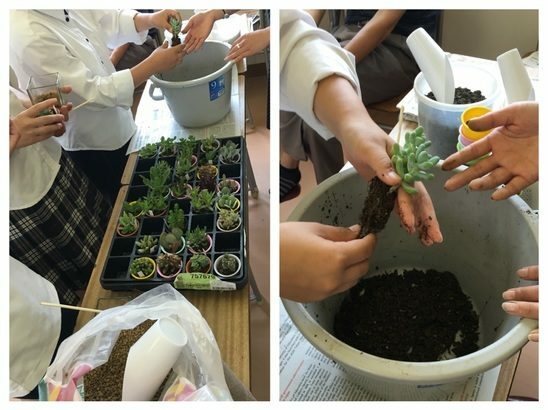 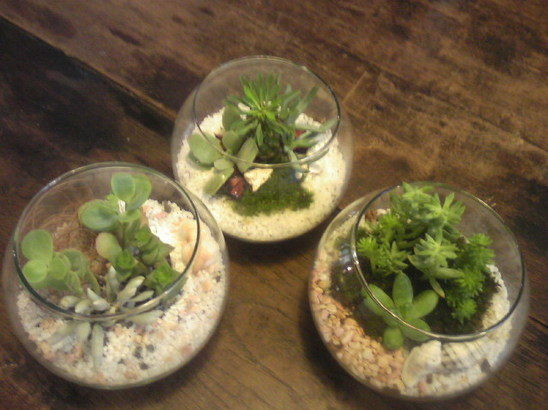 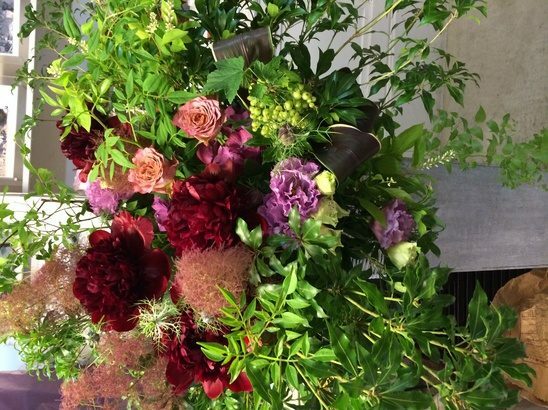 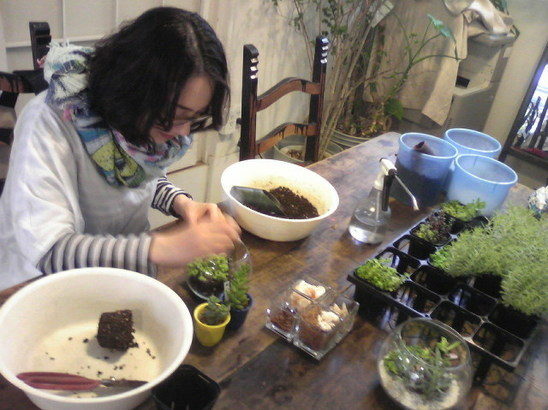 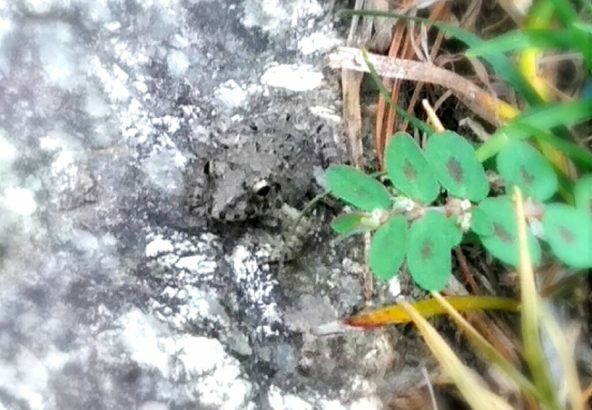 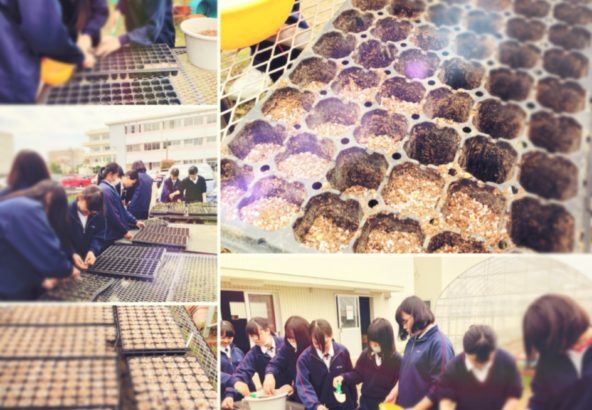 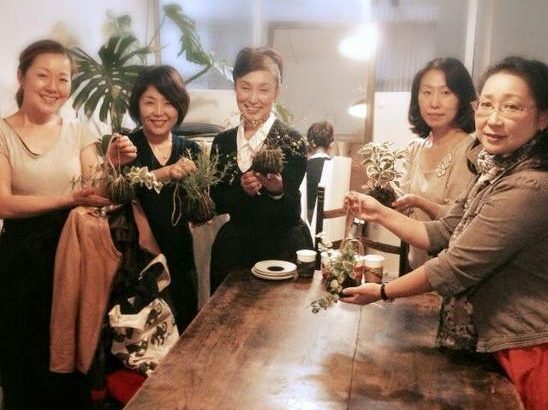 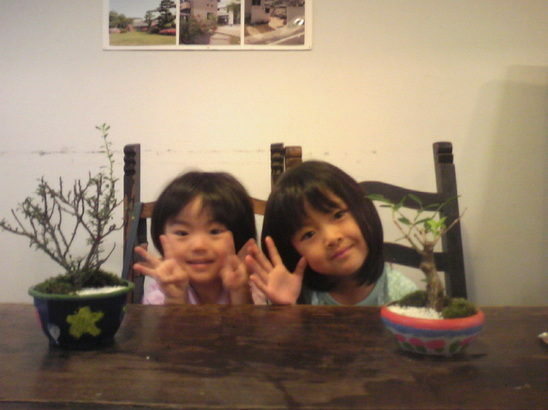 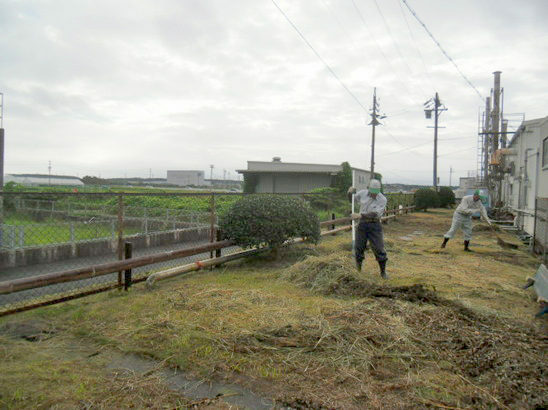 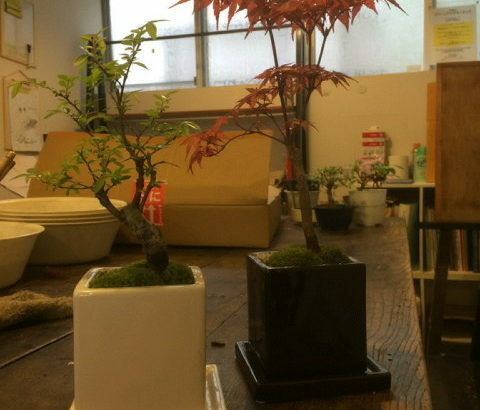 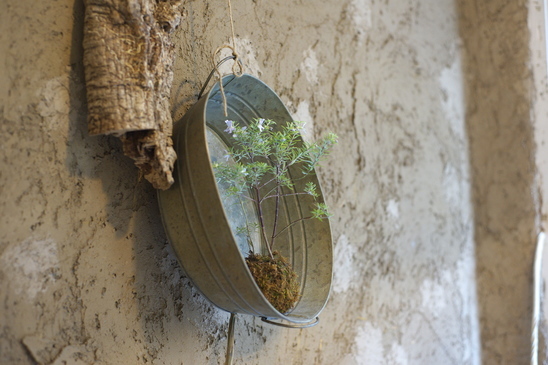 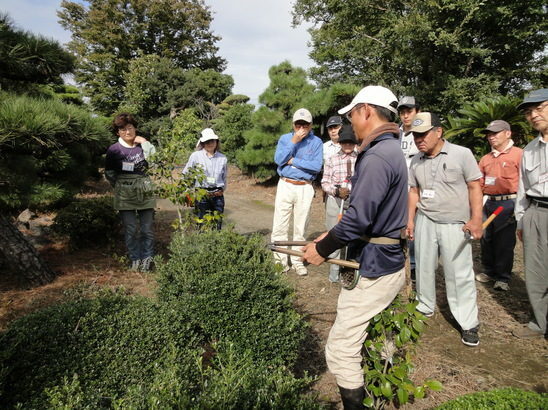 RACHI JUEN is a gardener based in Shizuoka prefecture, the foot of the world-renowned Mt. 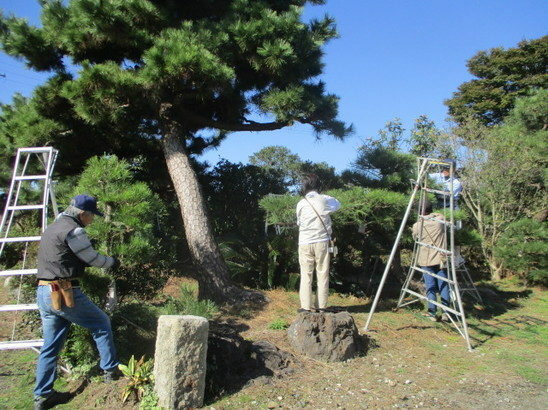 Fuji, which was listed as a World Heritage Site in 2014. 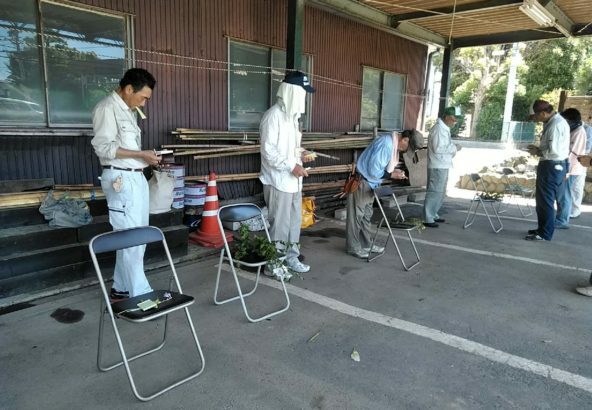 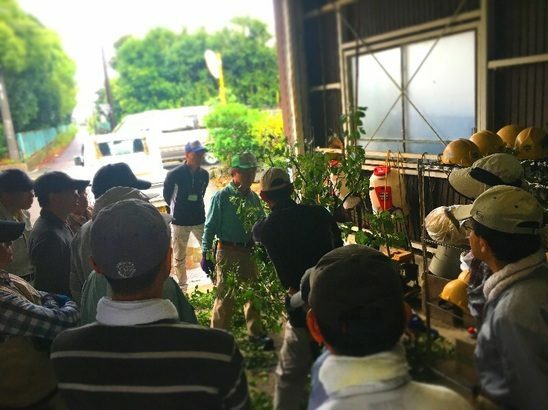 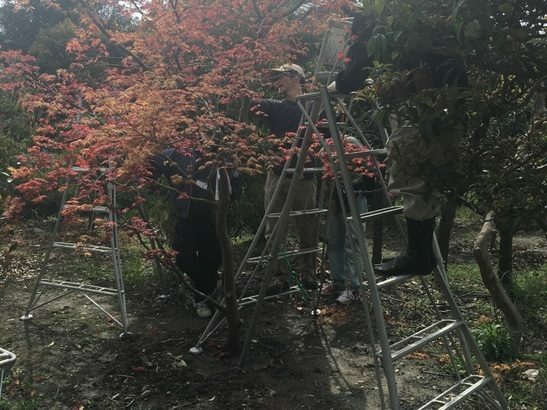 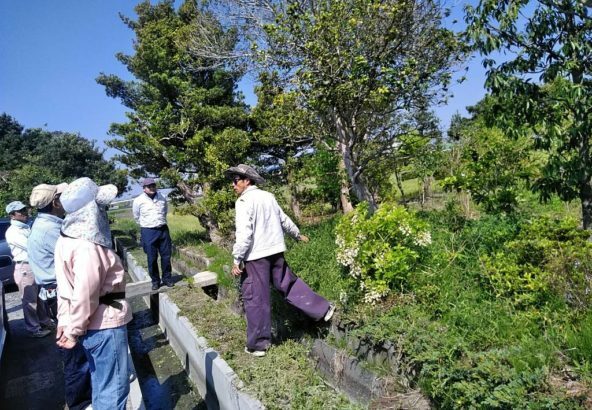 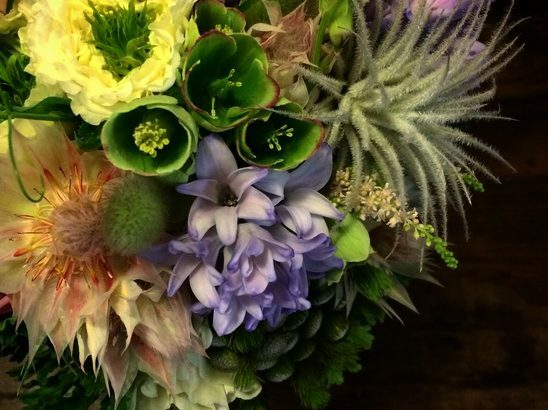 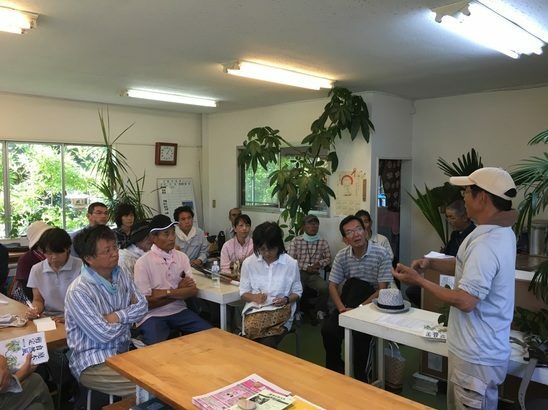 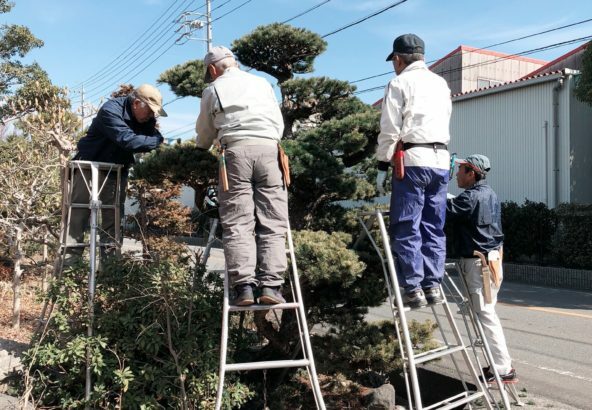 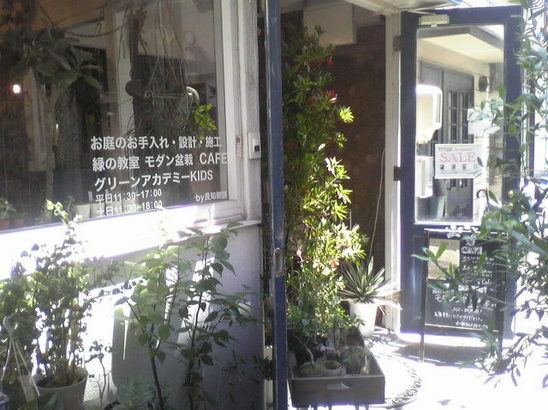 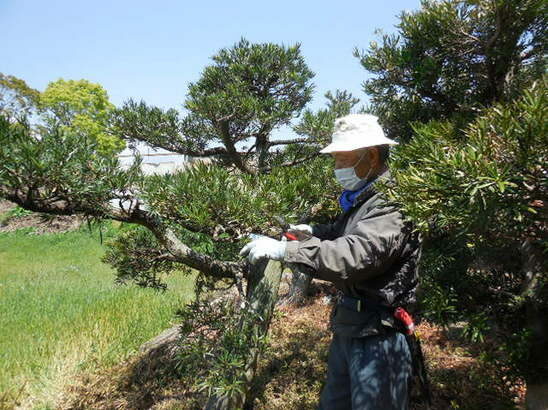 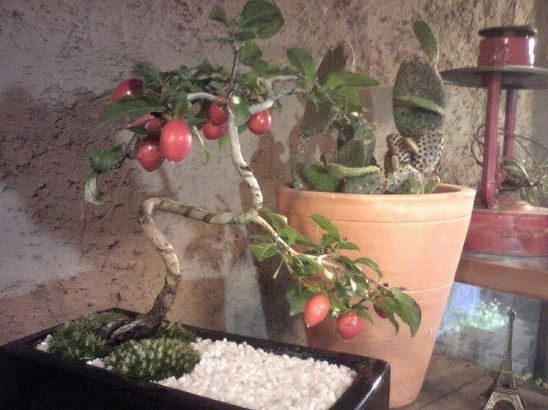 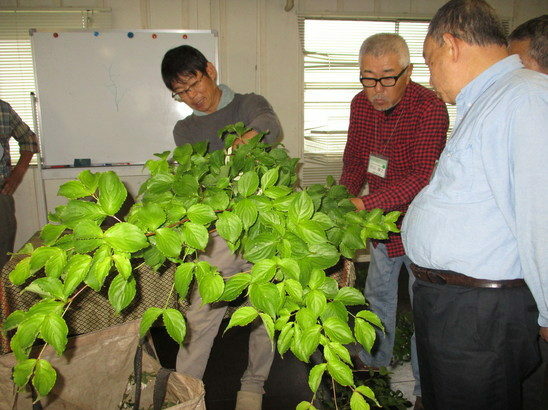 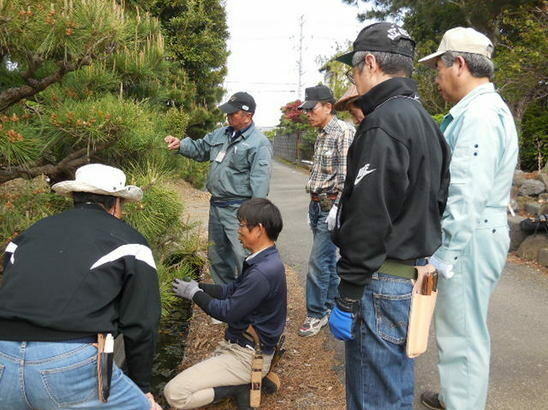 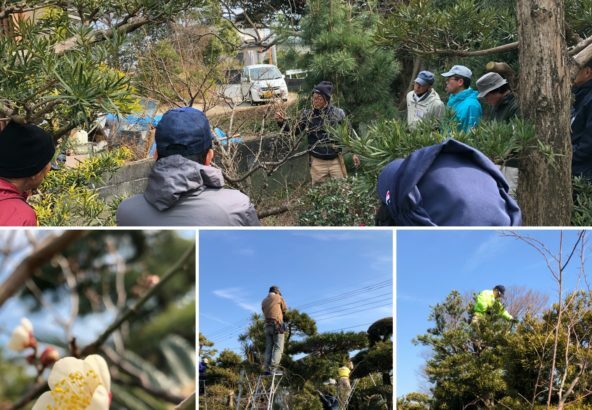 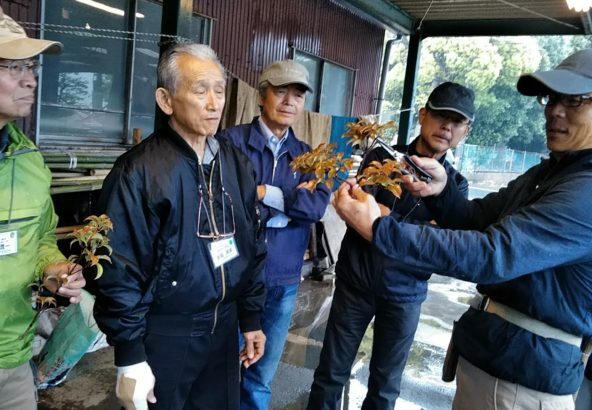 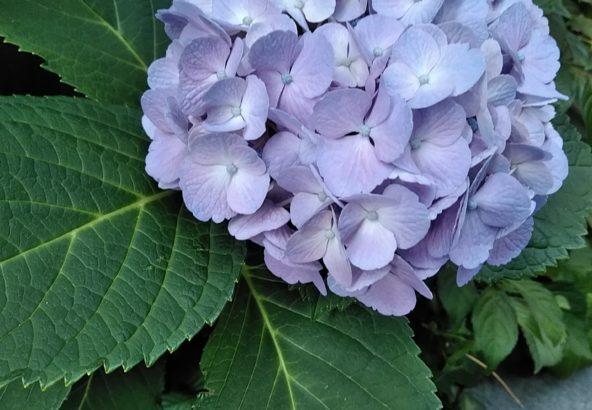 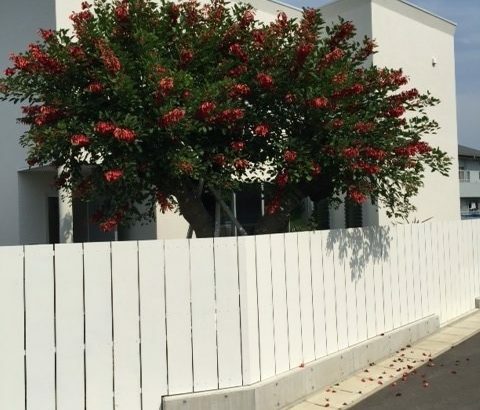 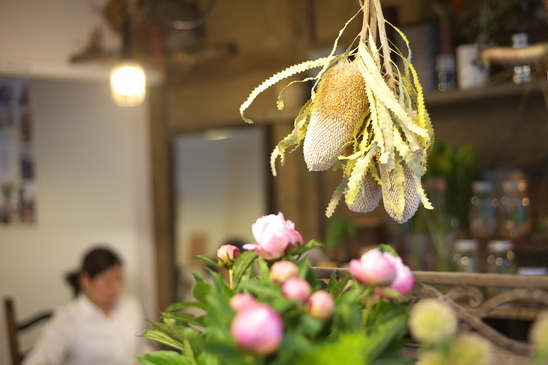 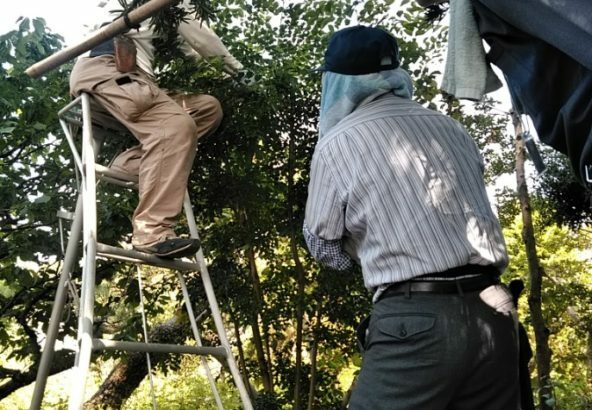 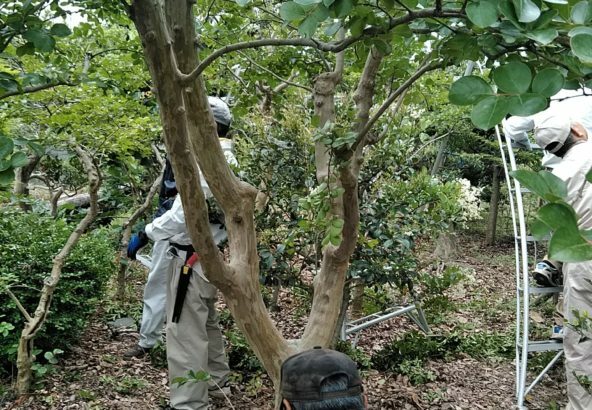 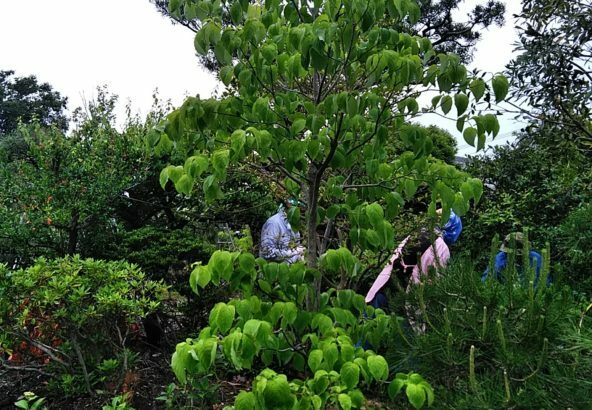 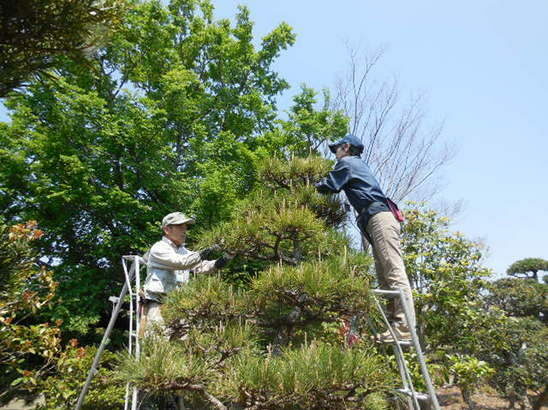 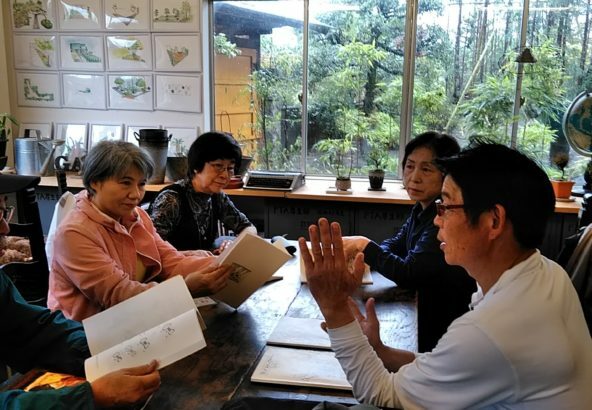 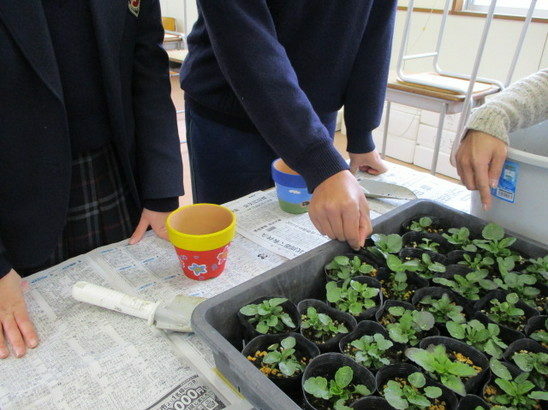 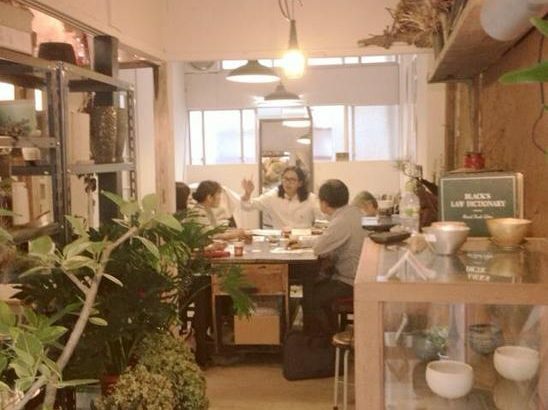 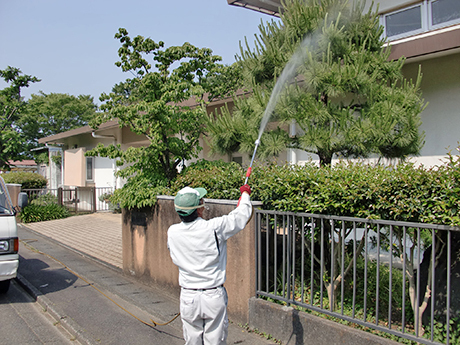 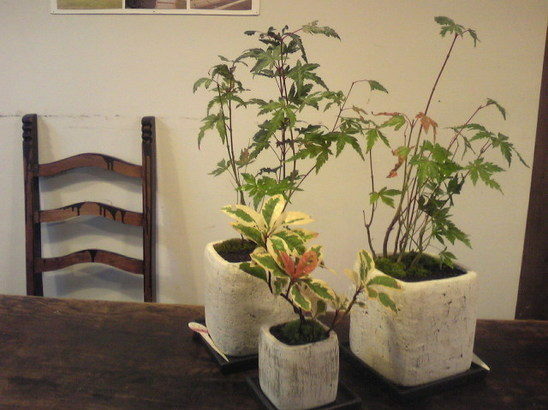 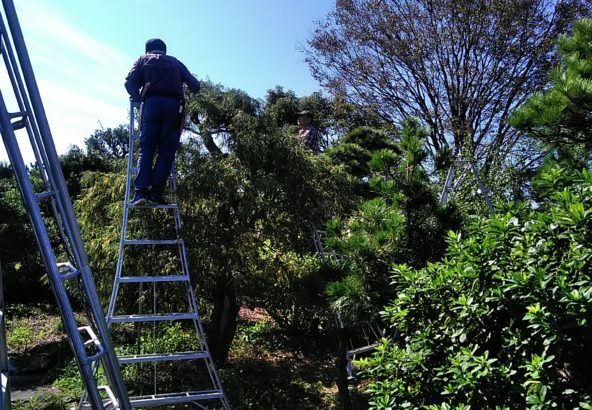 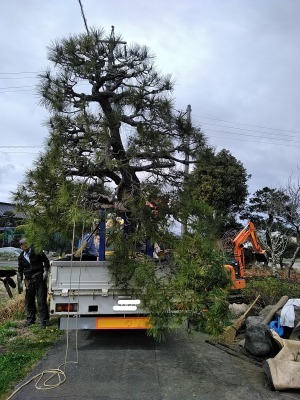 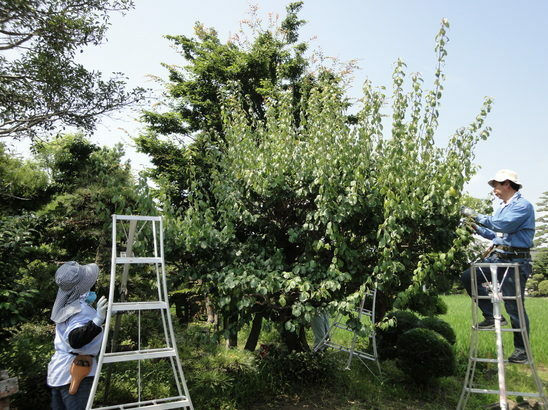 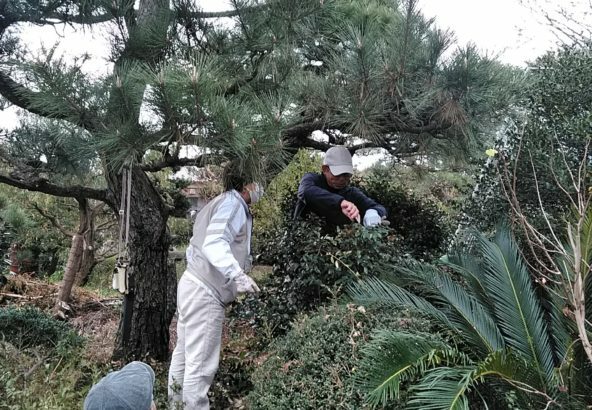 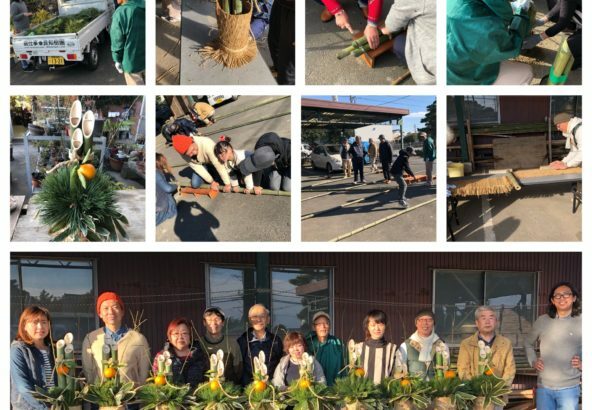 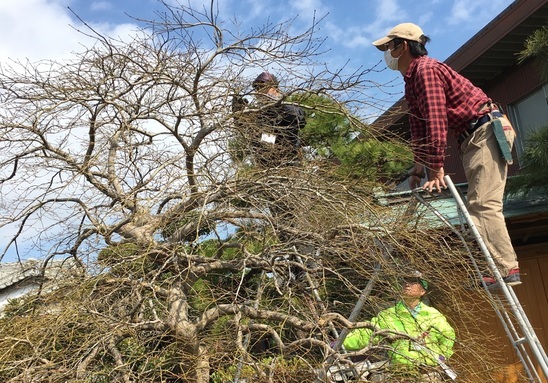 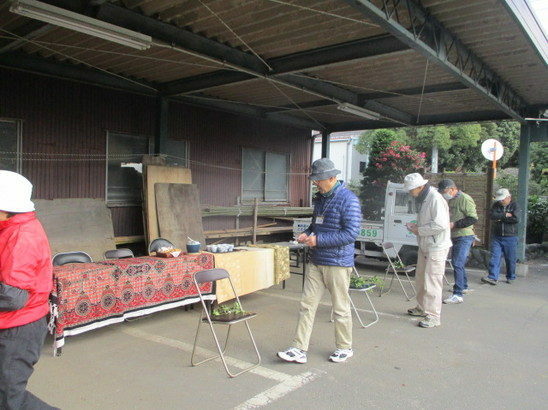 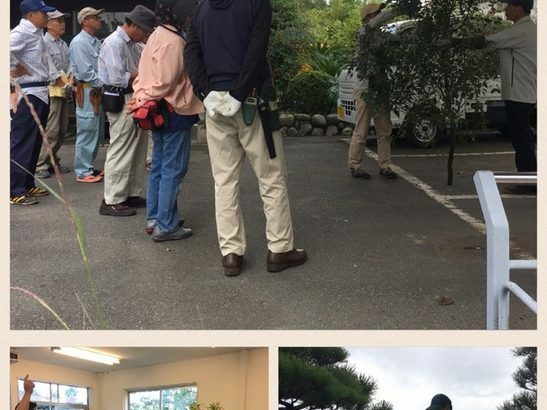 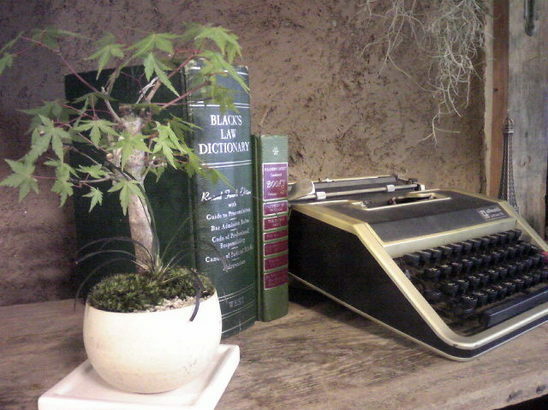 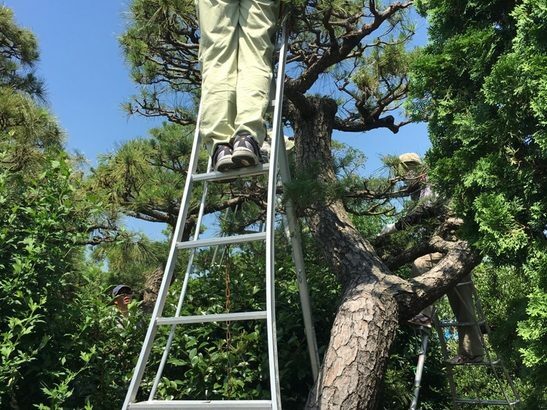 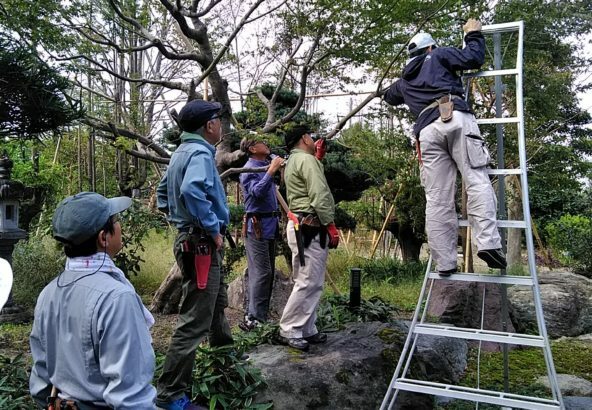 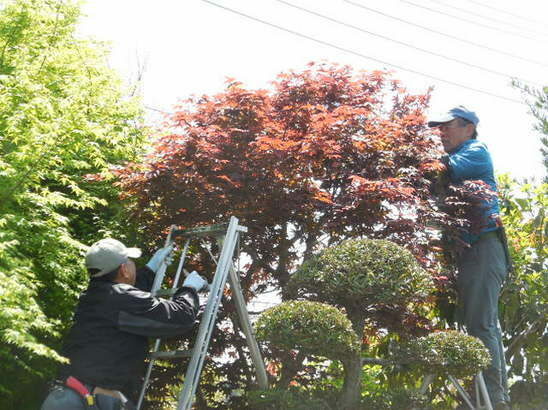 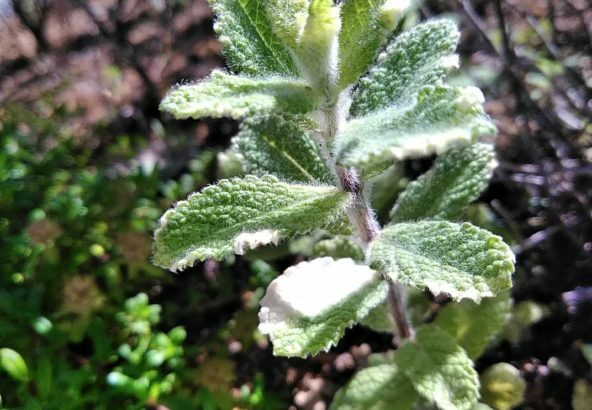 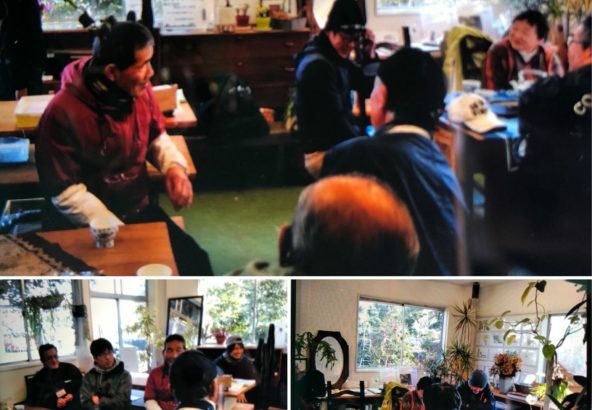 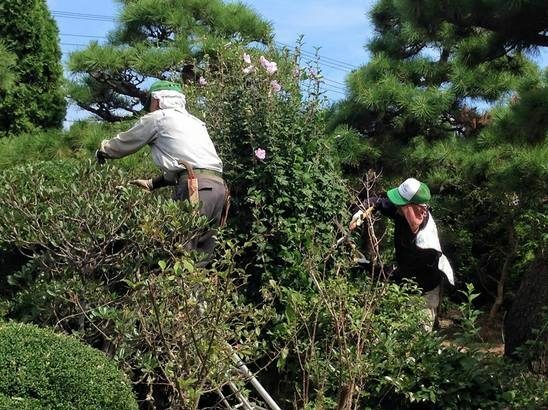 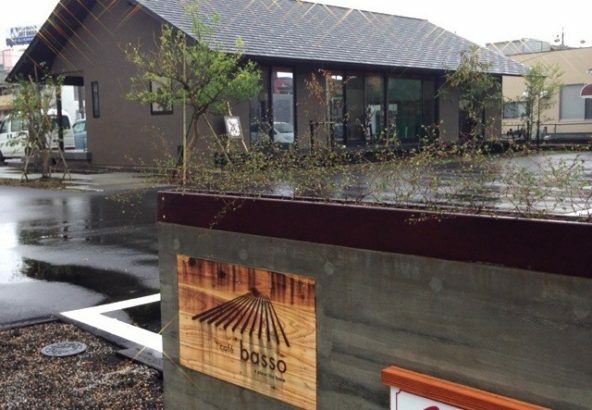 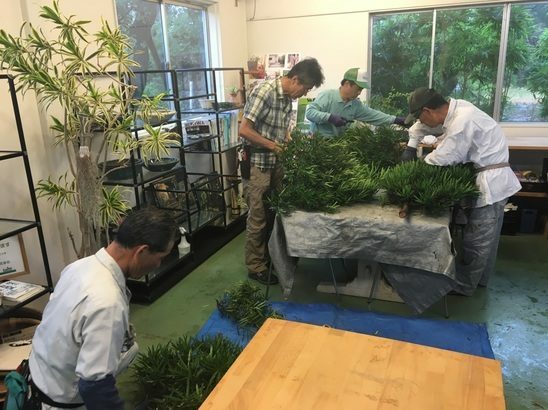 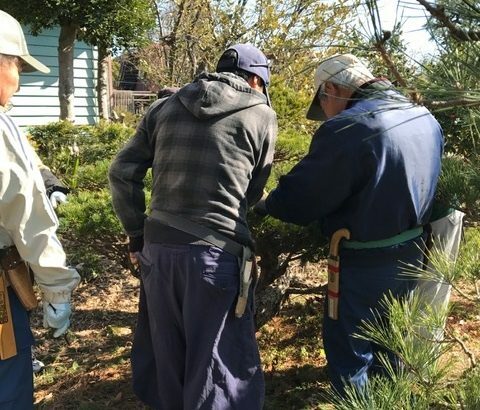 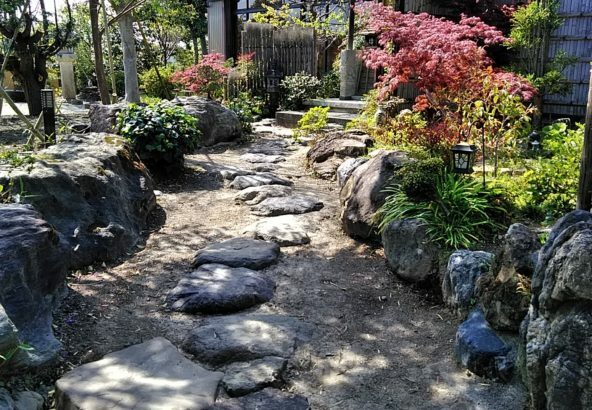 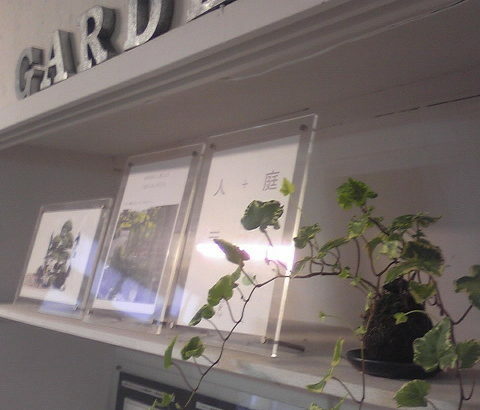 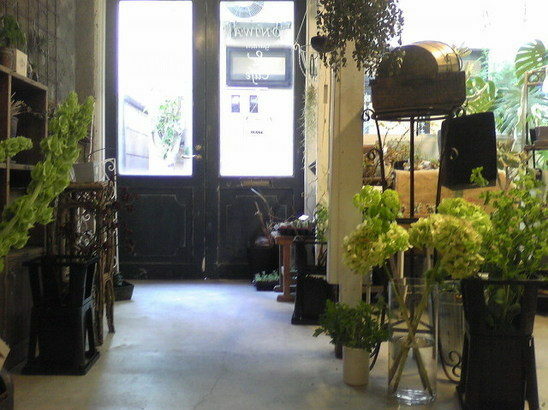 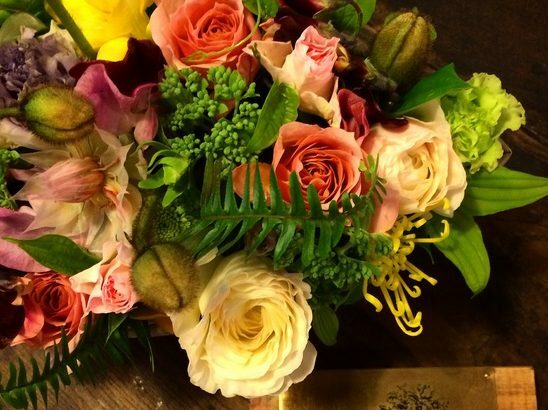 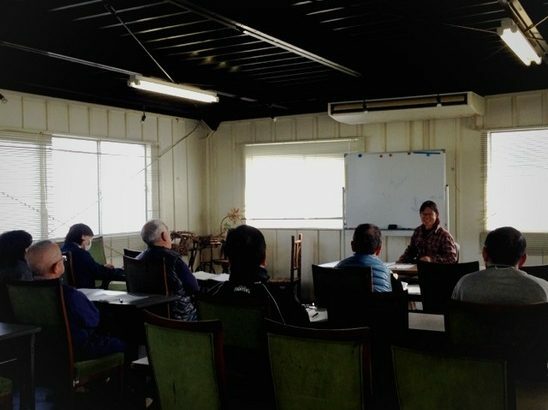 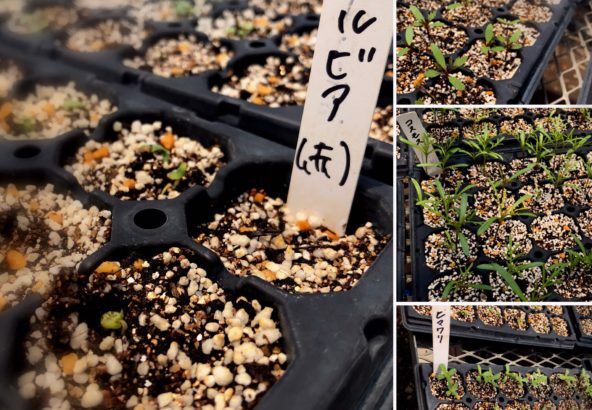 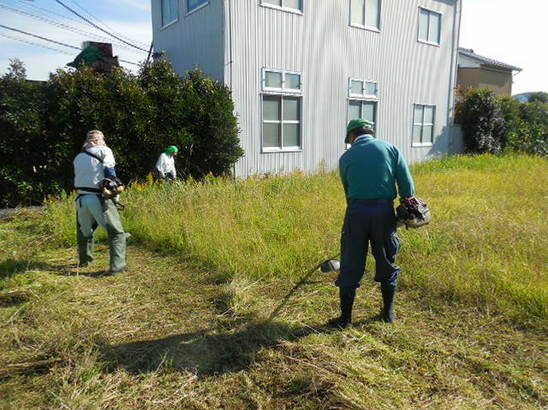 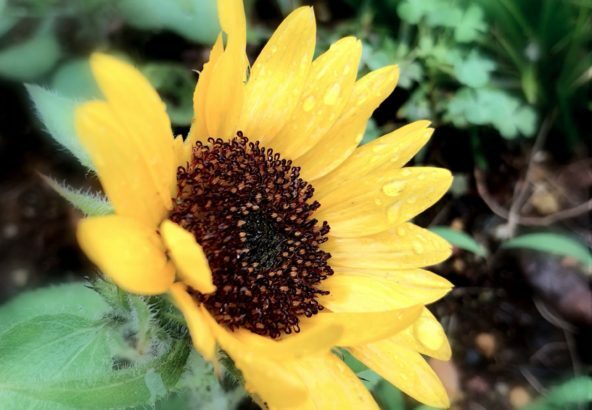 Started business as a plantsman in 1968, we have run a business in Shizuoka for about a half-century and grown to a leading gardening company in Japan. 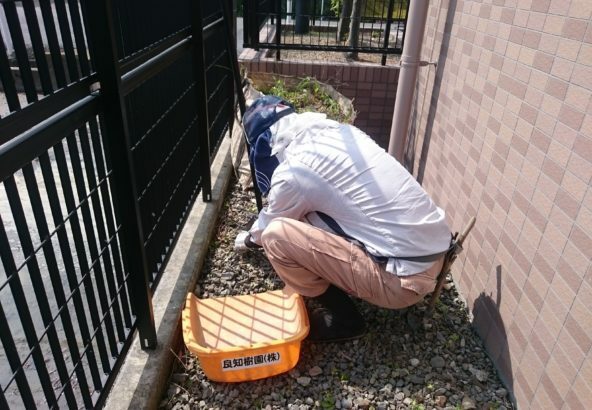 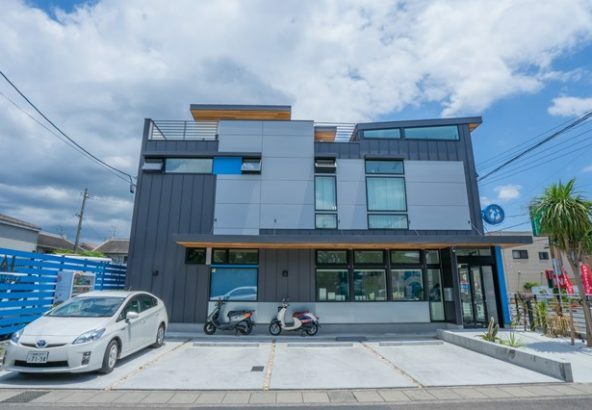 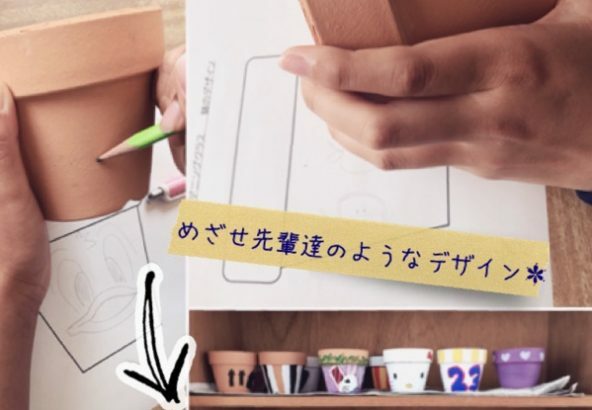 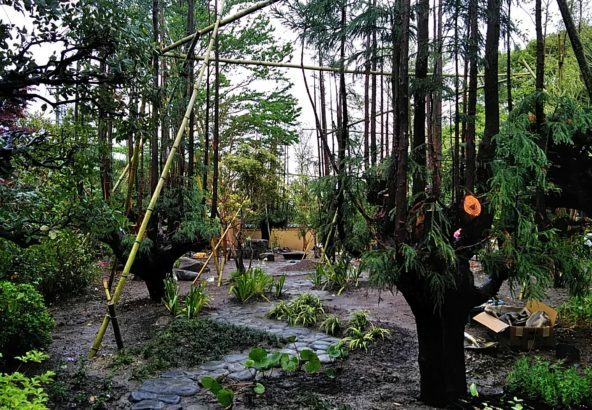 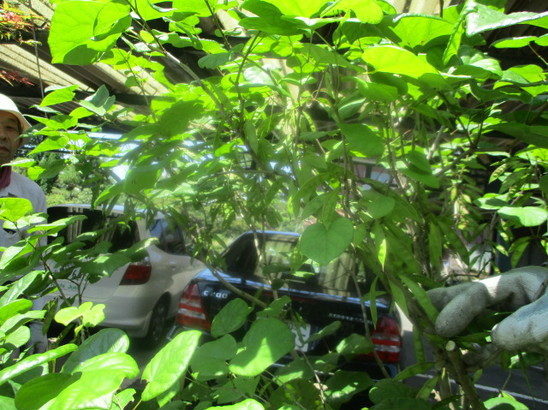 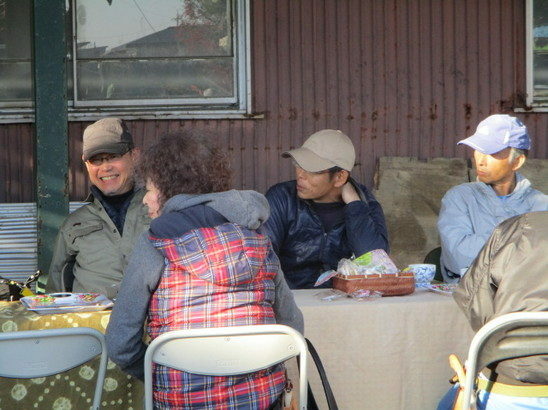 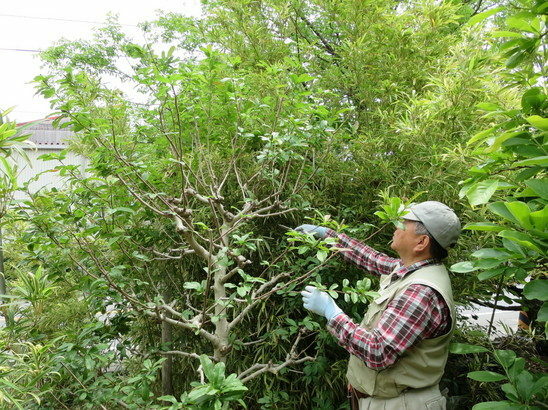 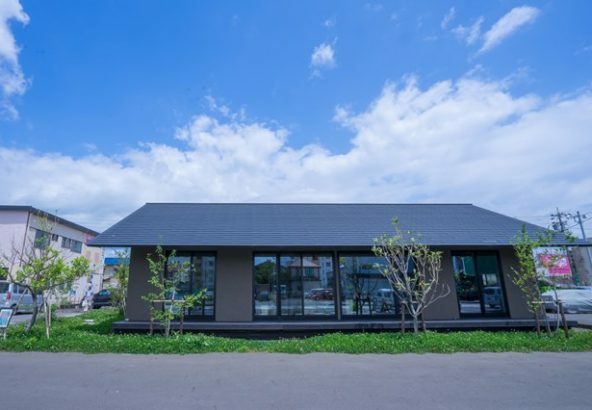 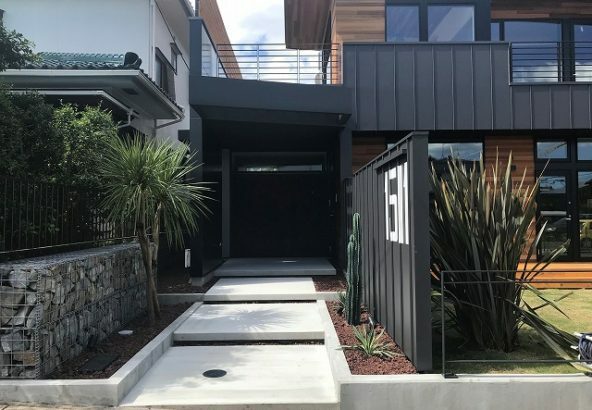 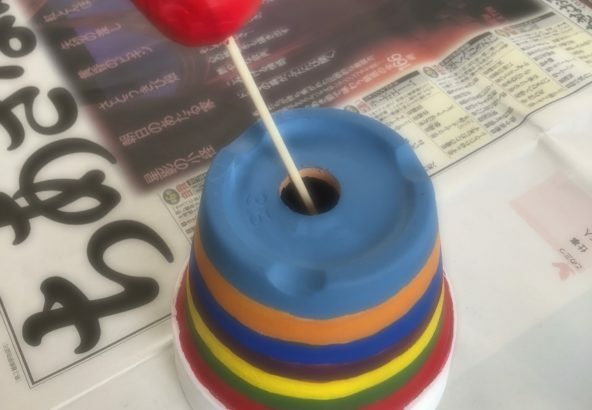 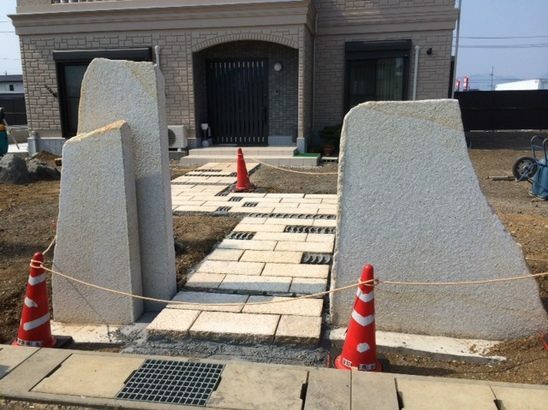 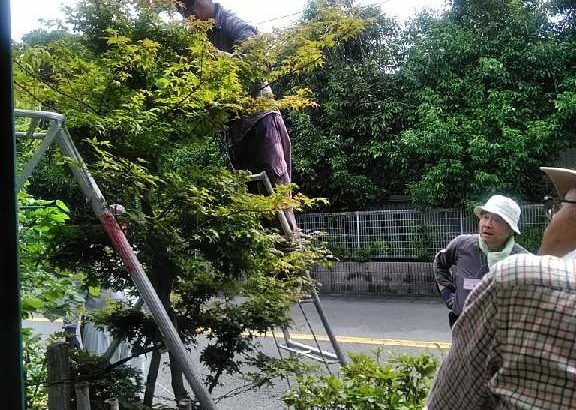 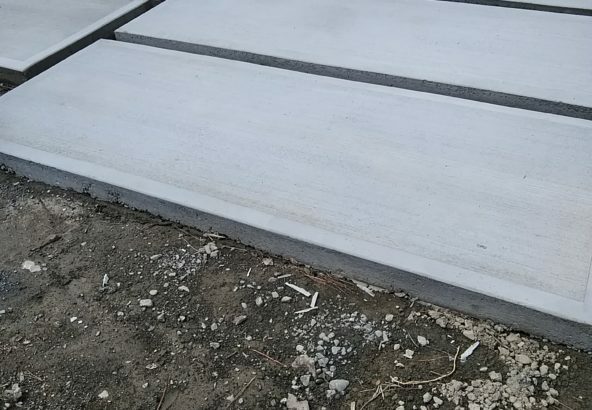 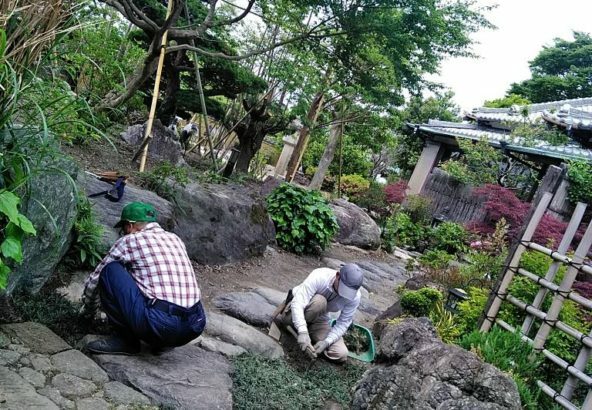 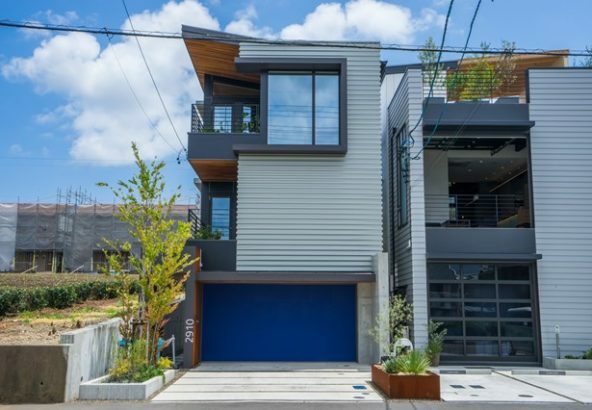 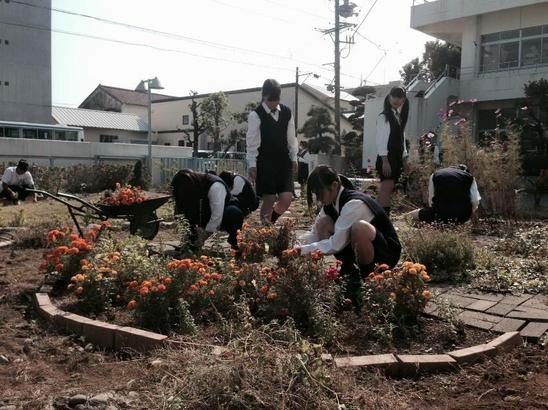 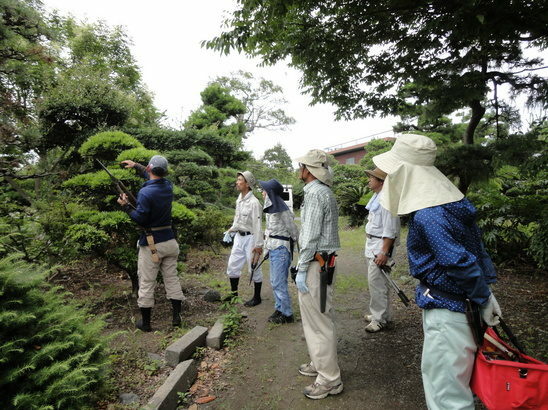 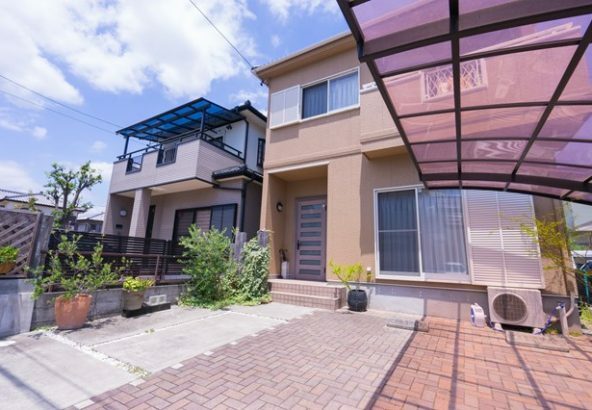 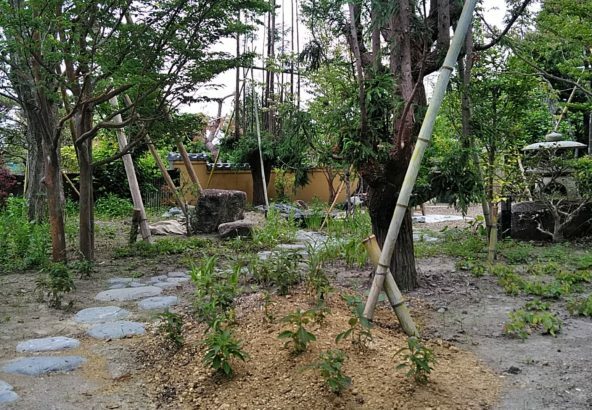 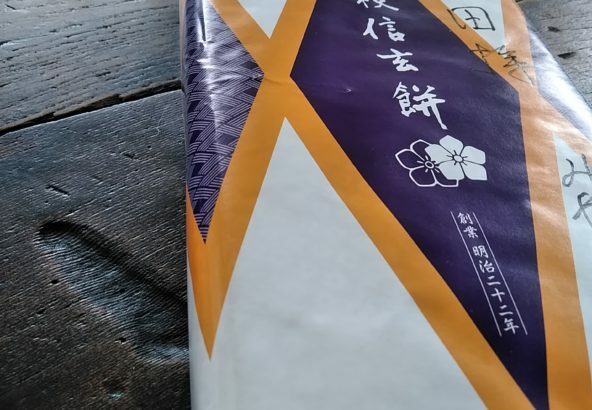 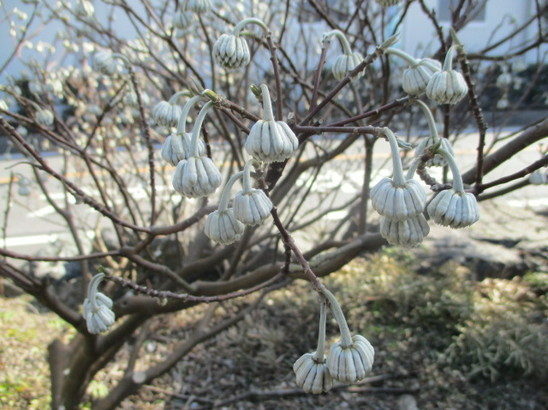 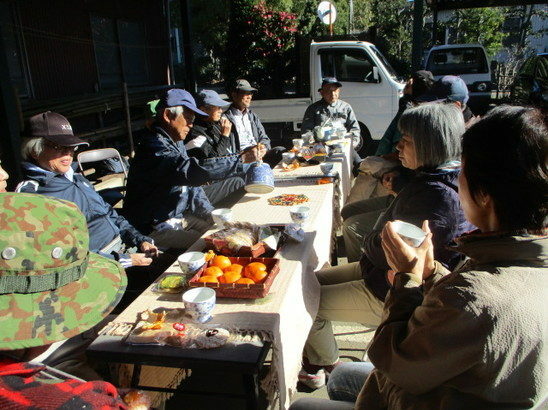 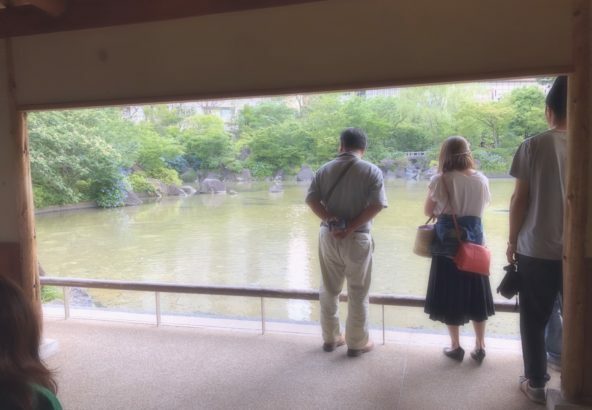 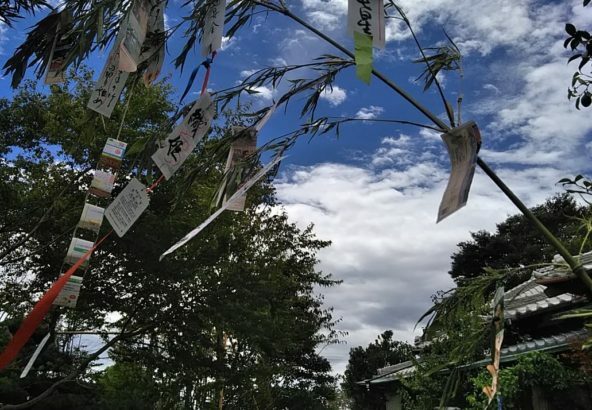 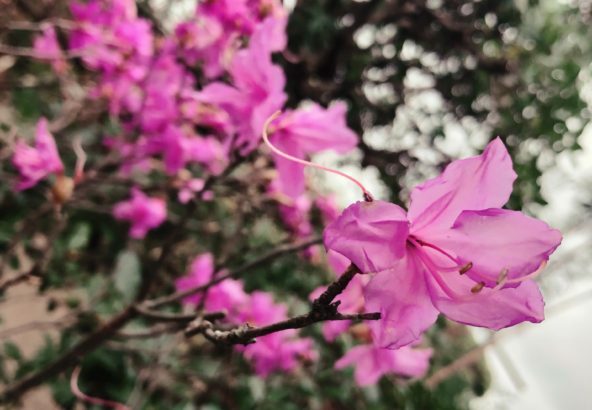 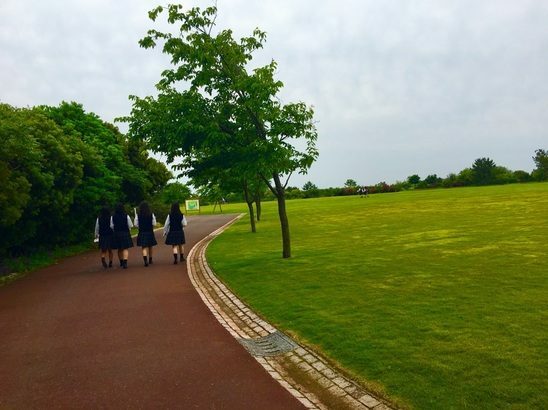 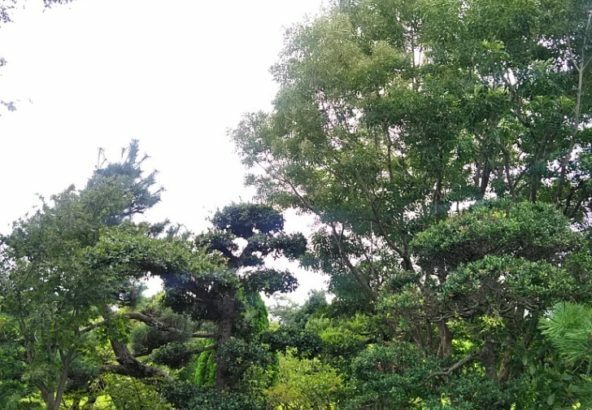 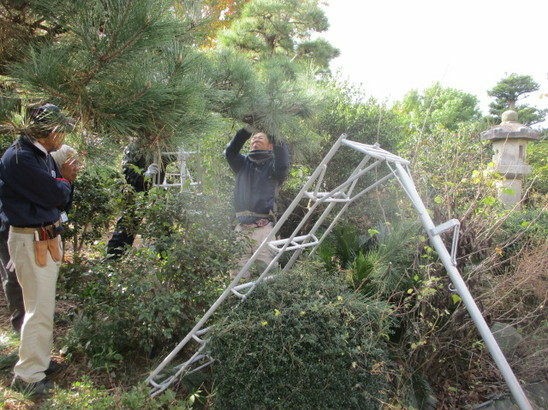 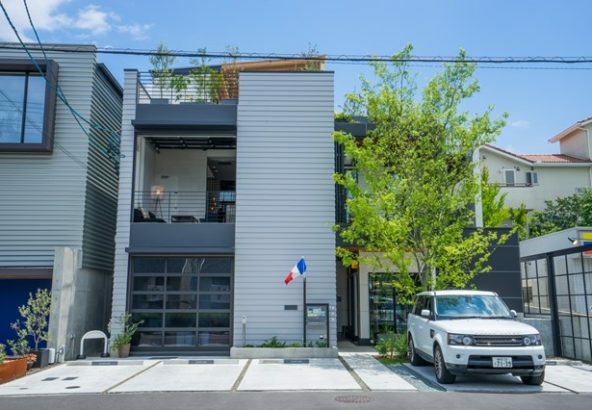 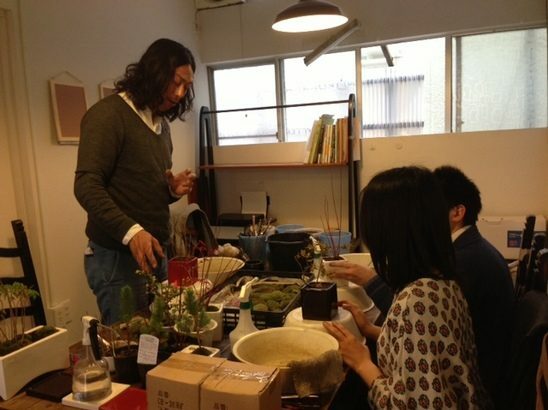 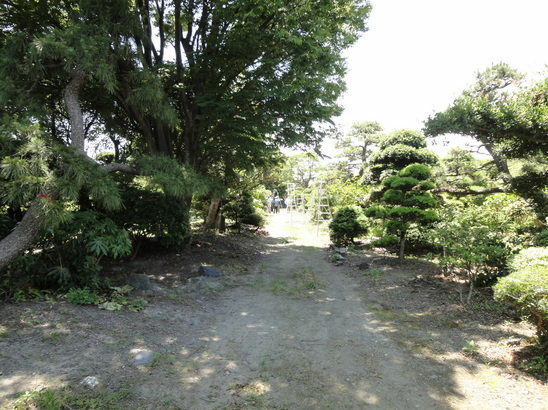 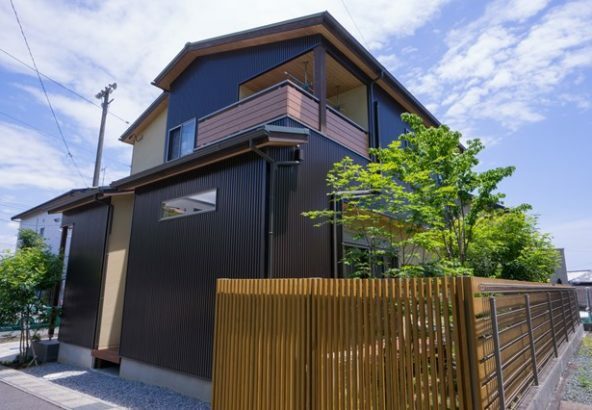 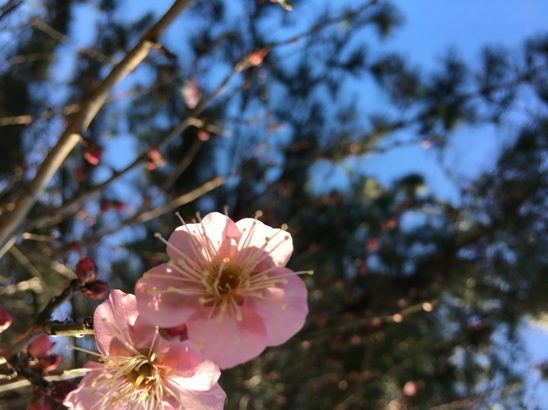 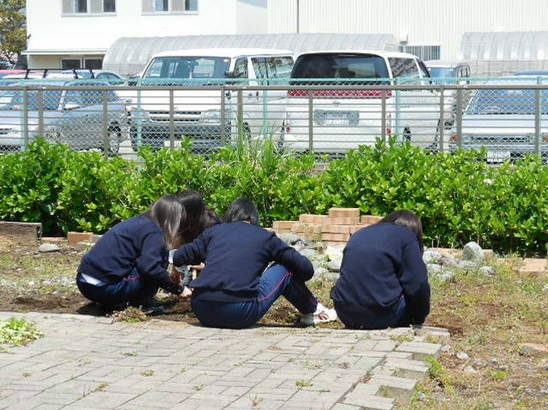 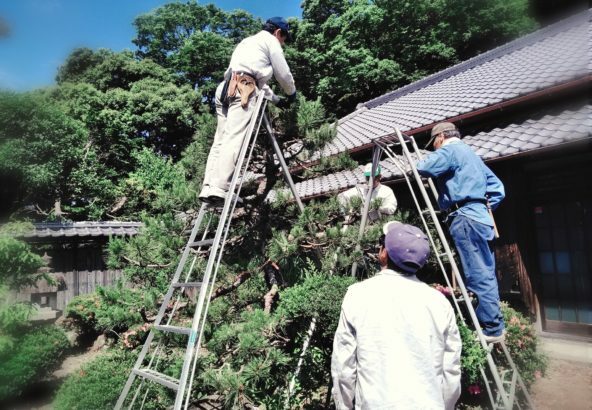 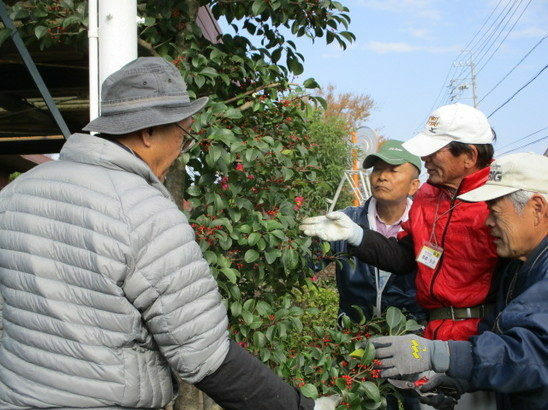 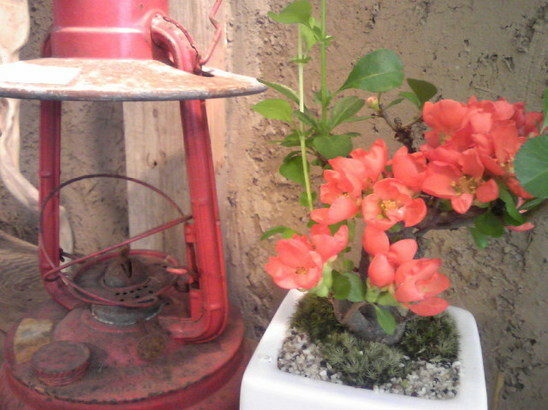 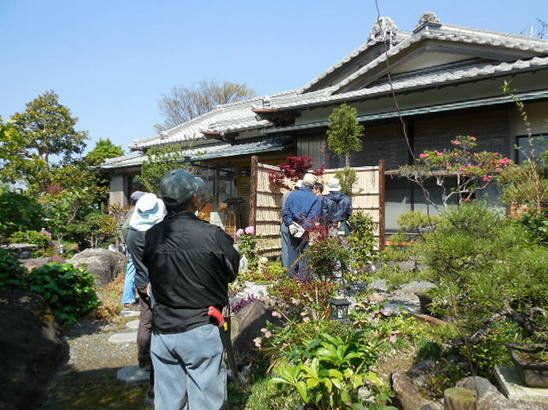 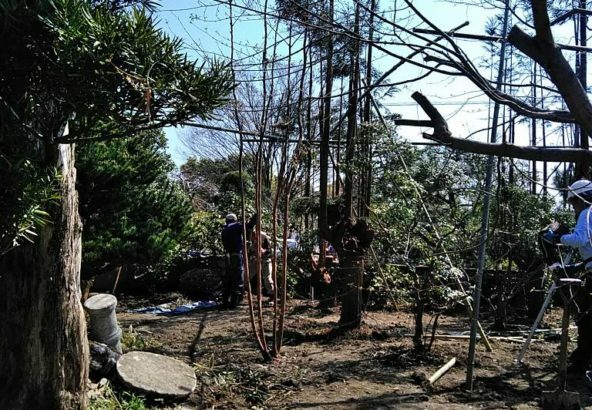 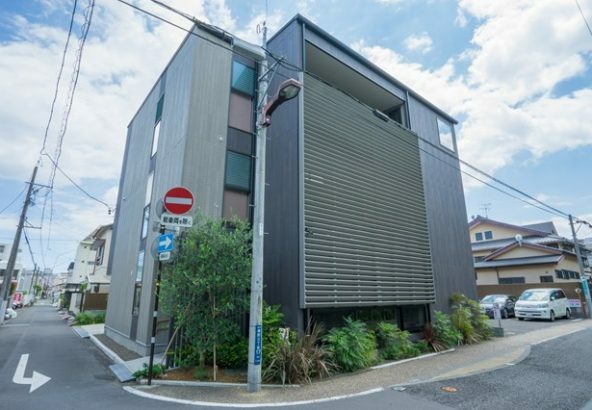 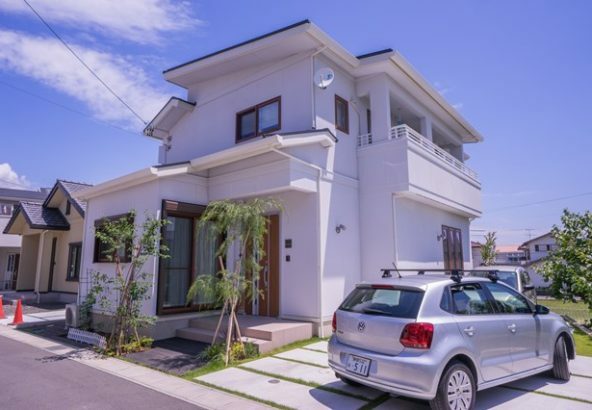 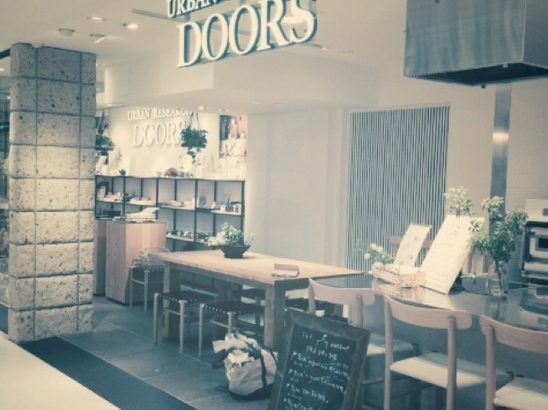 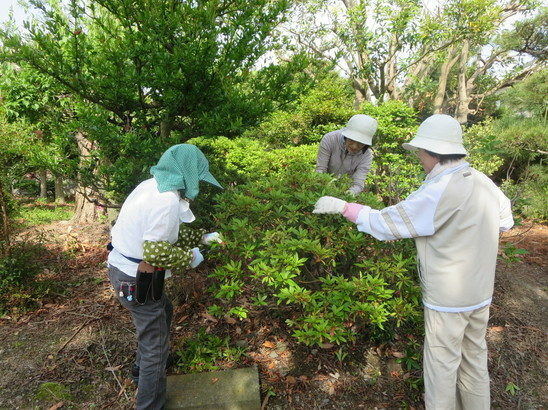 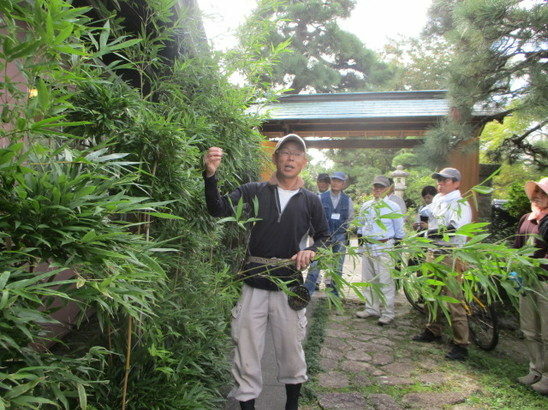 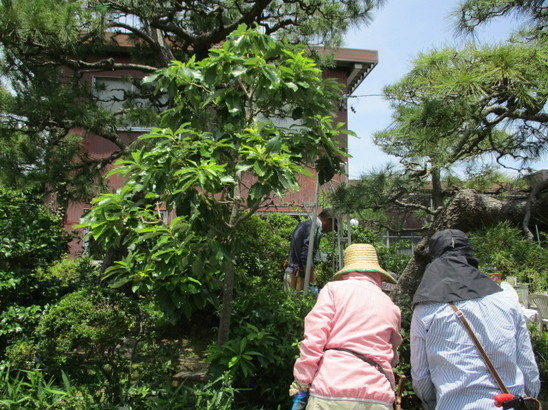 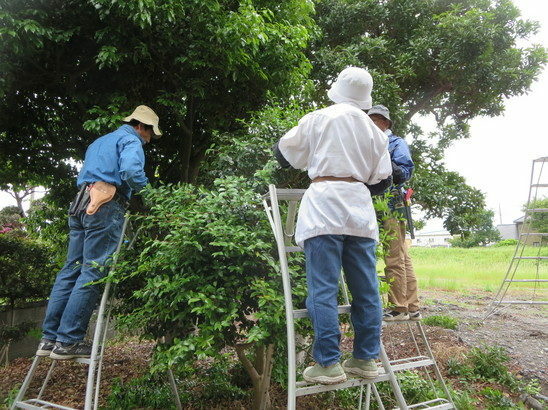 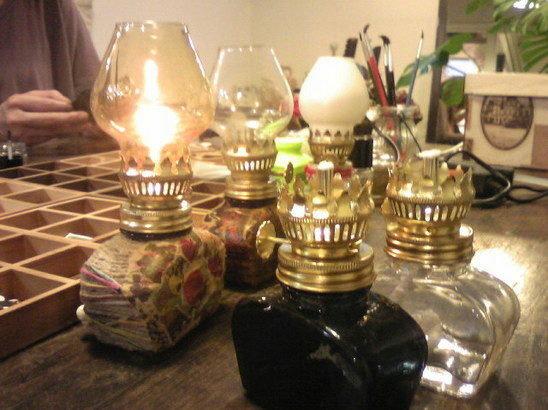 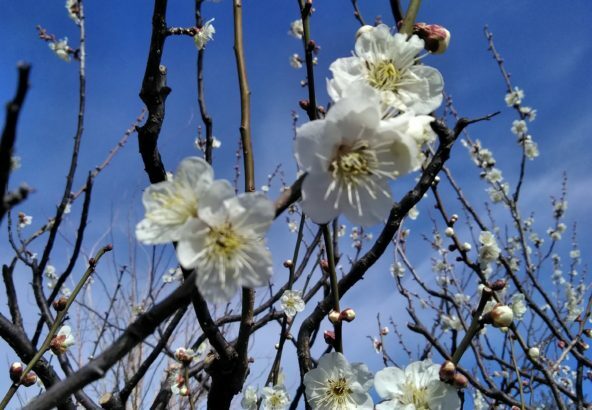 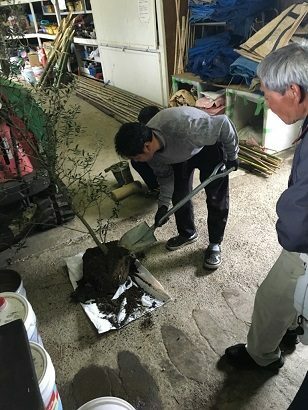 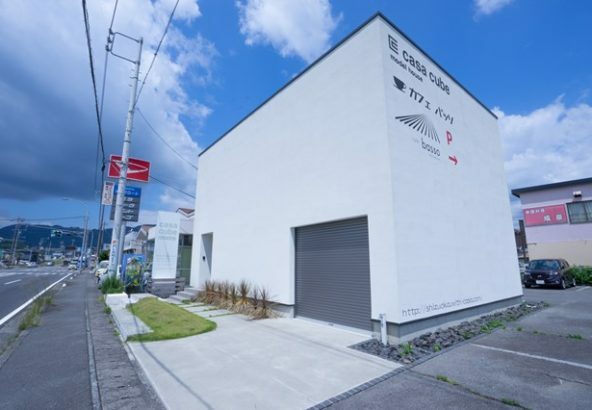 In the second generation, the president of the company spread the business interests from traditional Japanese gardening to civil engineering and construction. 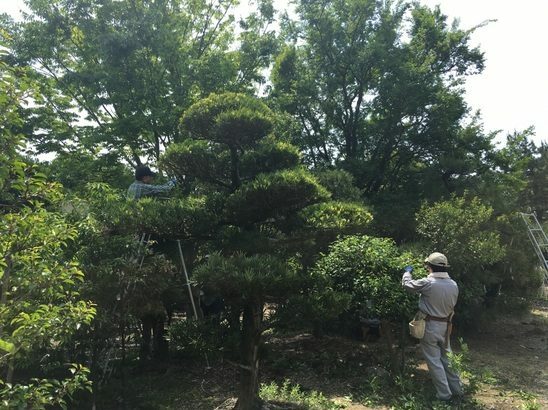 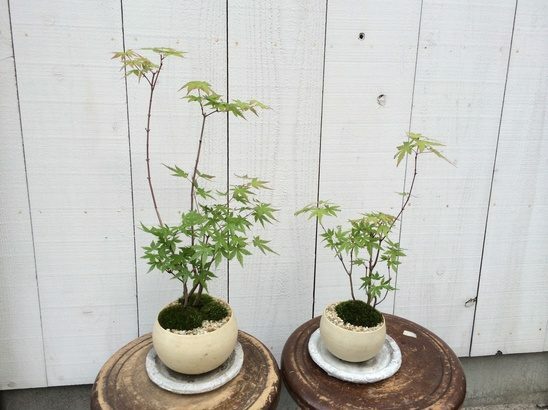 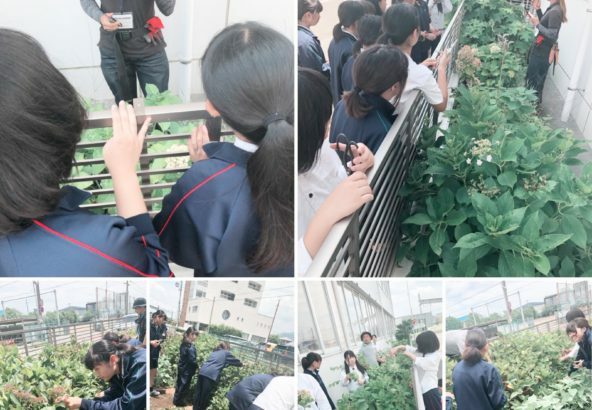 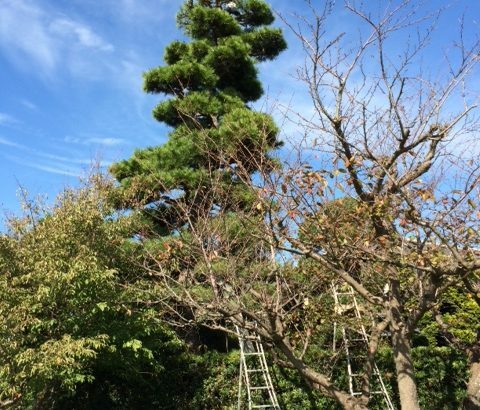 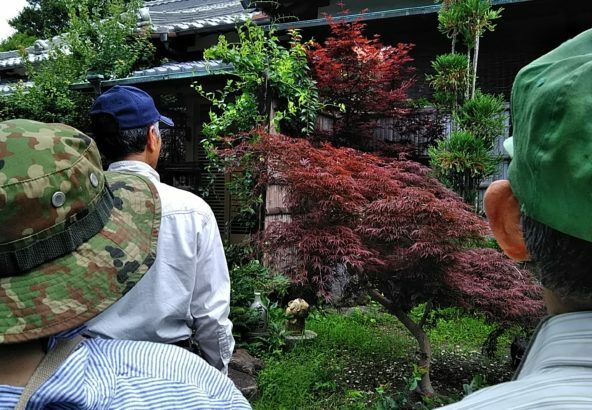 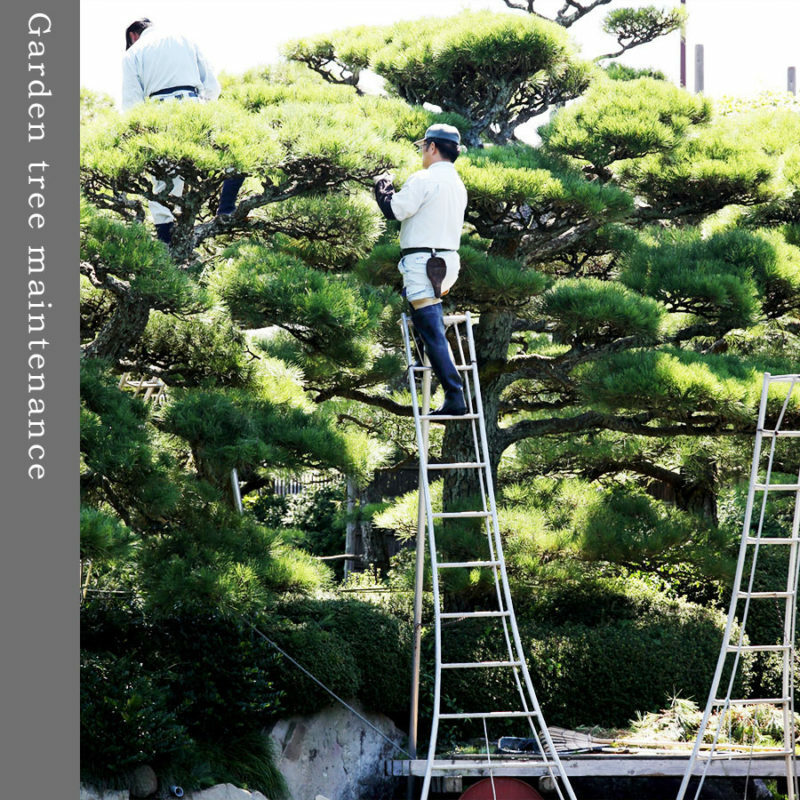 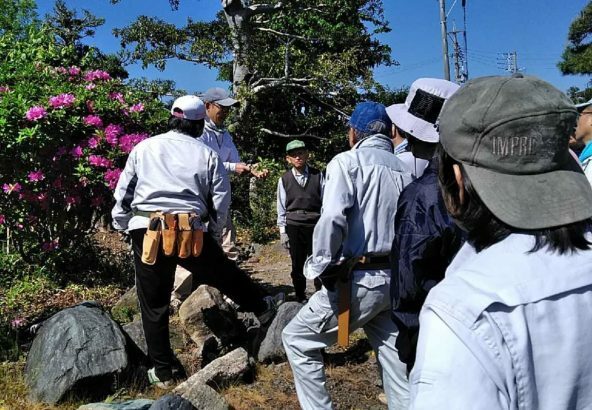 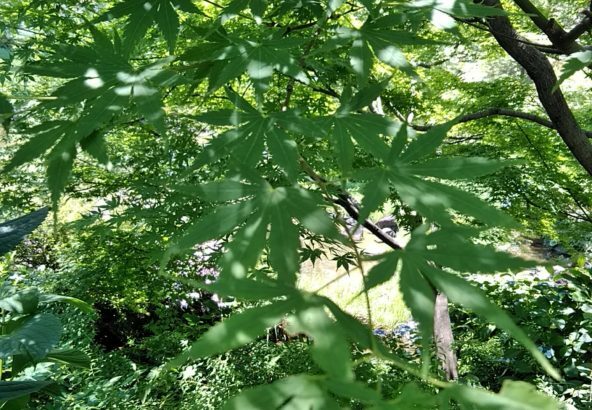 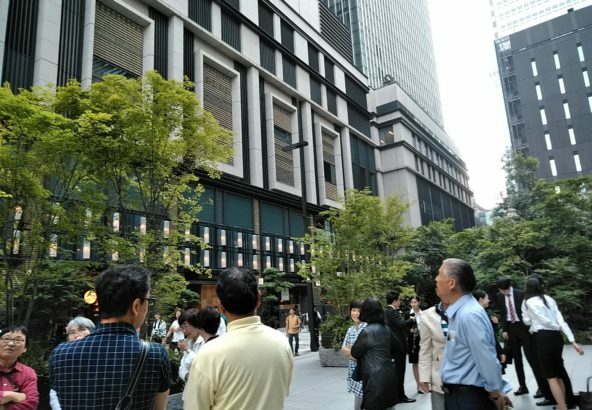 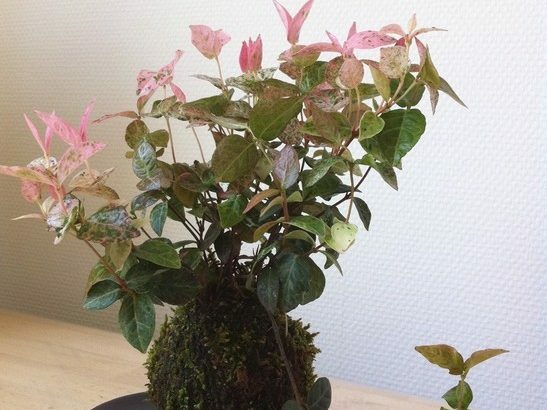 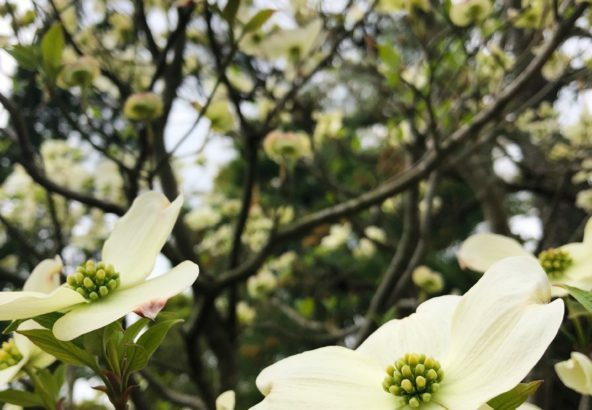 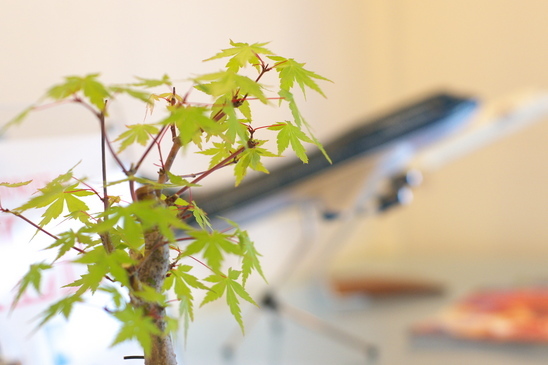 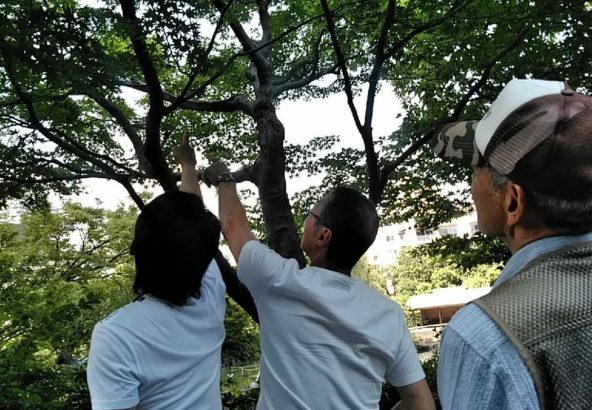 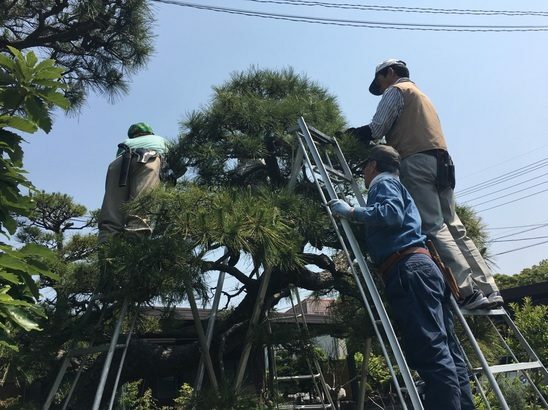 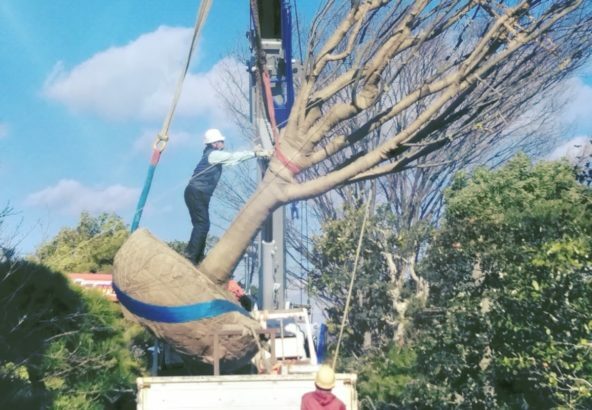 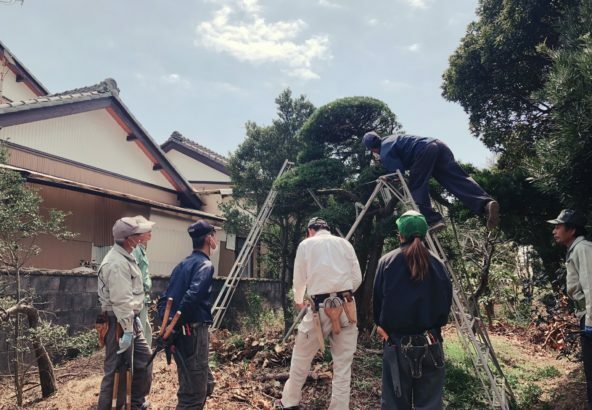 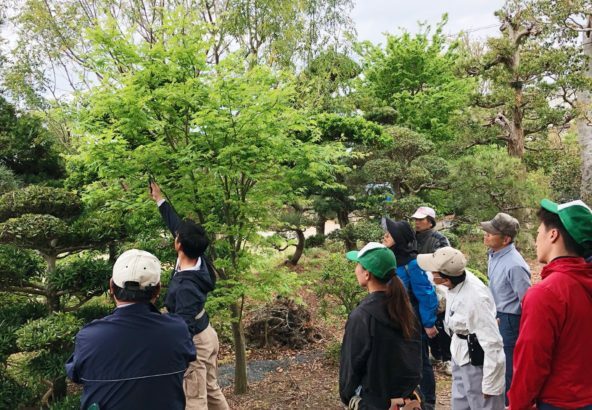 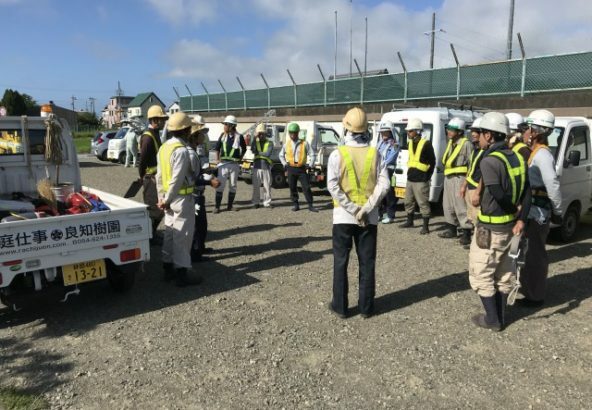 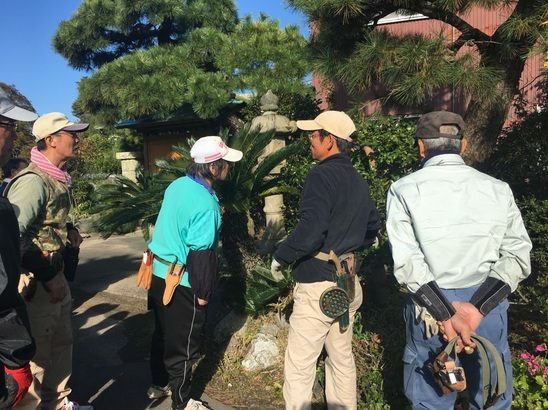 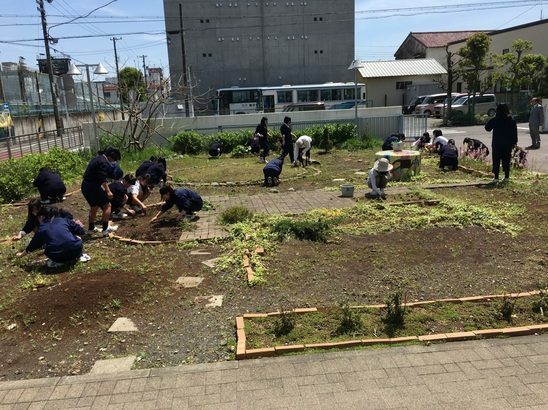 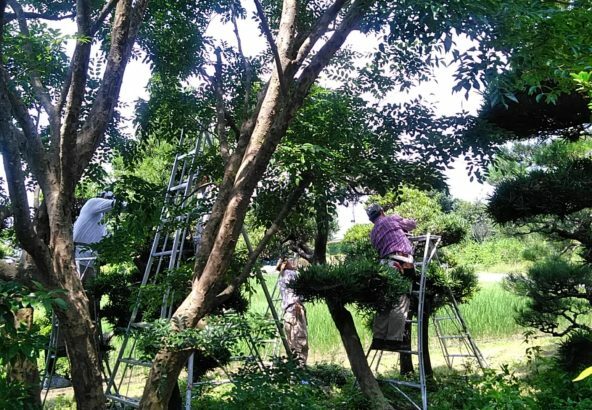 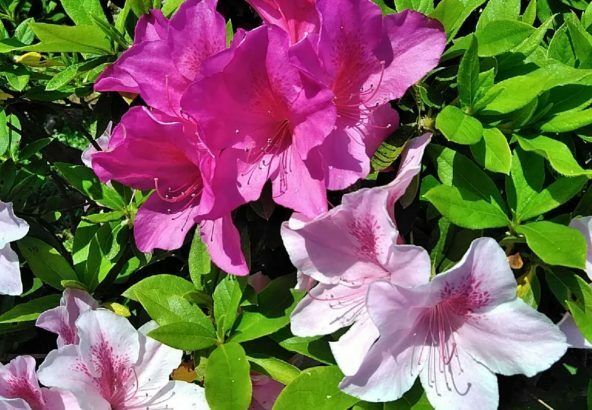 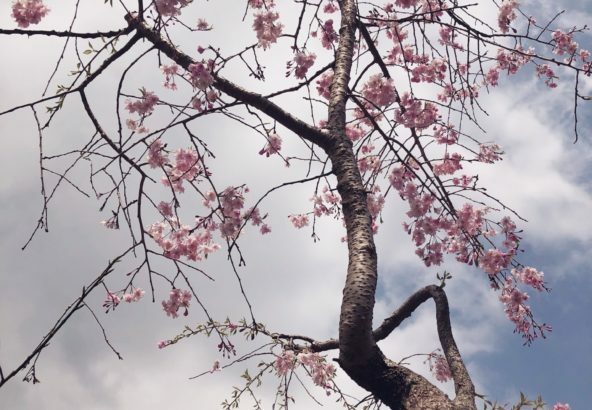 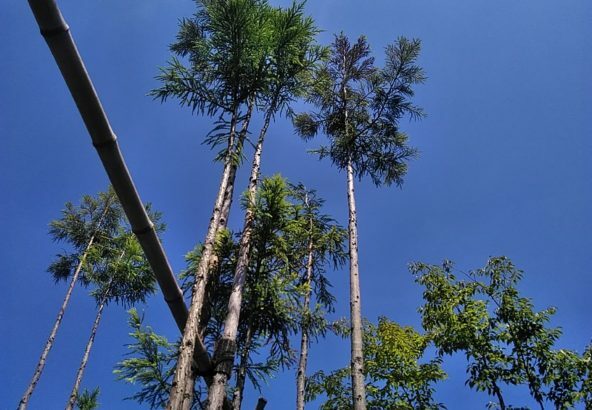 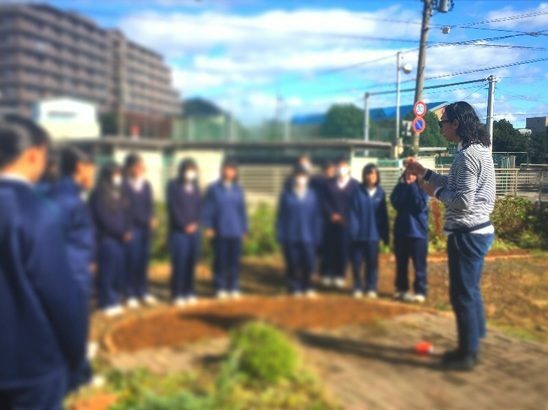 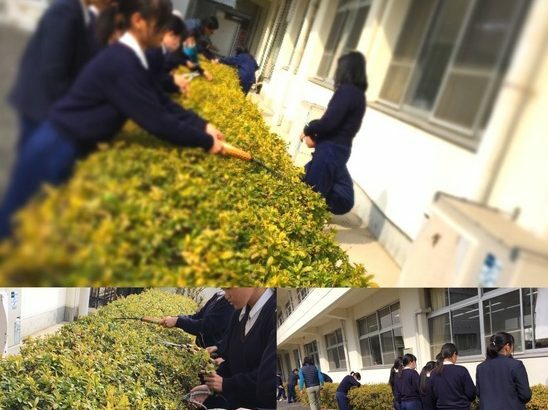 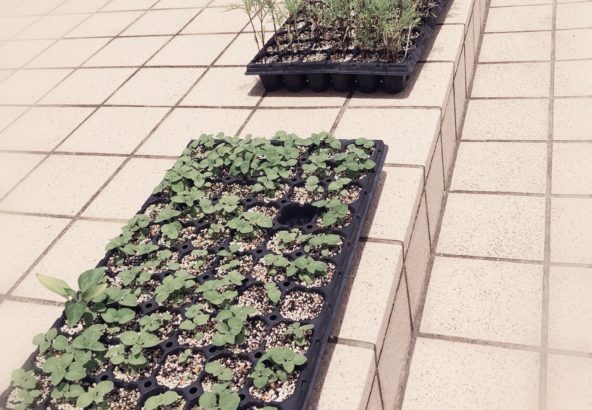 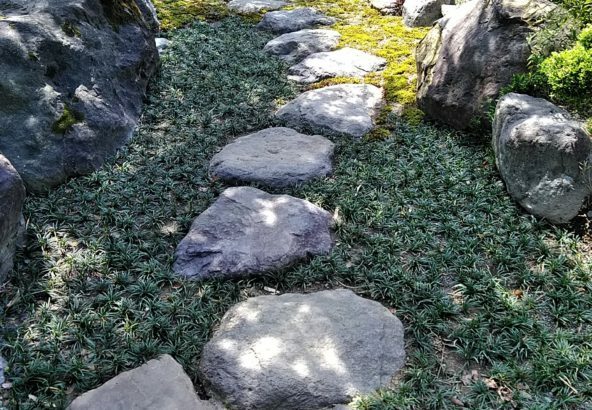 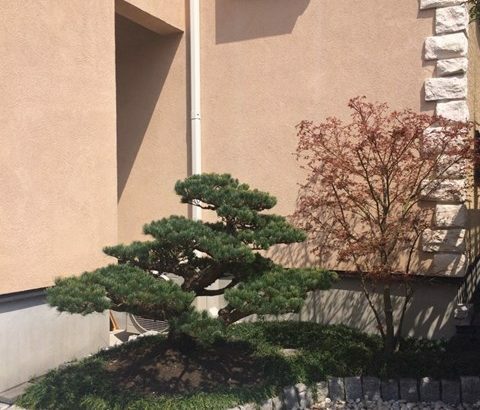 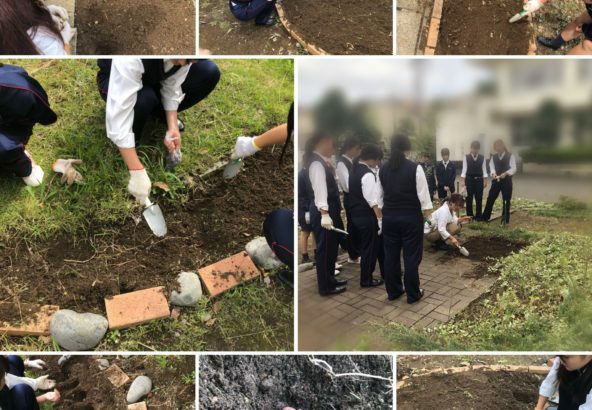 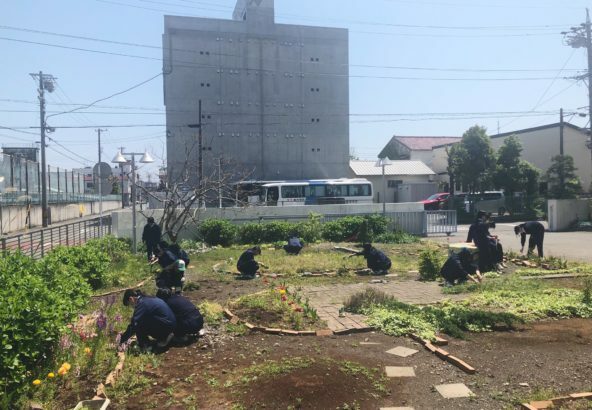 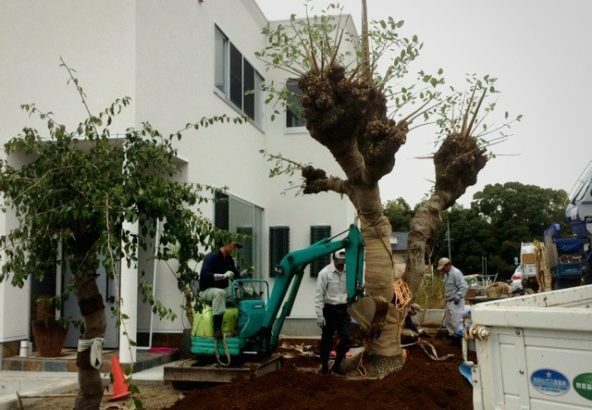 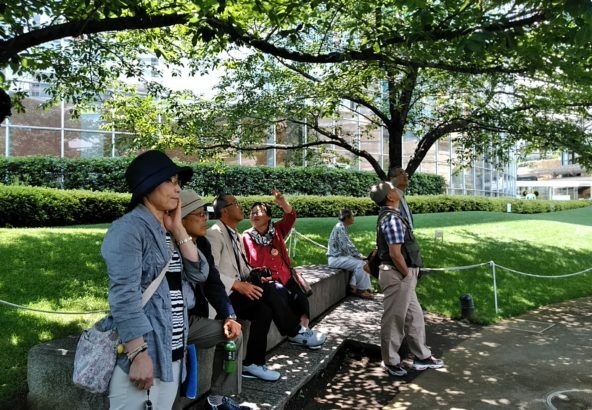 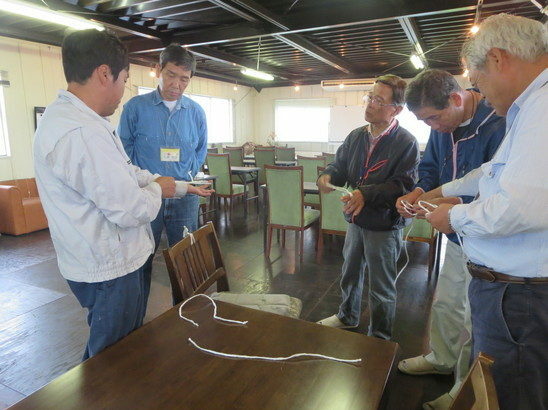 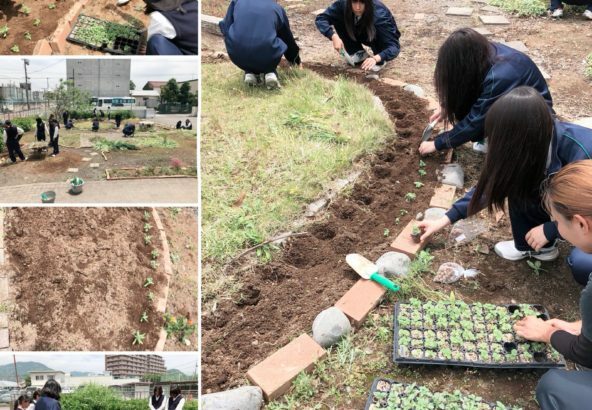 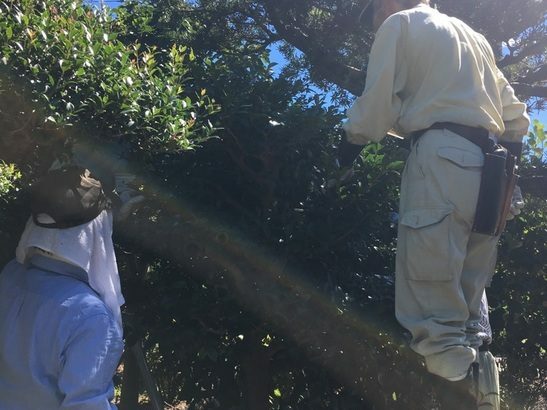 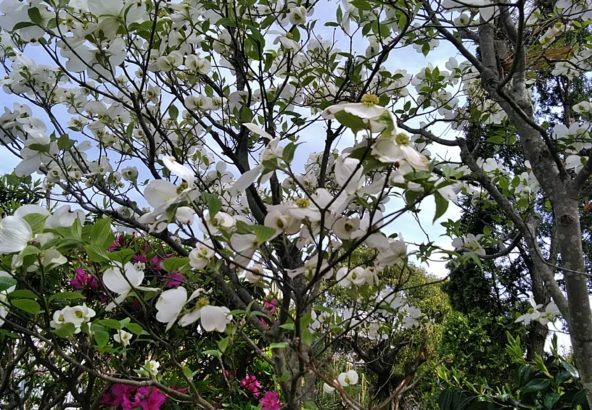 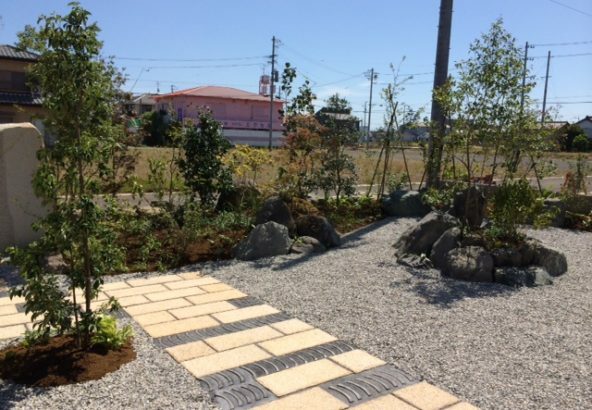 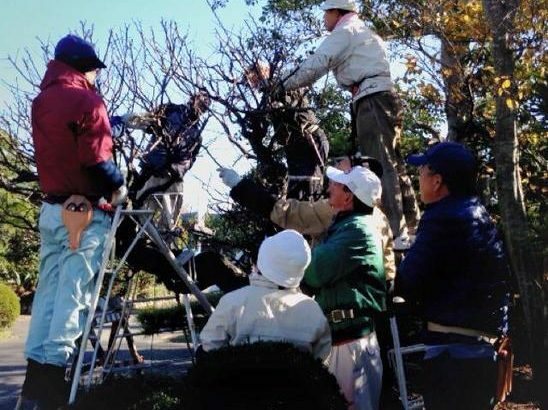 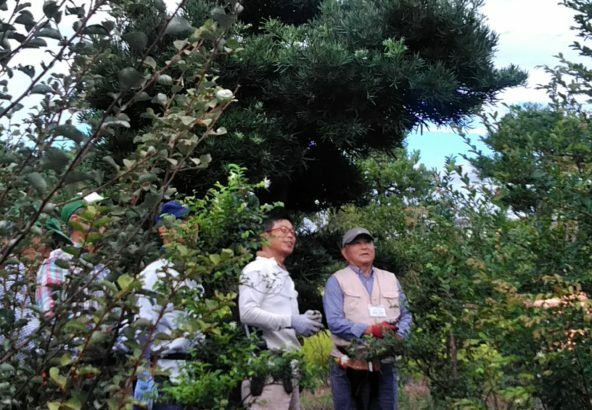 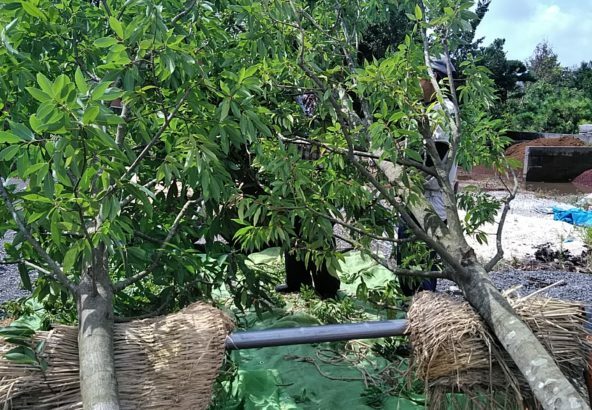 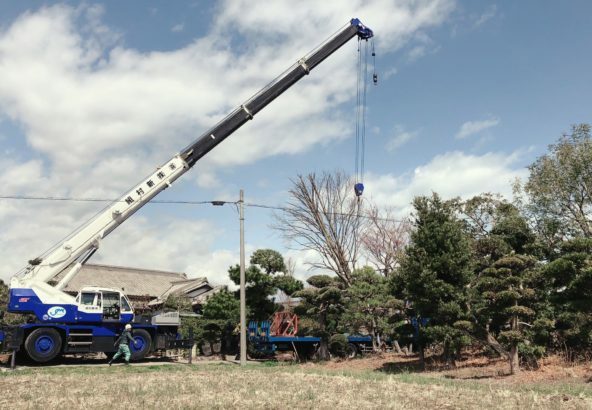 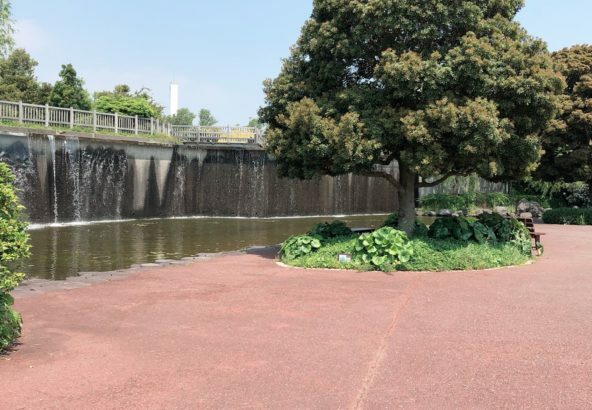 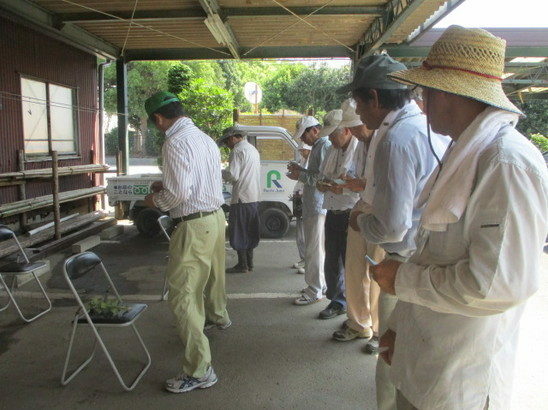 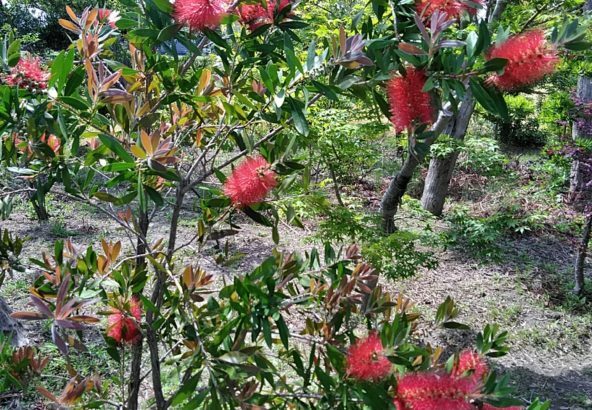 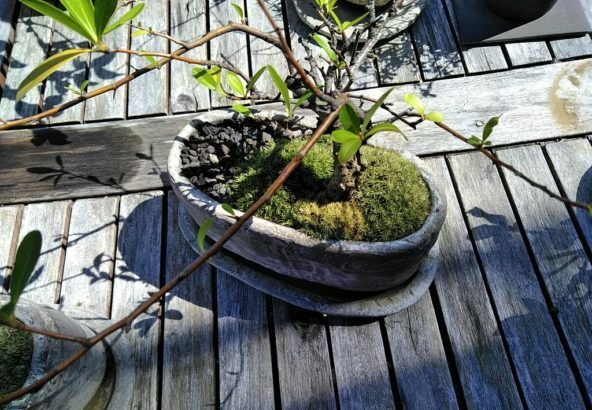 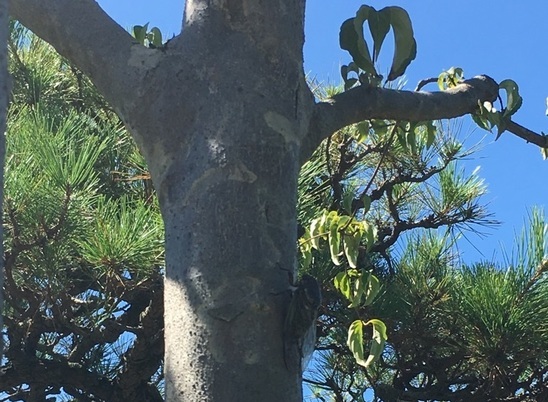 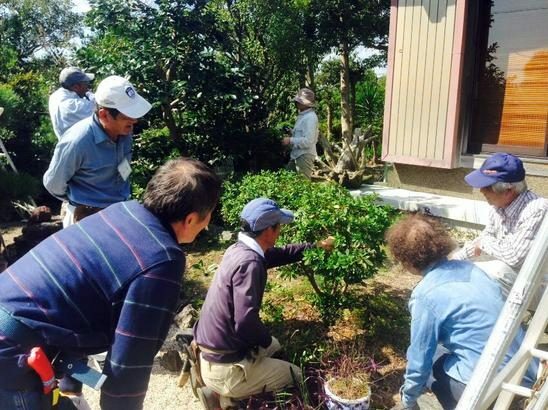 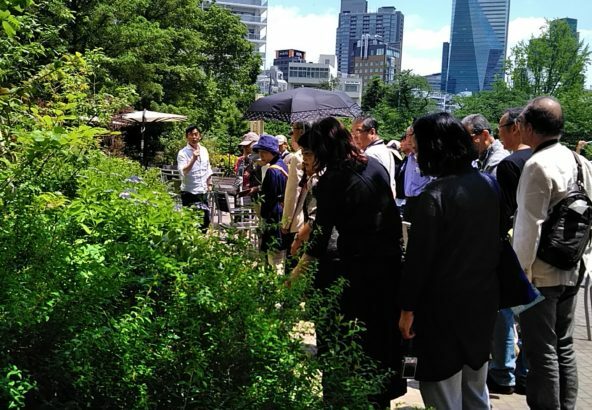 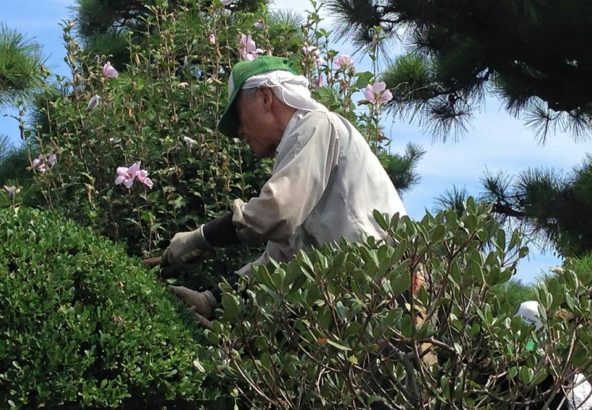 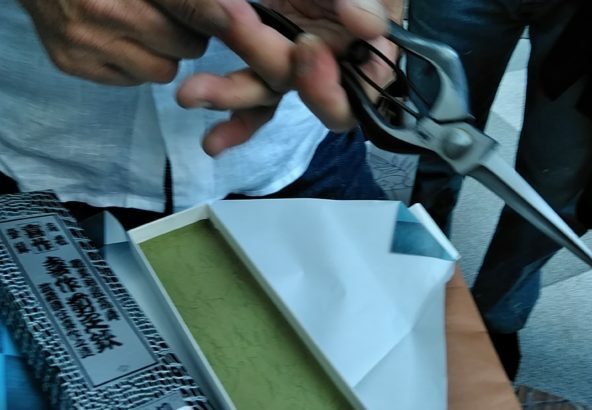 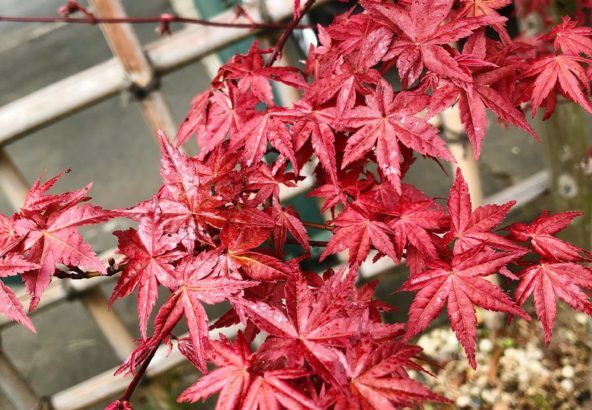 While our current president in the third generation, Masahiro Rachi, has been committed to achieve further business growth in Japan, he also wishes to introduce and share the magnificence of the Japanese gardening engineering as well as Japanese culture. 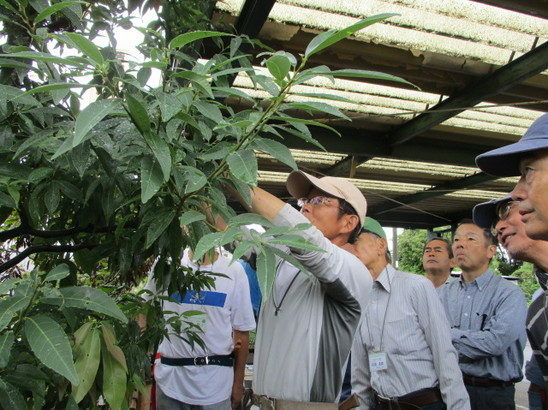 RACHI JUEN has been involved in 4 different operations. 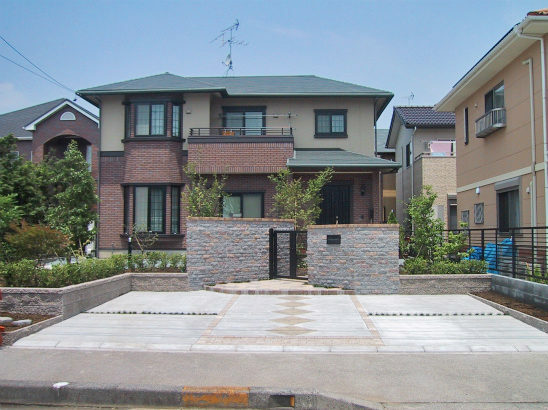 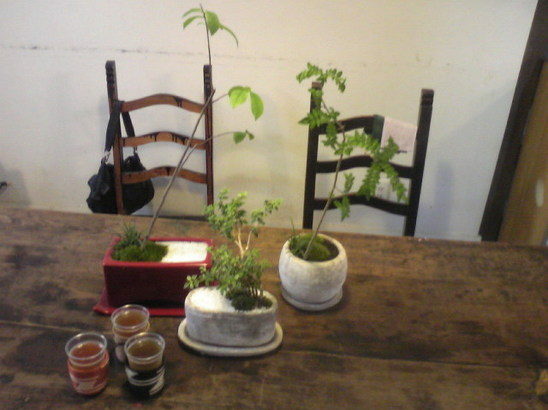 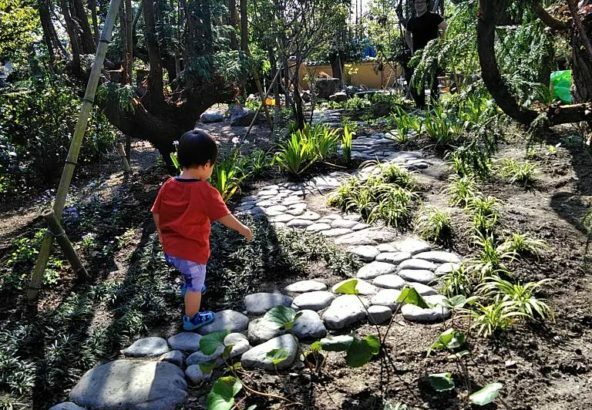 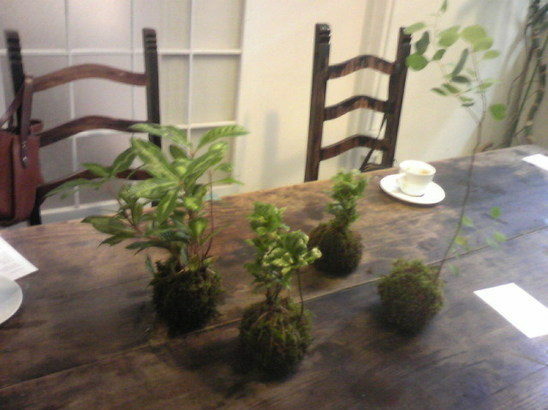 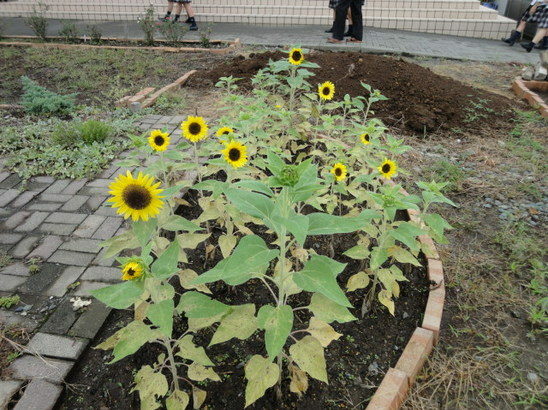 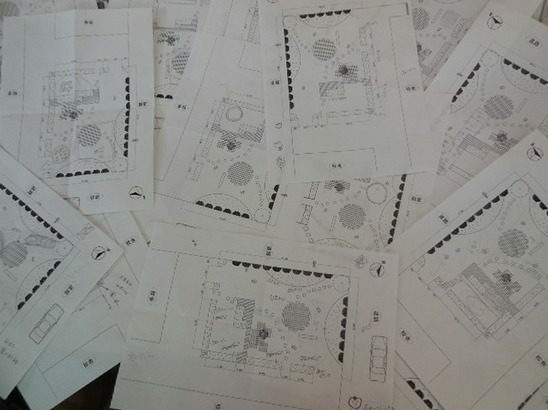 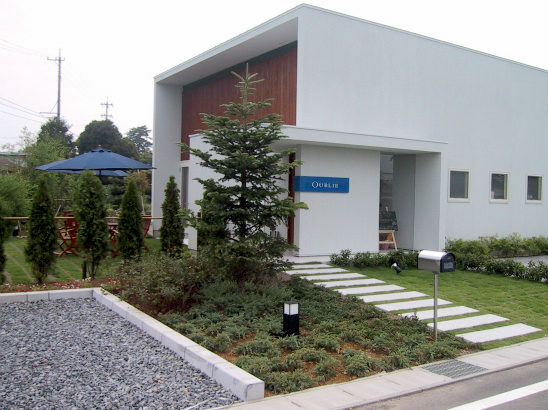 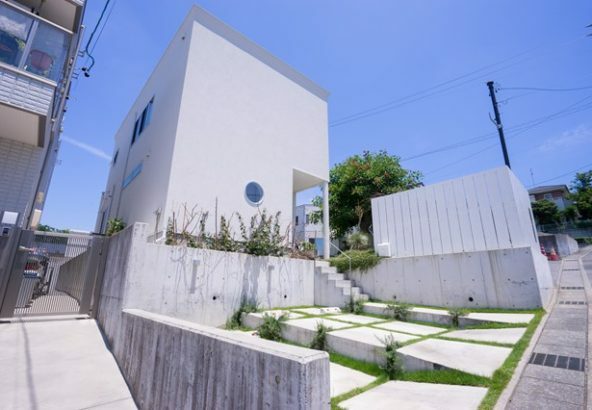 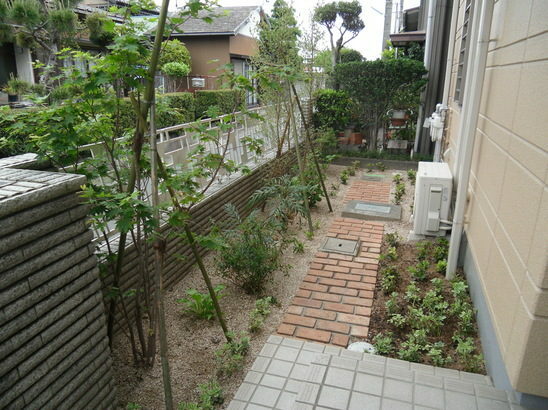 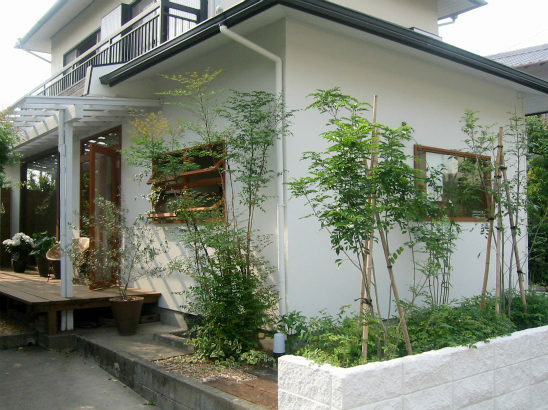 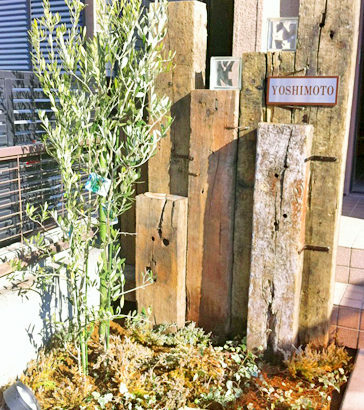 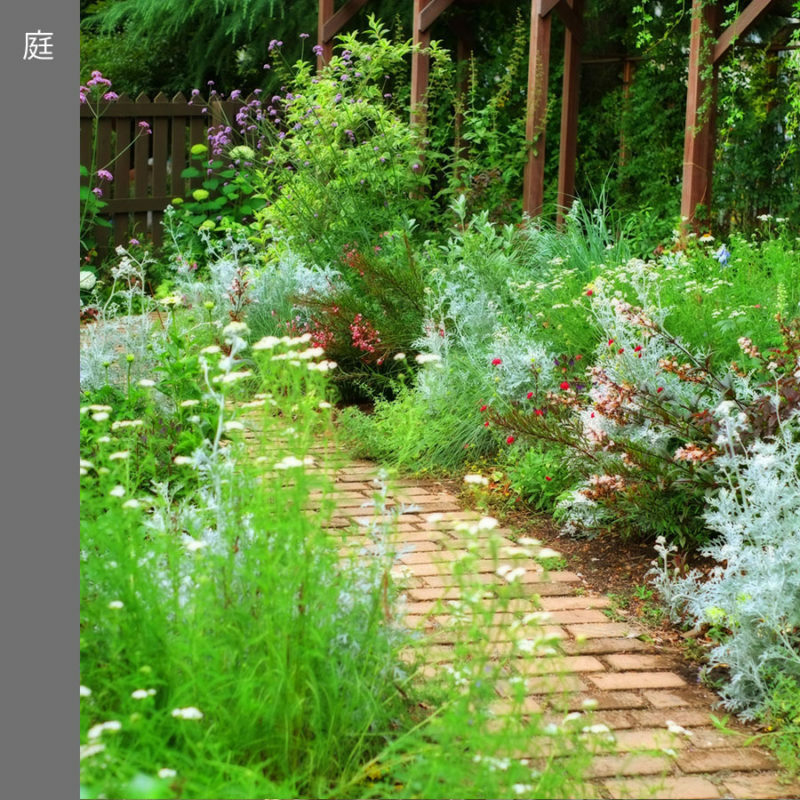 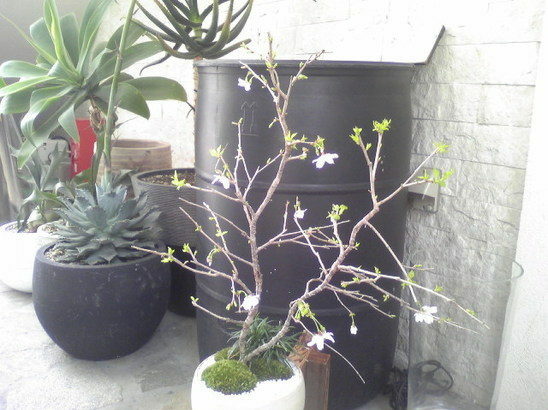 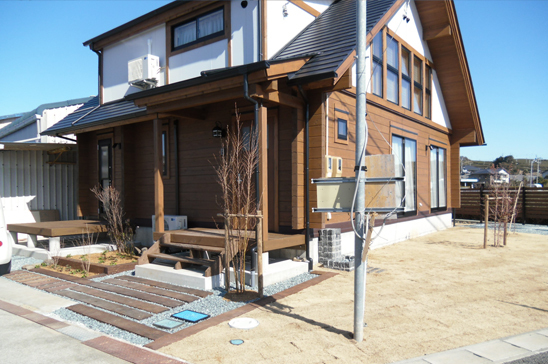 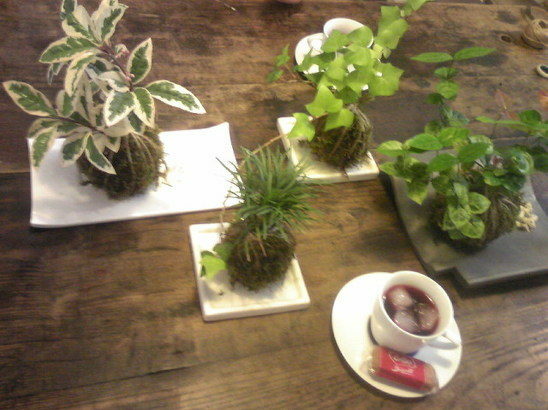 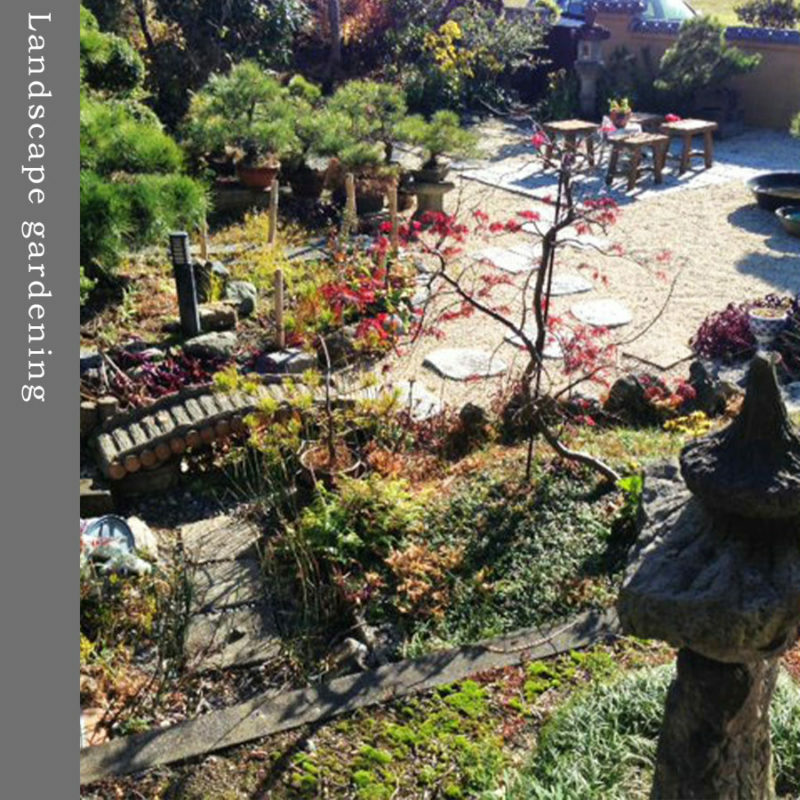 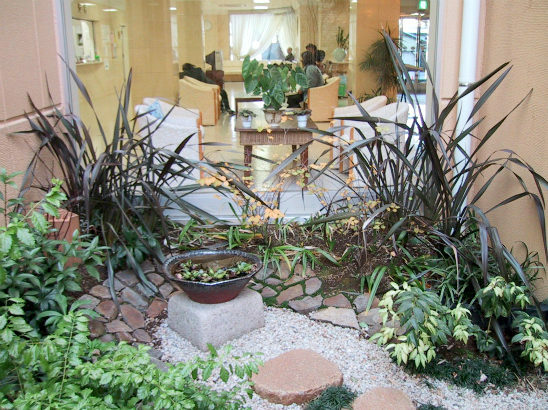 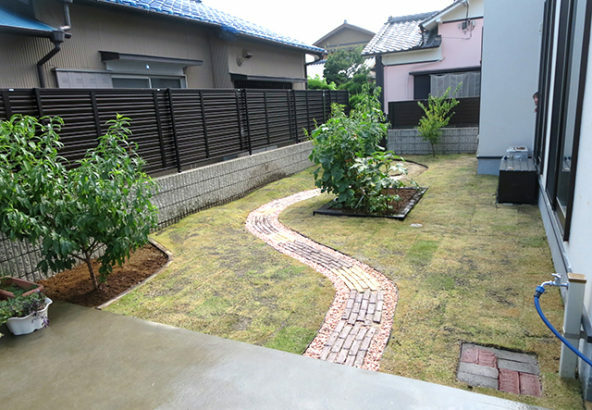 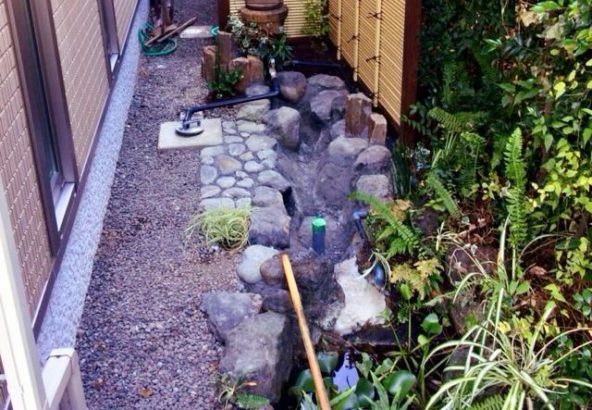 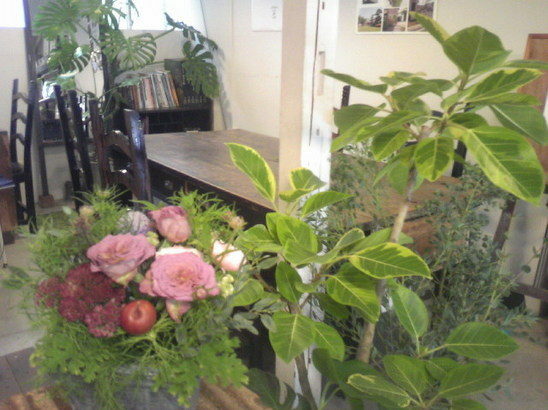 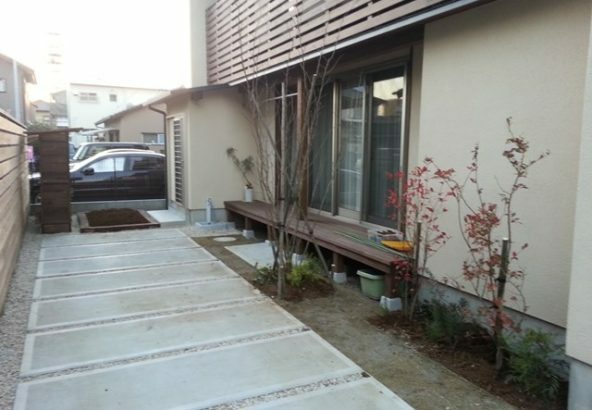 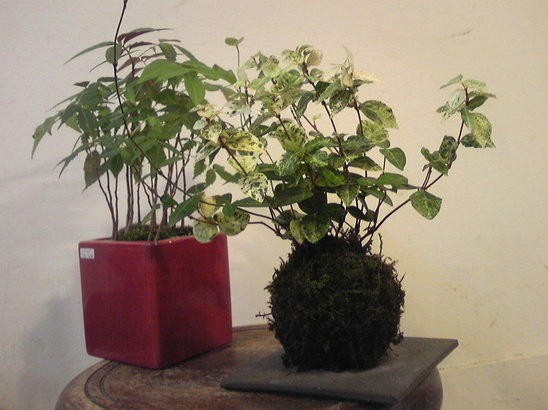 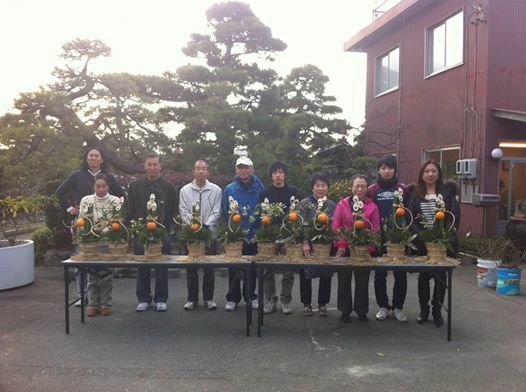 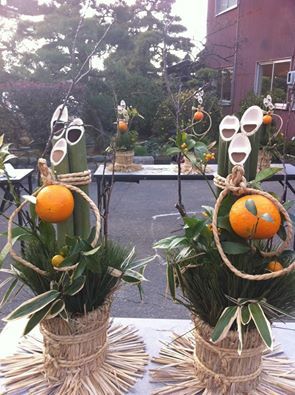 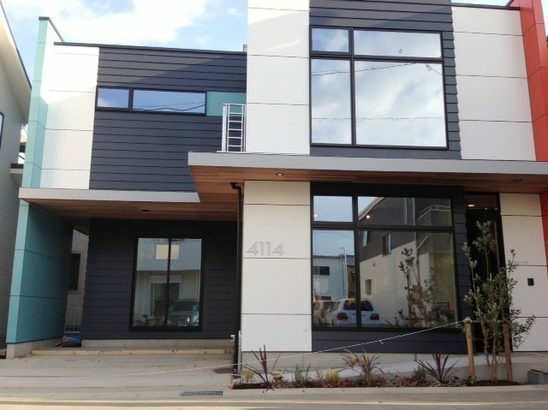 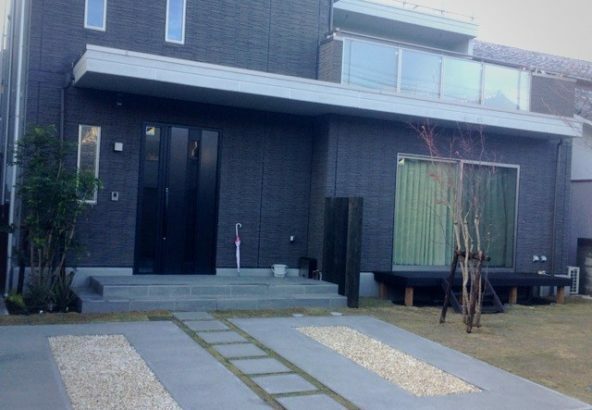 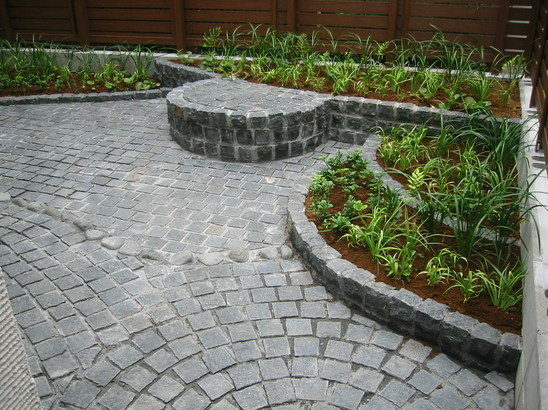 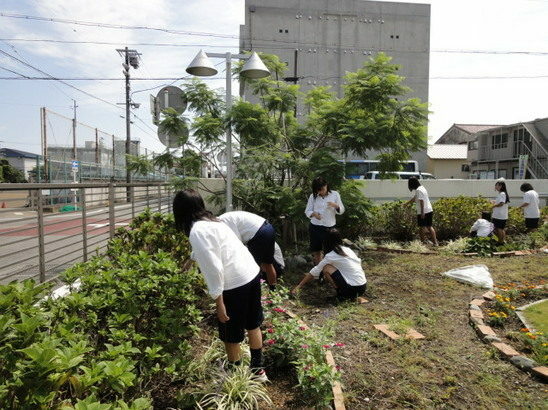 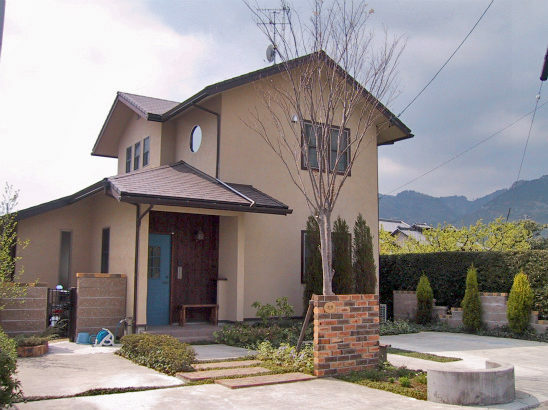 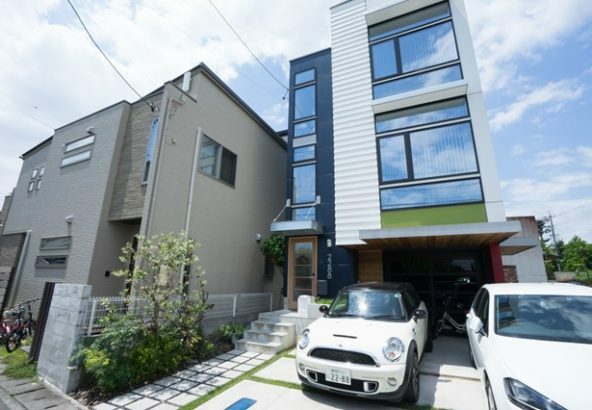 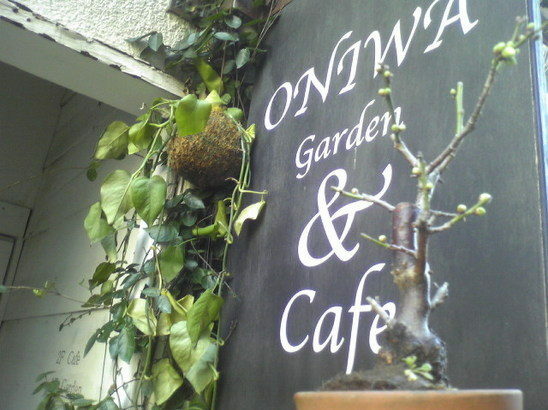 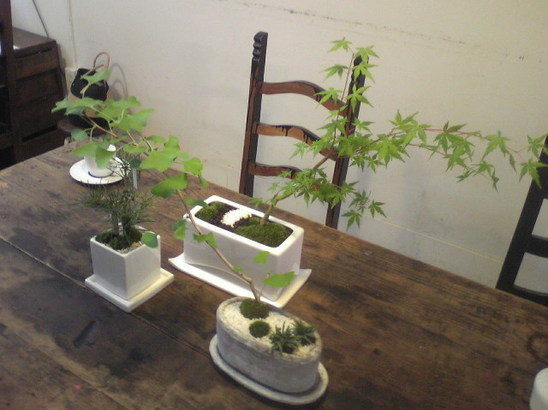 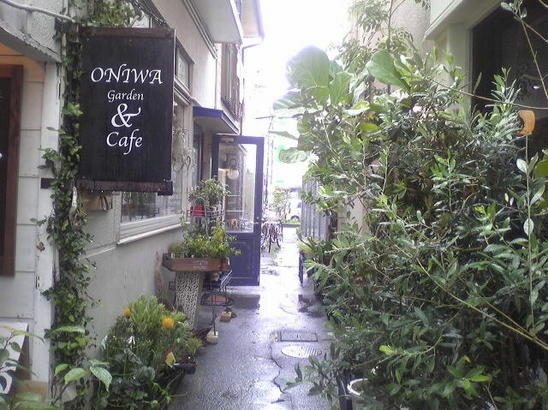 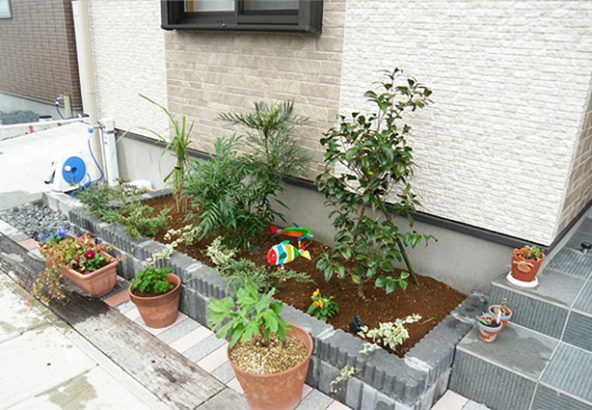 We offer various types of gardens from Traditional Japanese style, Western style, Modern style to English garden style. 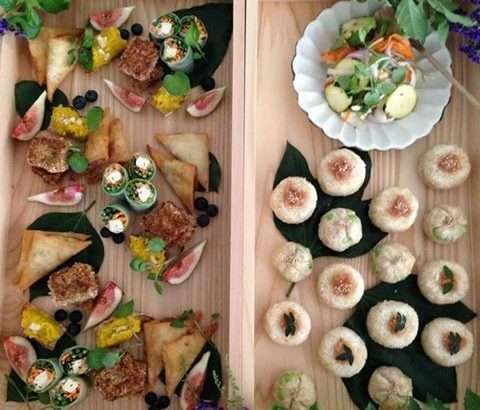 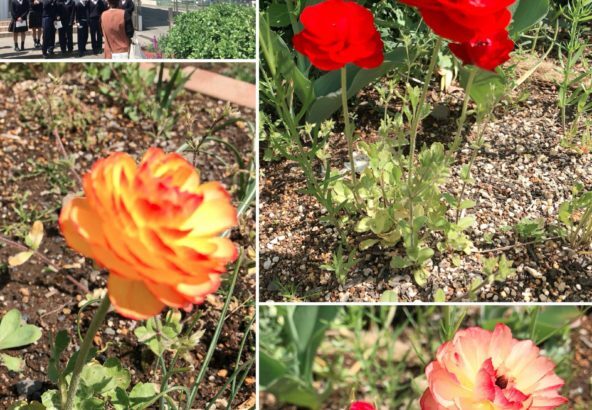 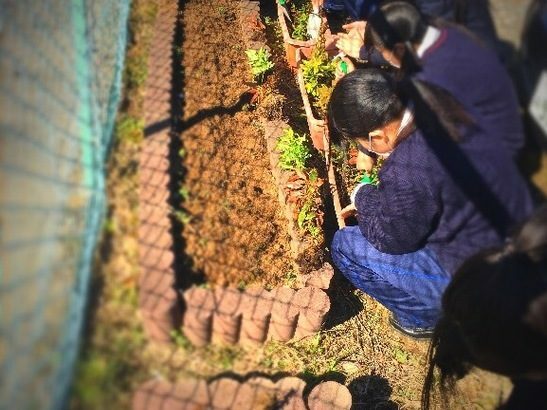 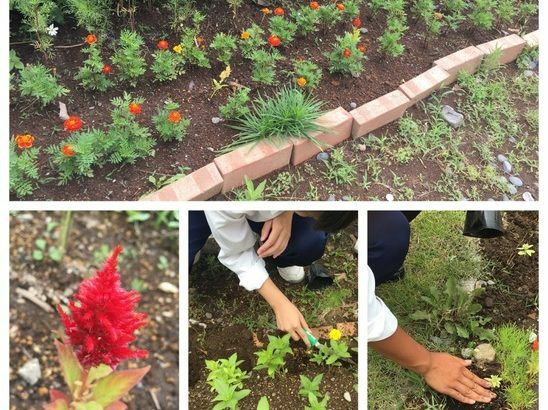 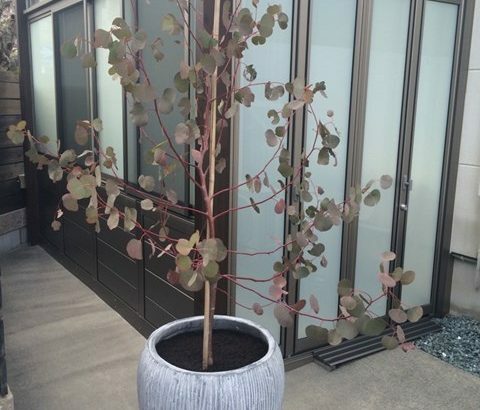 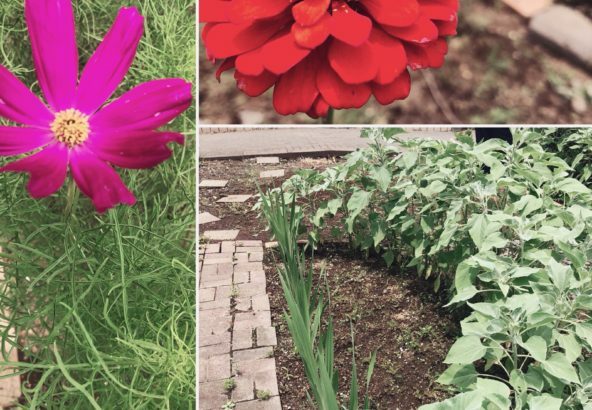 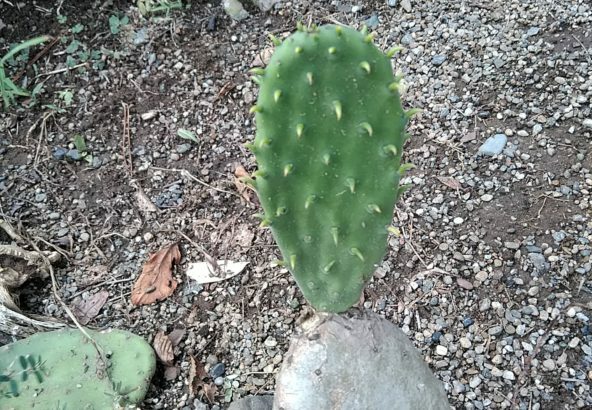 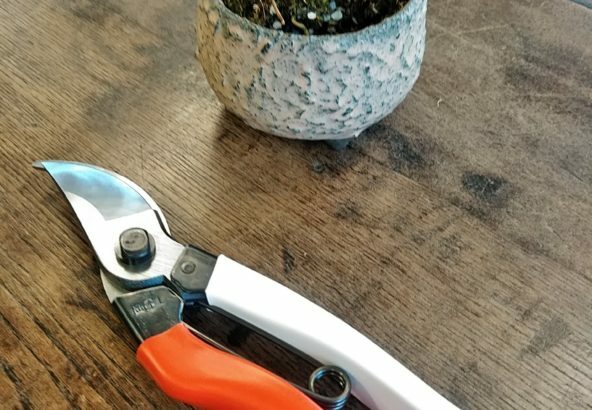 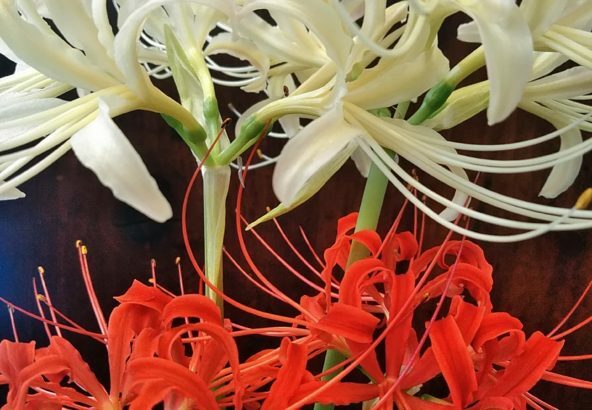 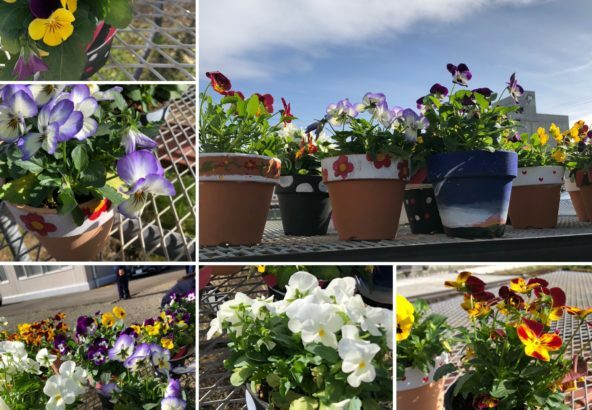 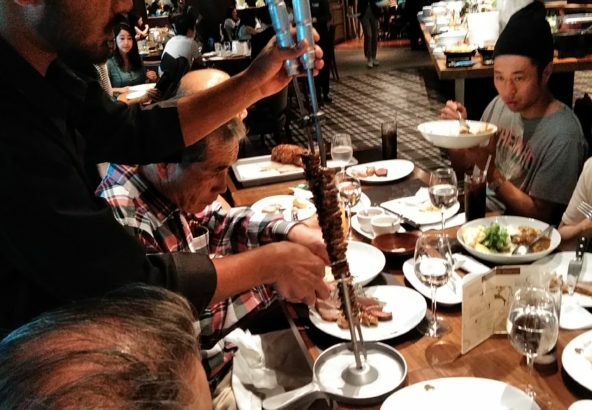 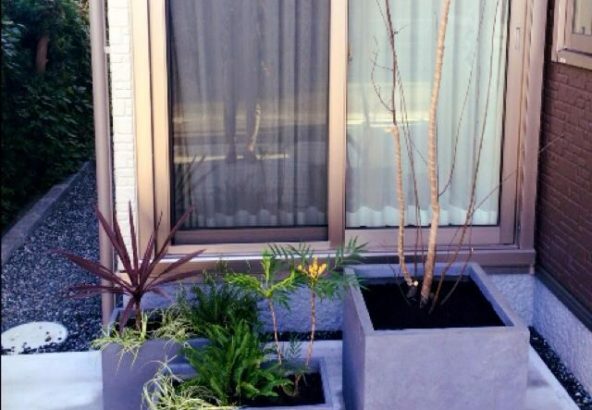 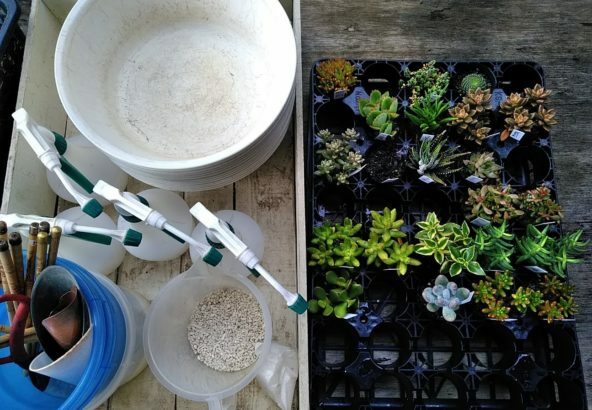 Our gardening techniques can suit any locations from residential gardens to courtyard of commercial properties such as restaurants or hospitals. 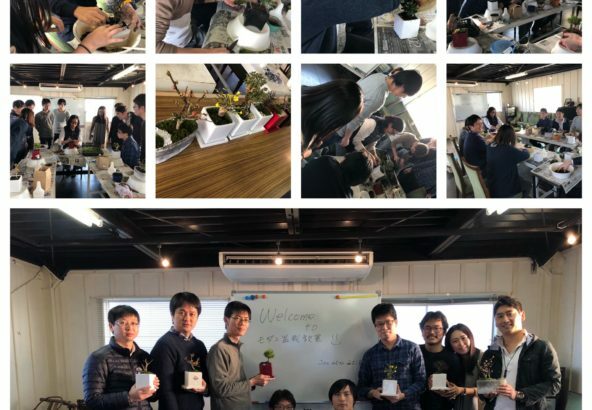 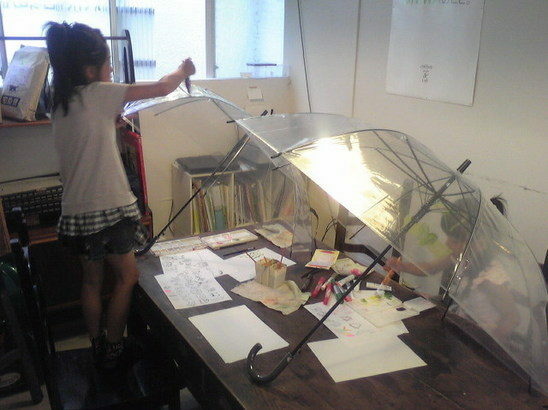 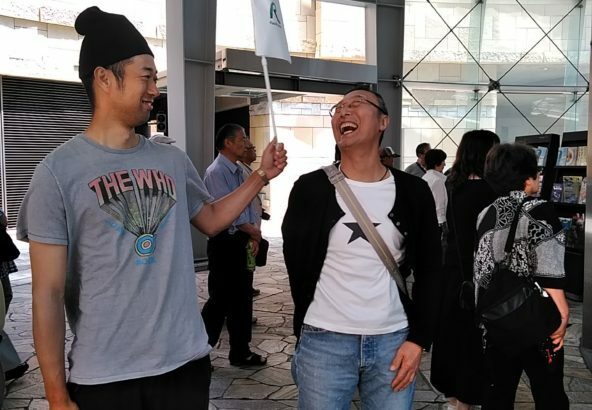 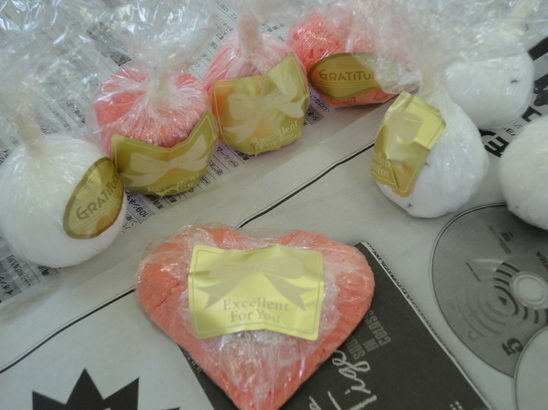 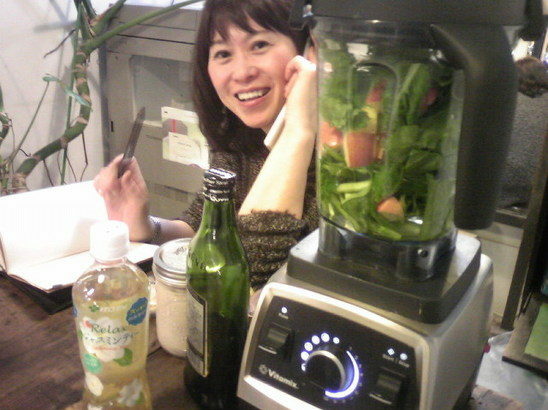 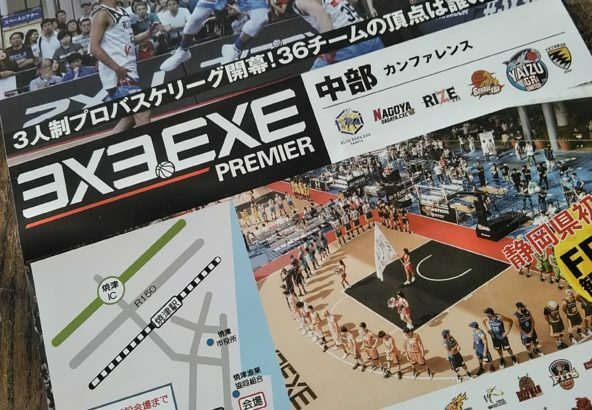 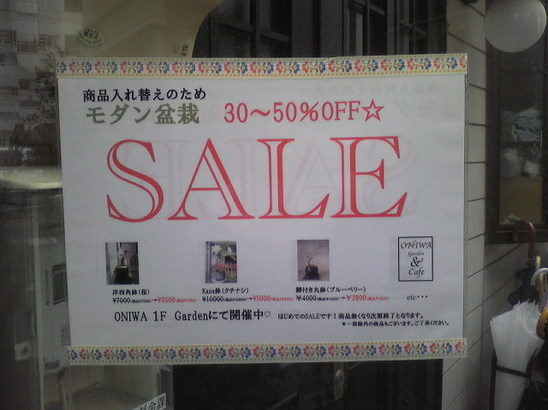 We will be happy to work for our customers not only in Japan but those from all over the world. 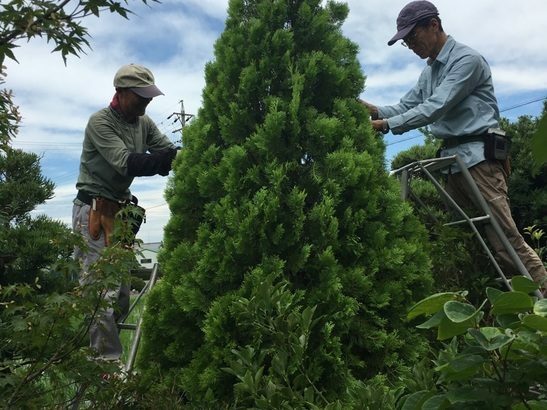 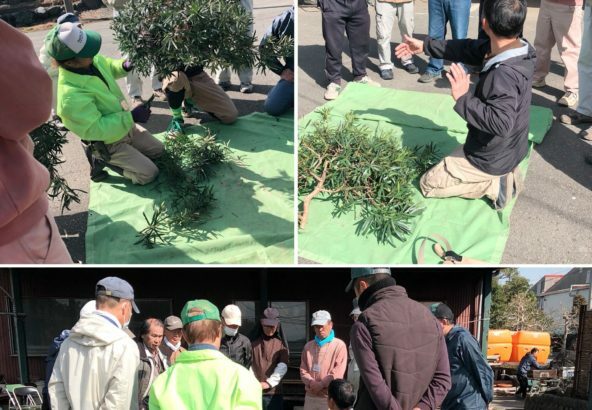 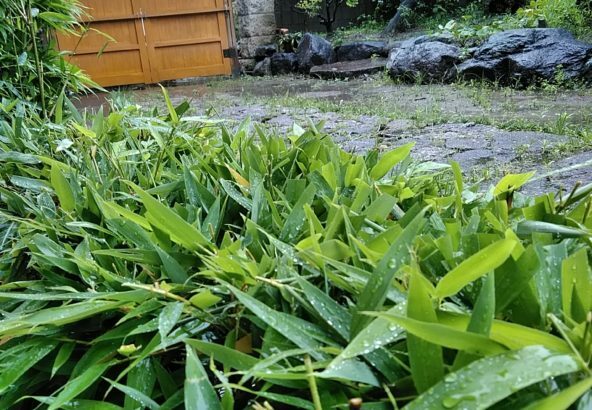 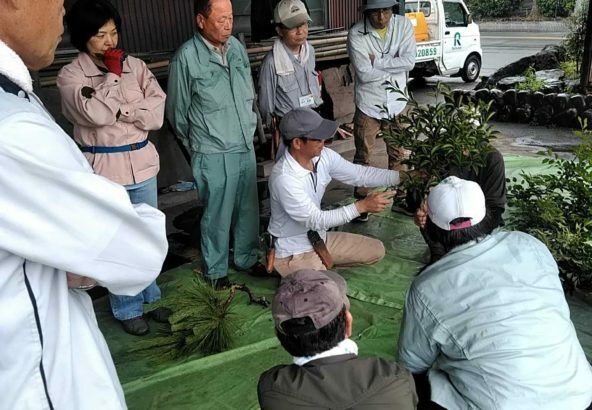 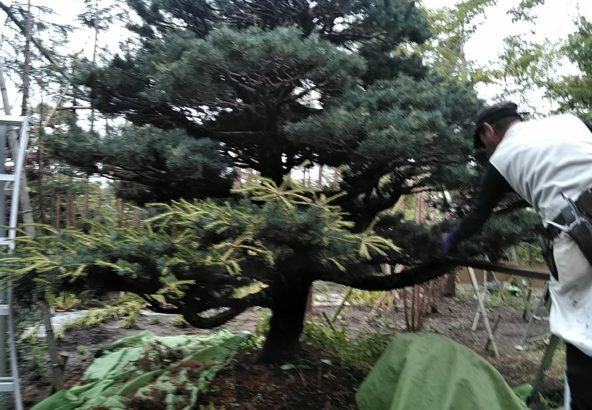 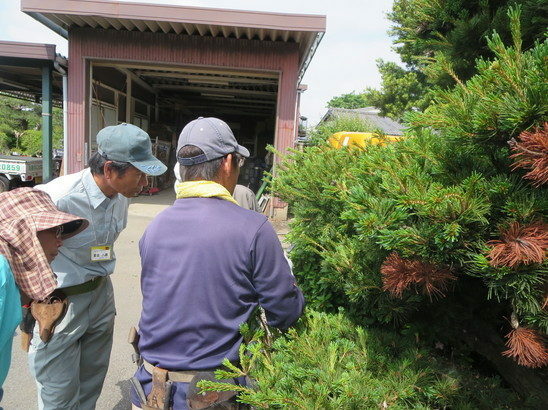 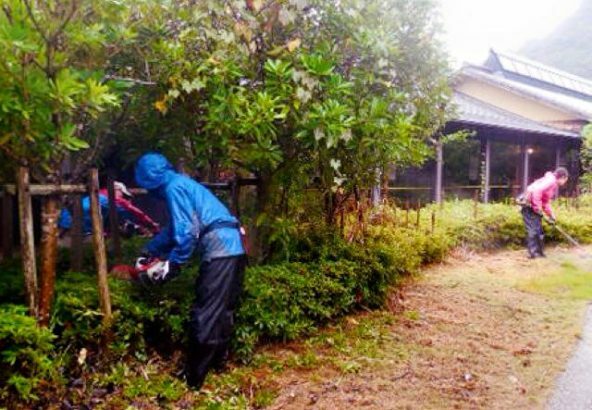 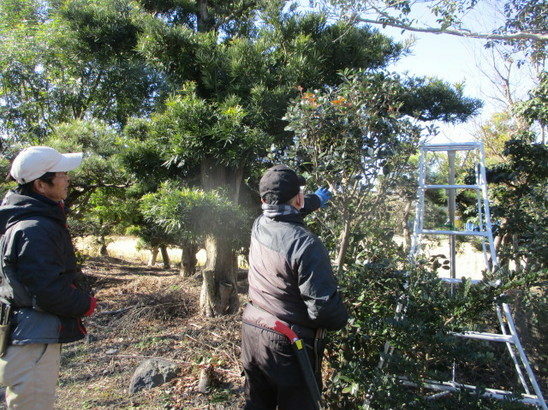 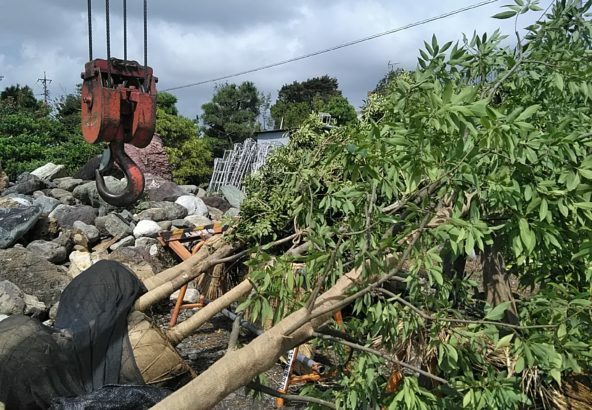 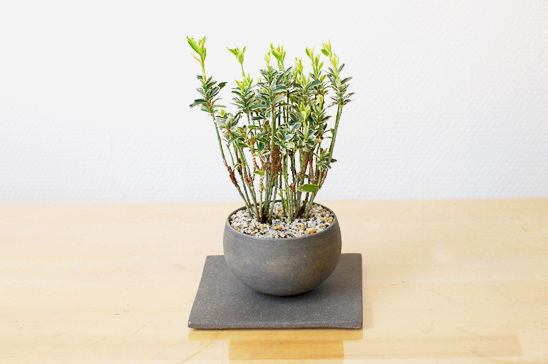 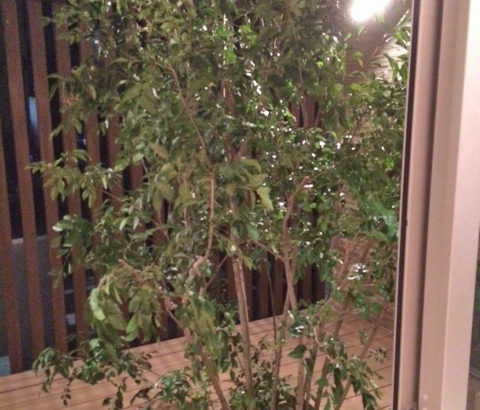 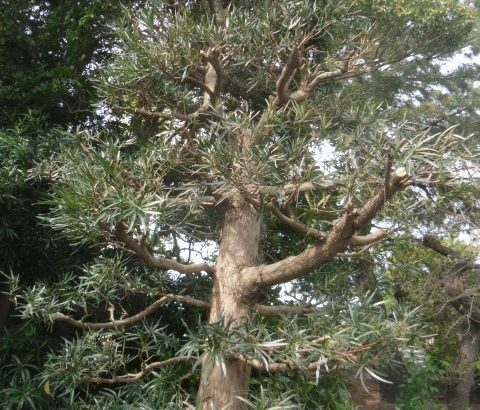 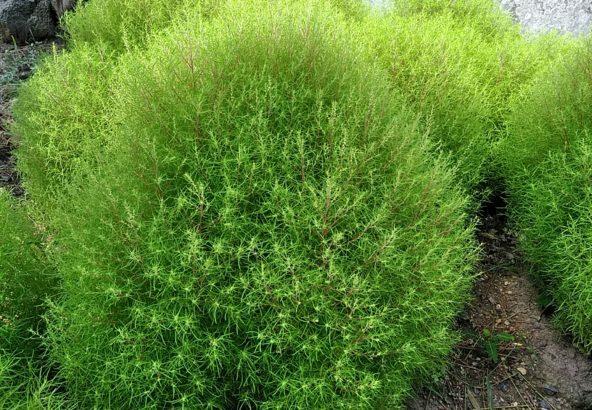 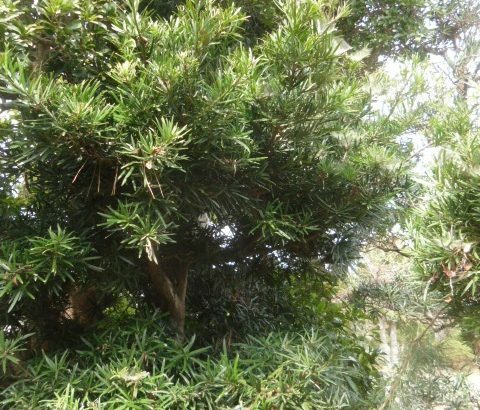 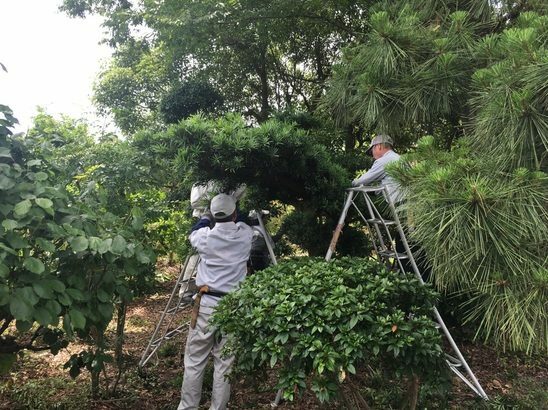 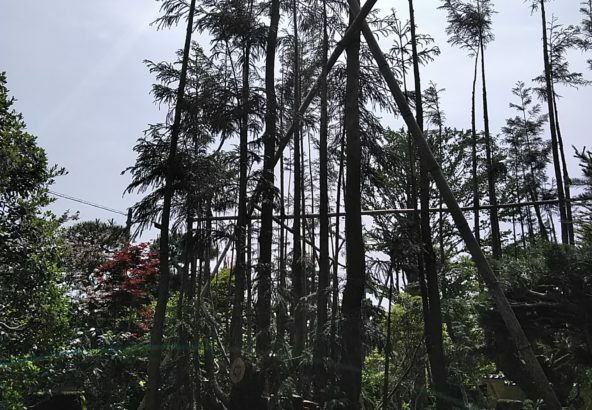 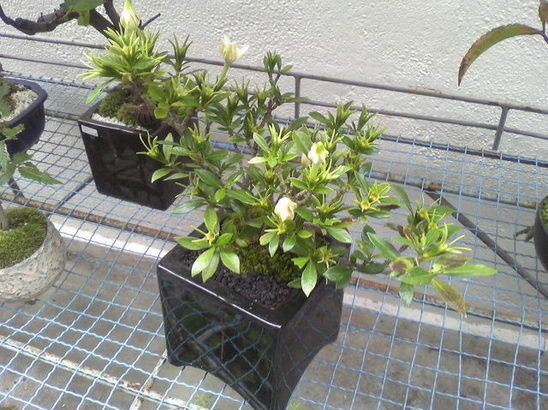 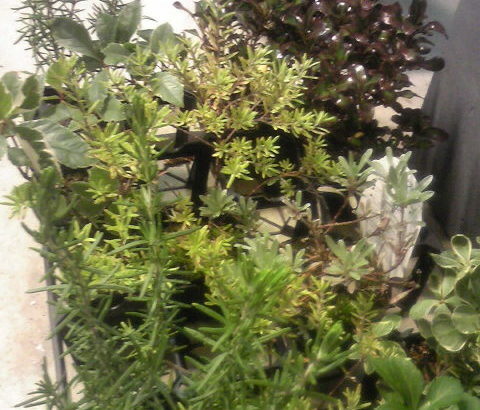 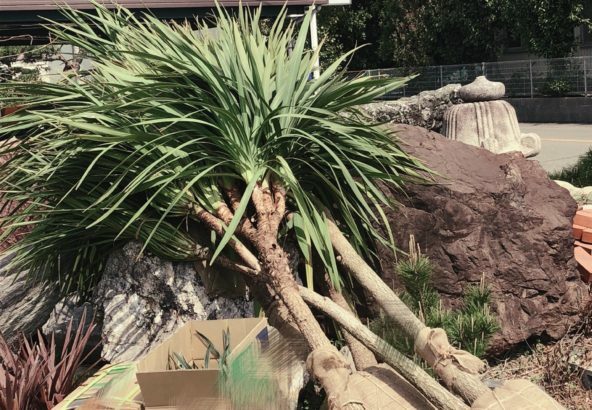 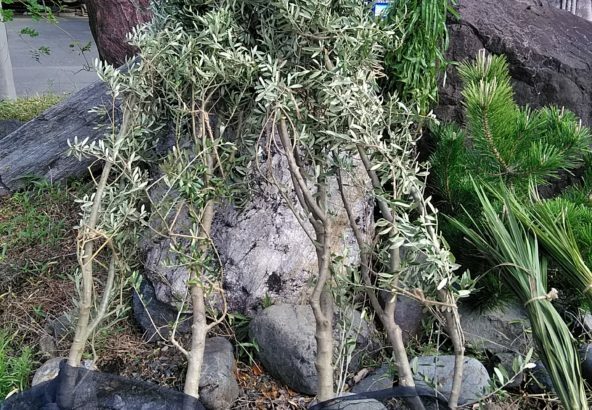 In addition to construction, we are experienced in helping customers exporting podocarpus trees to China. 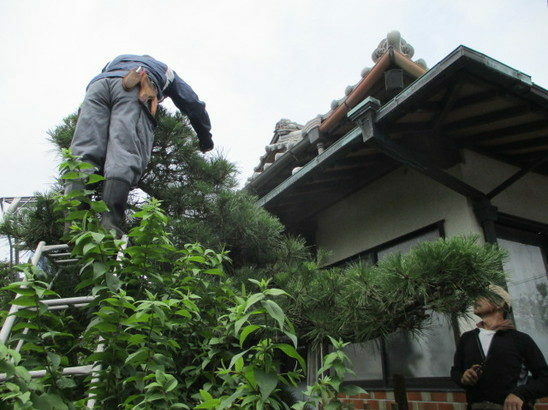 We also offer lawn care service. 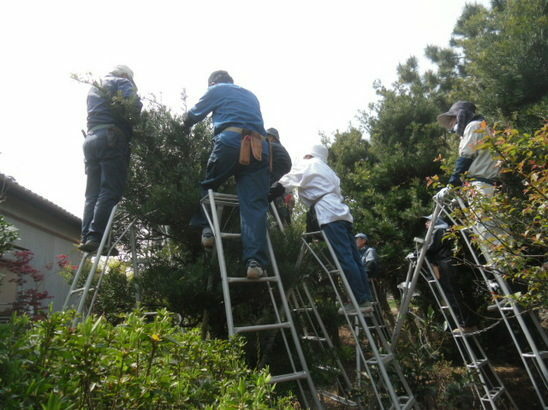 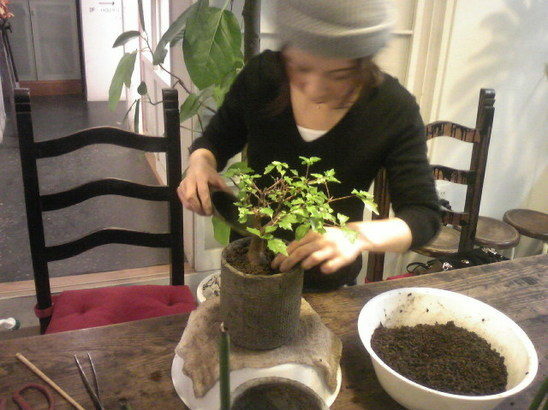 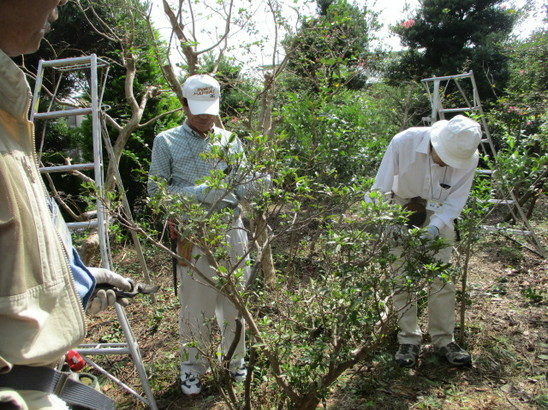 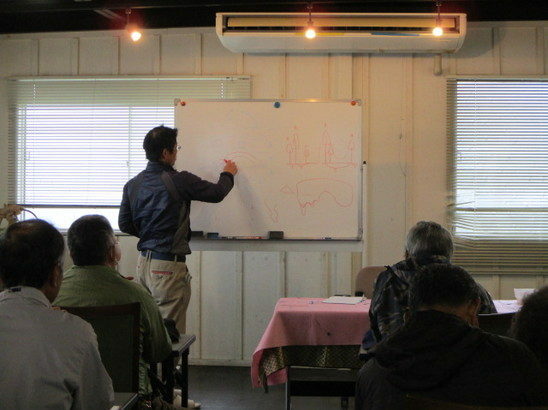 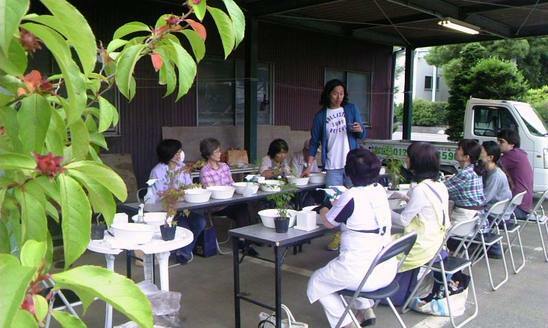 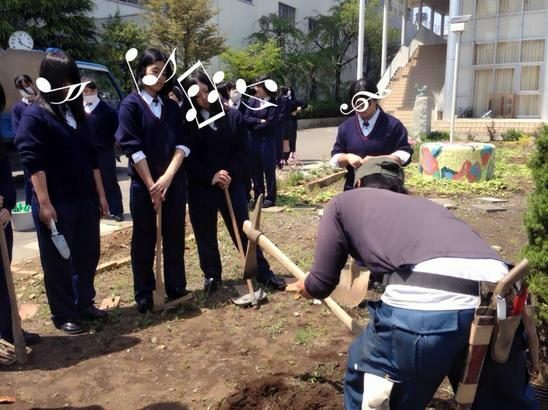 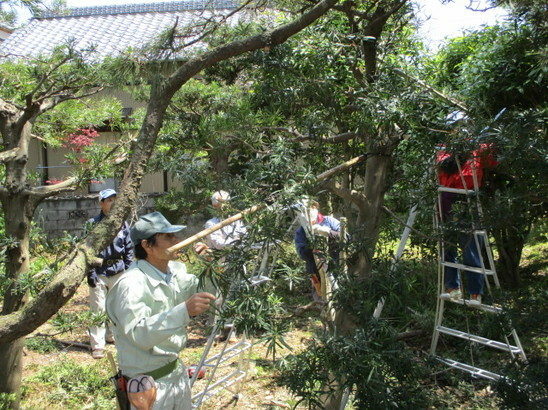 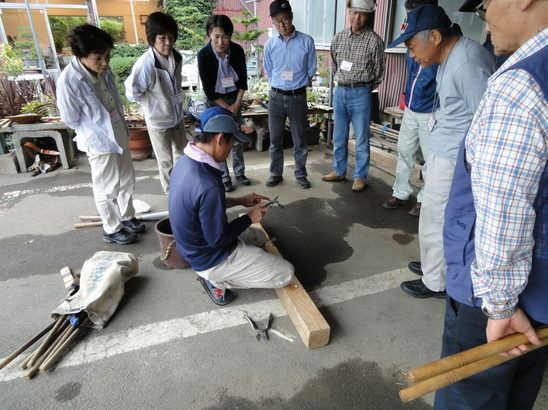 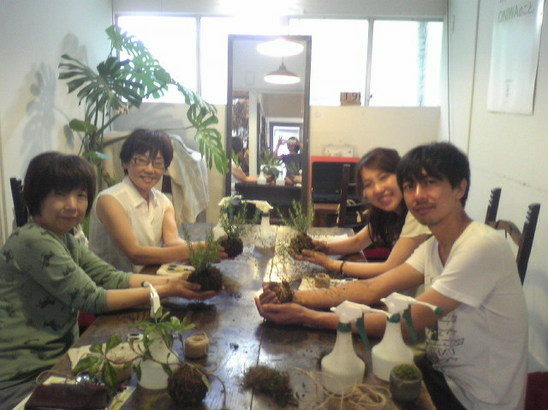 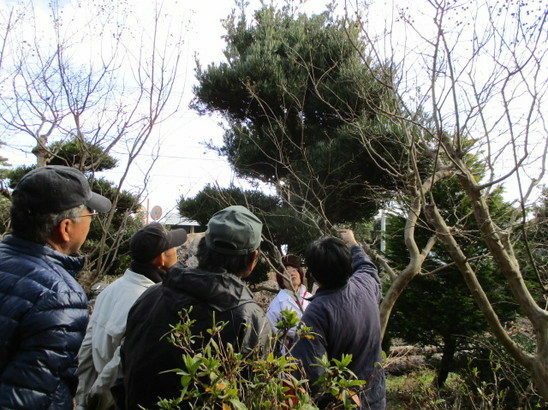 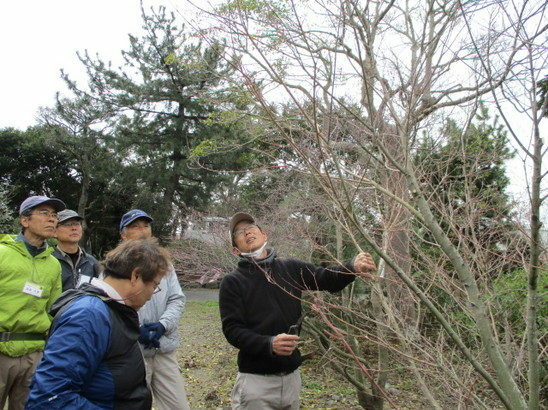 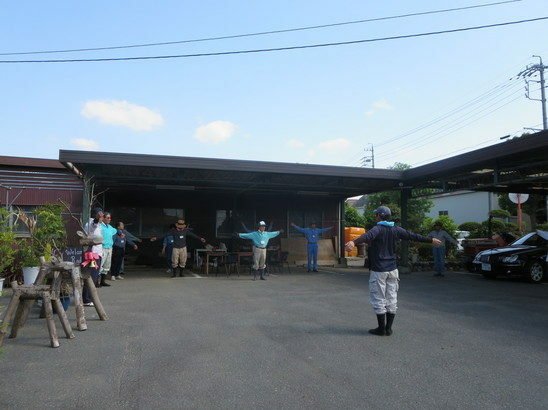 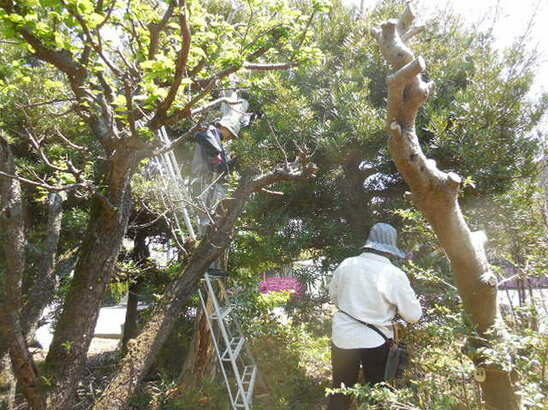 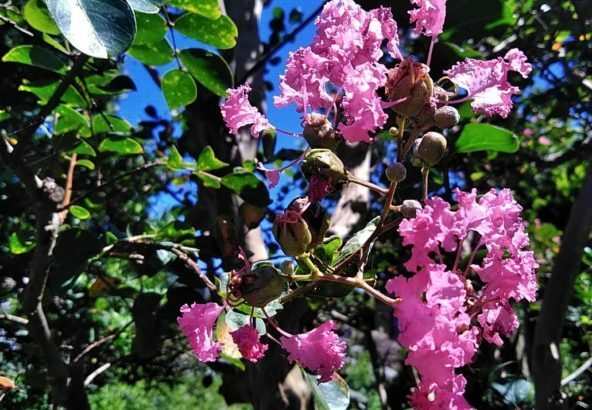 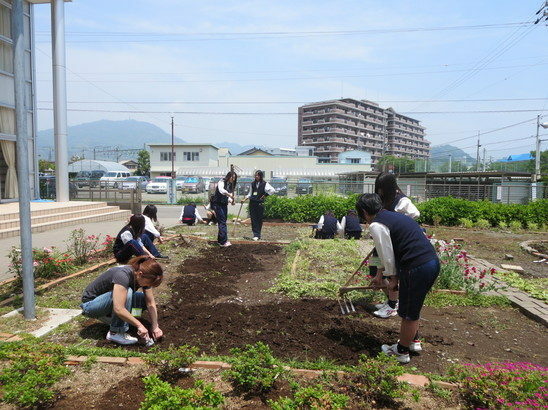 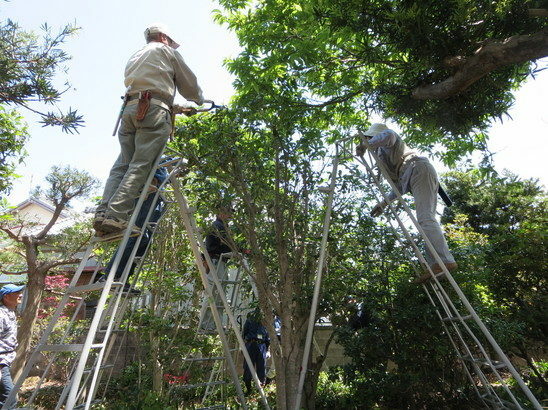 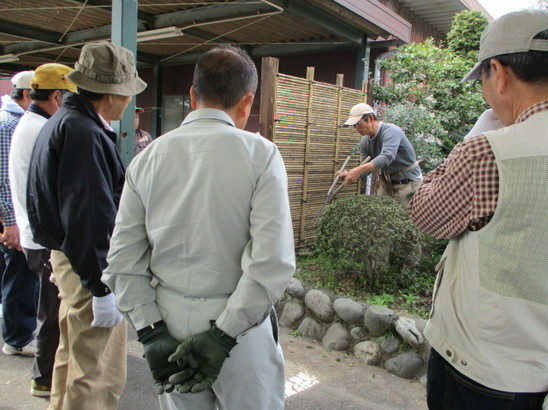 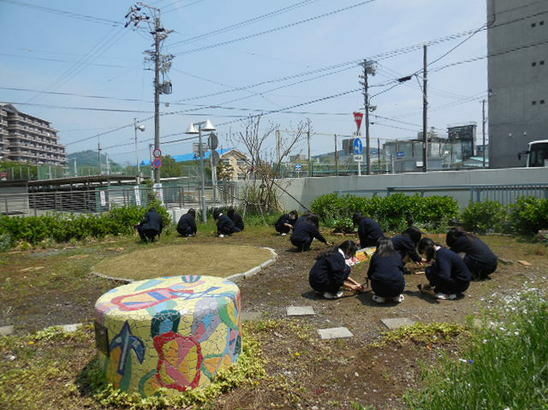 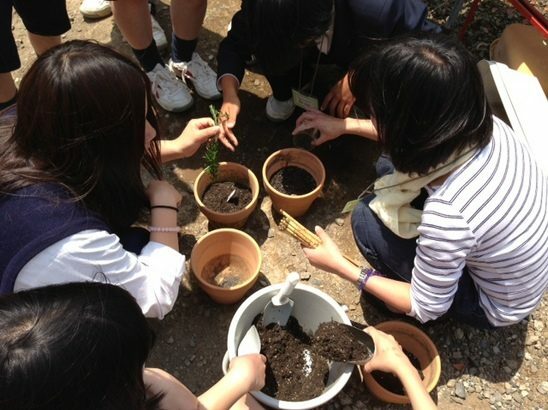 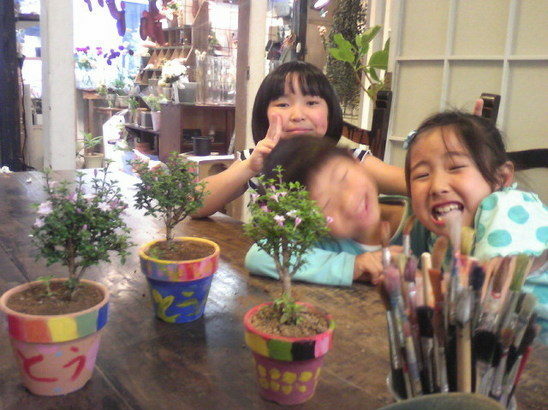 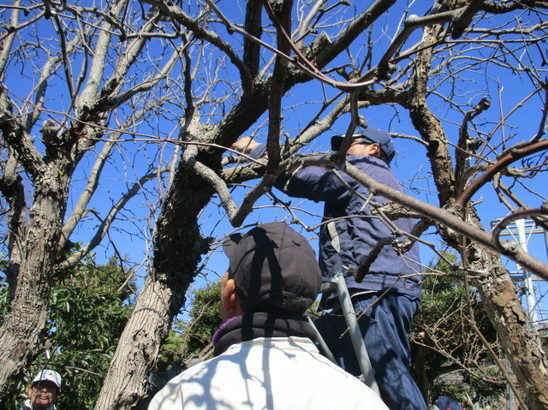 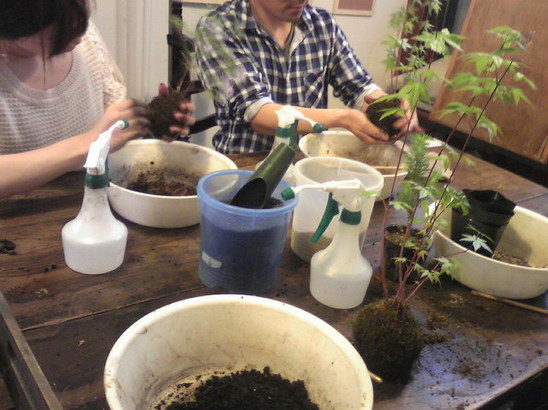 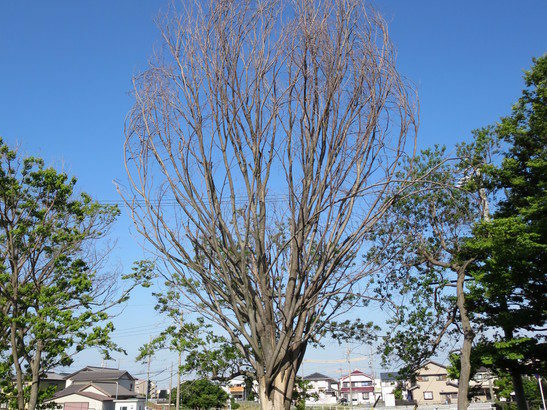 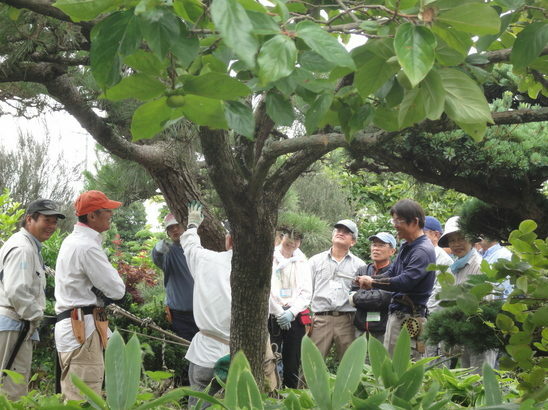 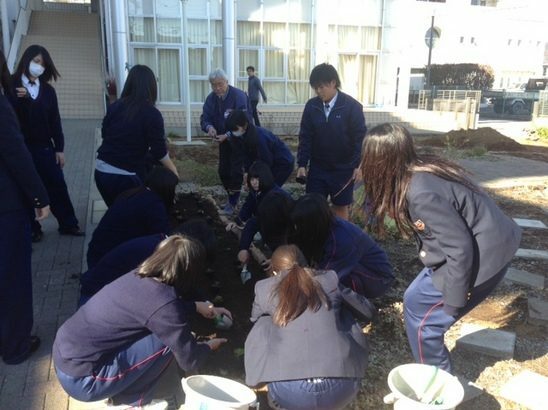 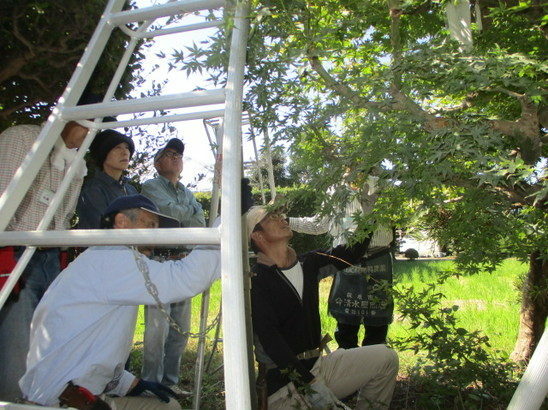 We opened an educational program called “Garden tree care school” in 2002. 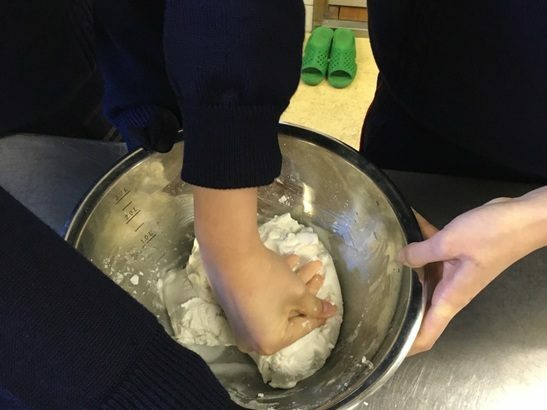 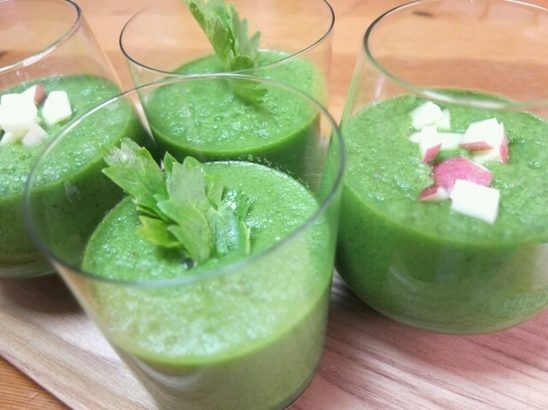 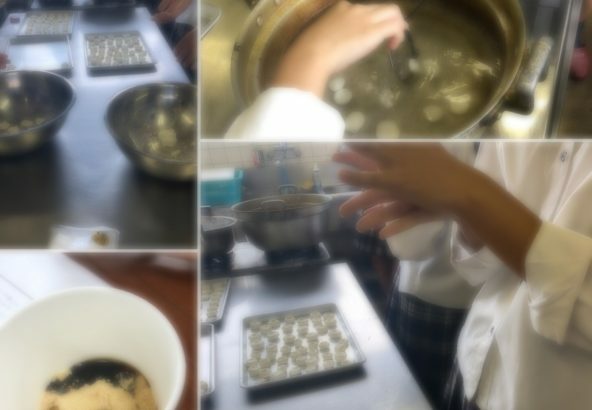 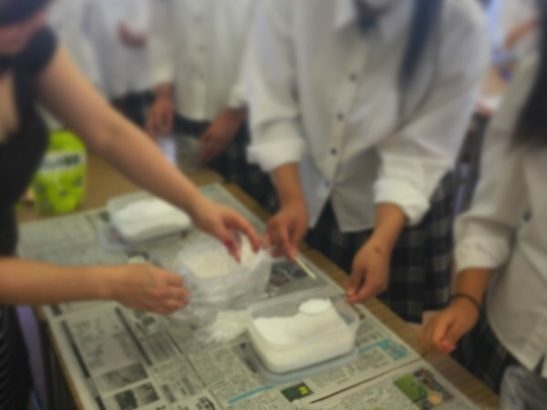 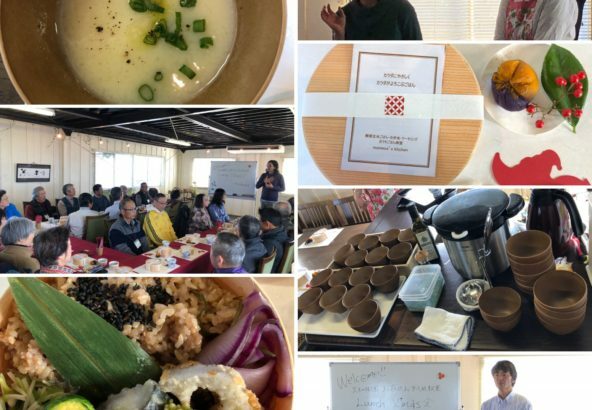 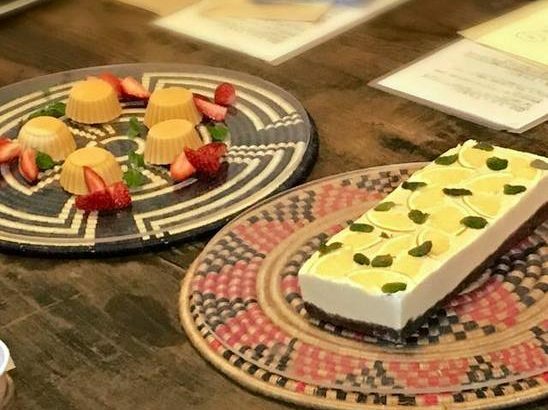 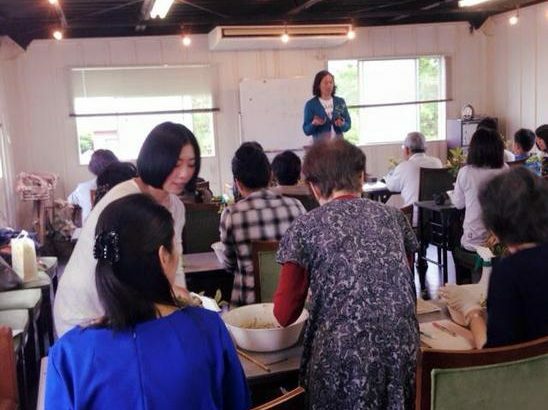 It has been so popular that the courses are long-running for more than 10 years and now over 100 people are taking the courses. 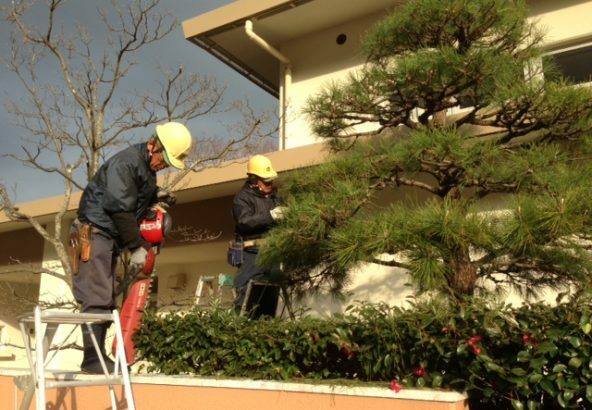 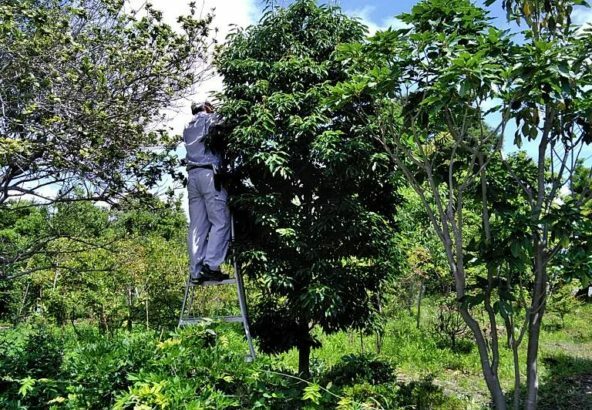 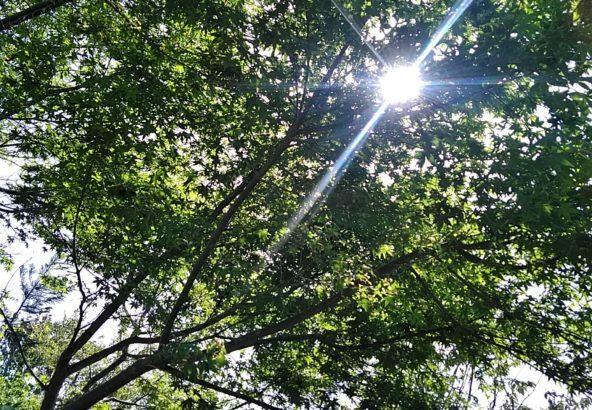 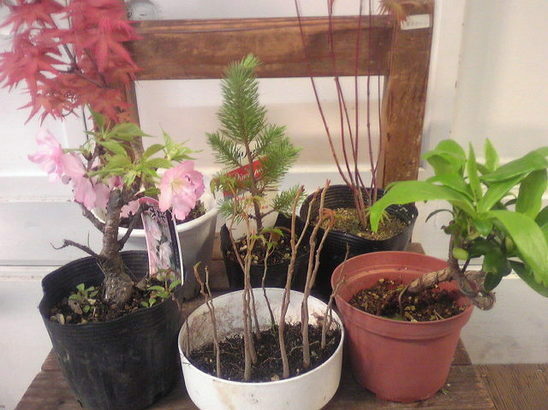 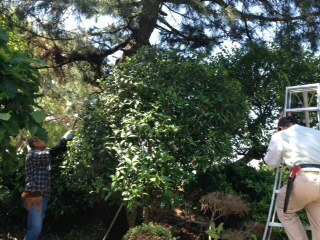 Our professional plantsmans provide the guidance how to trim garden trees for all four seasons. 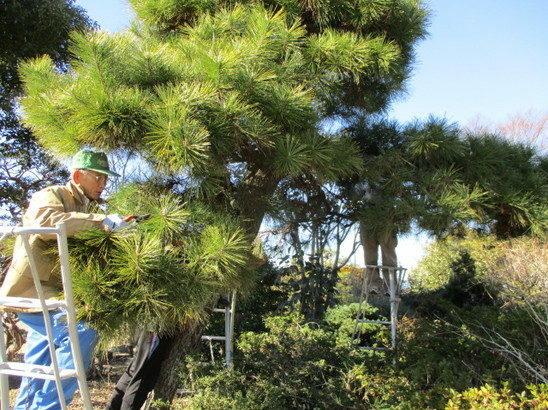 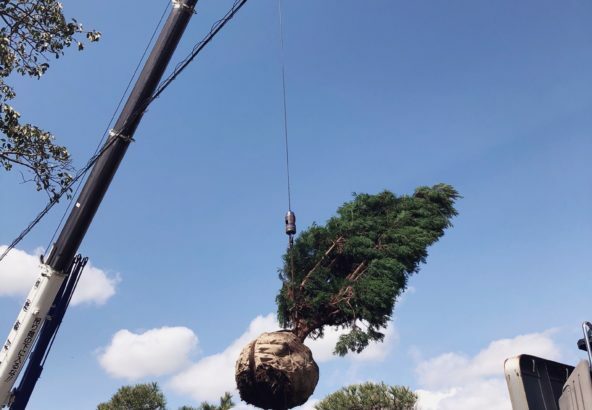 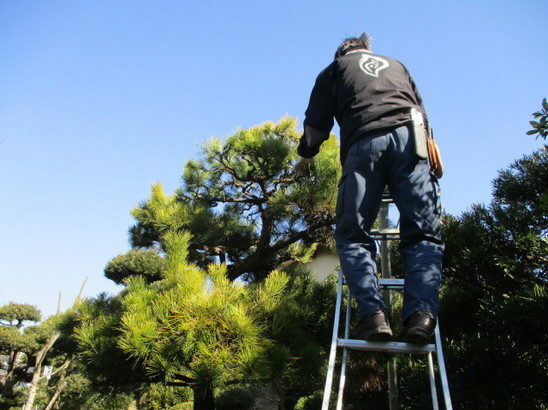 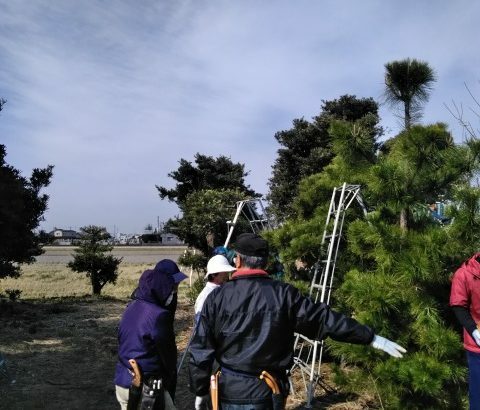 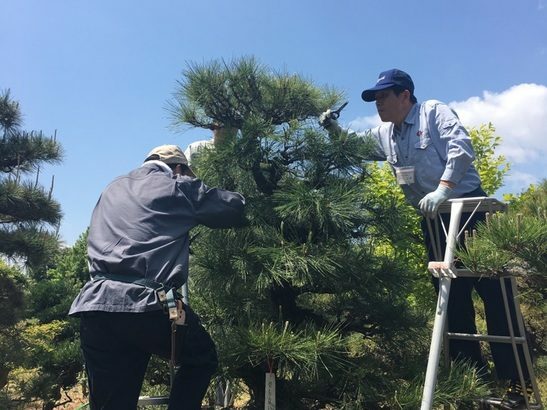 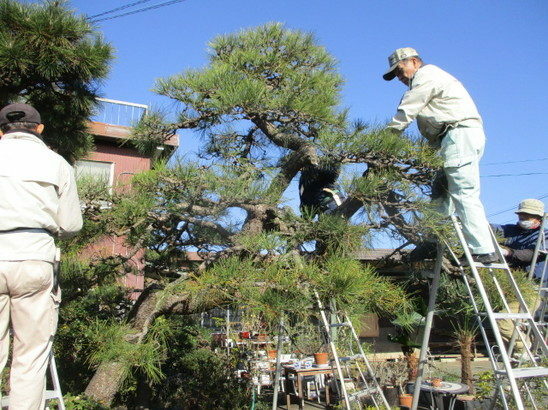 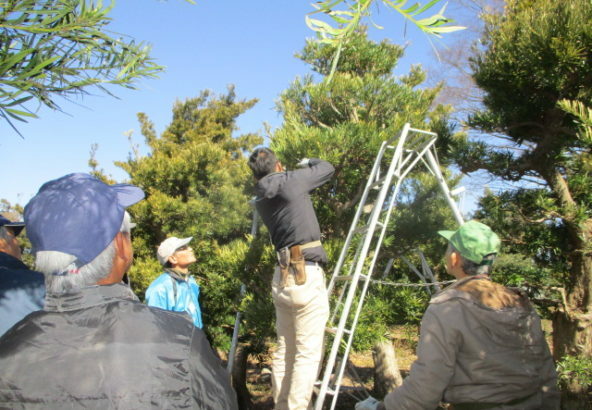 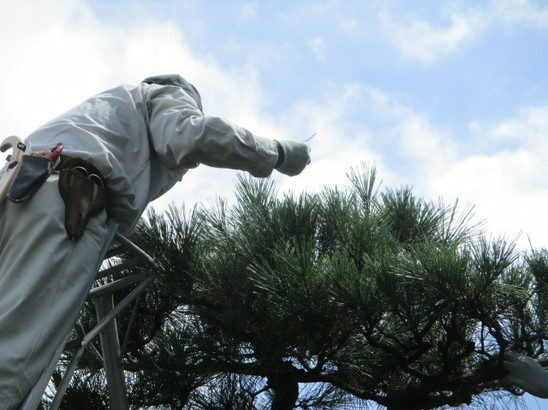 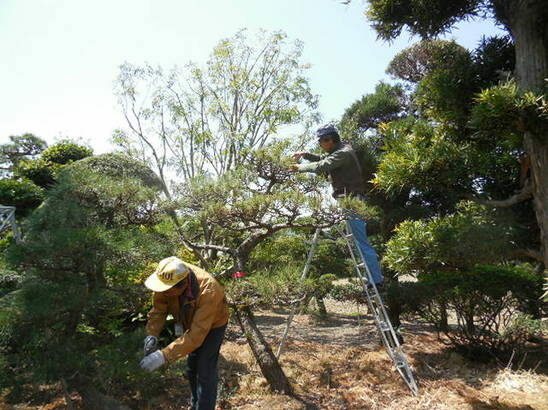 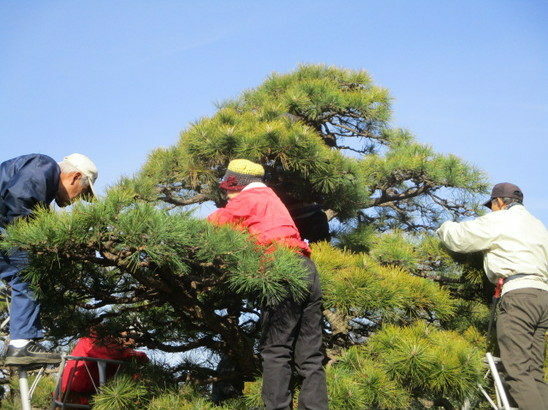 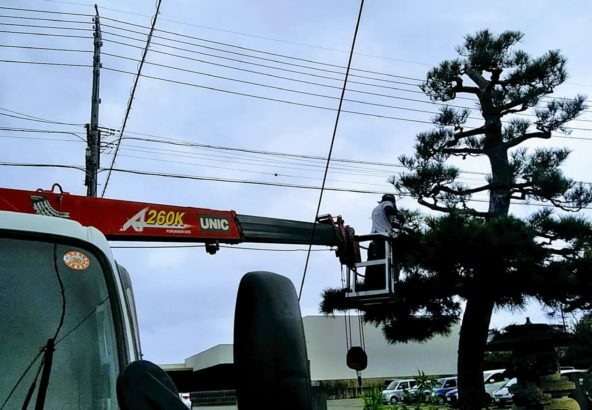 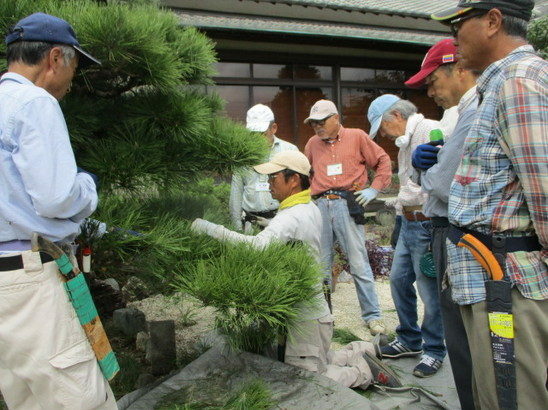 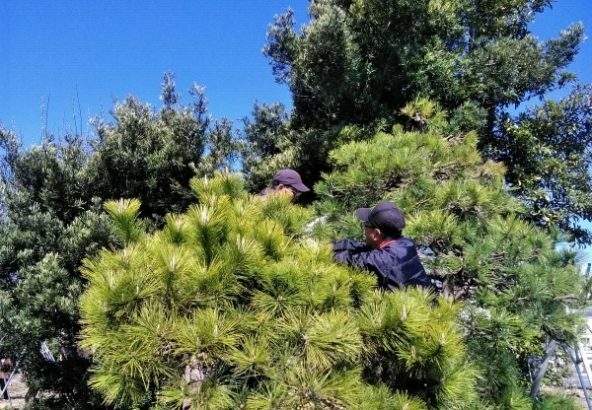 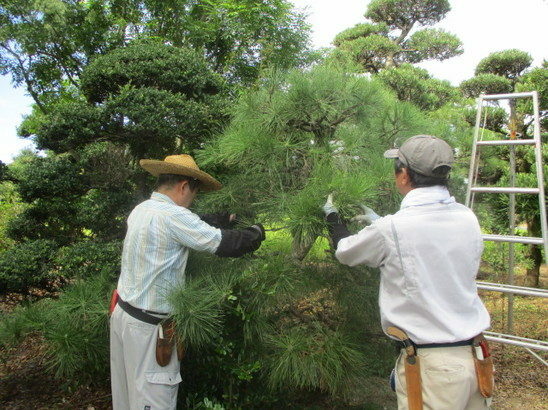 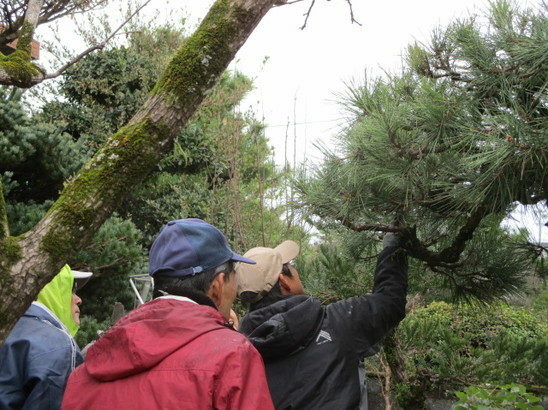 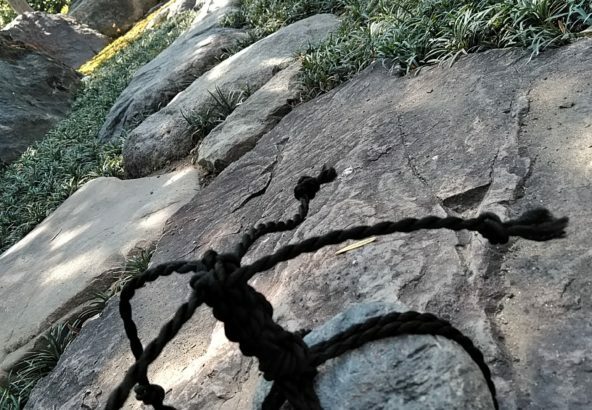 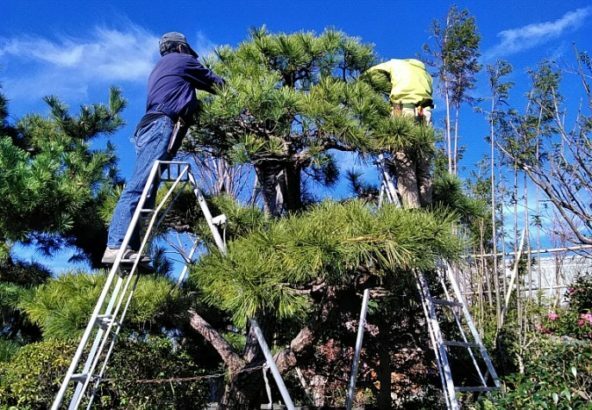 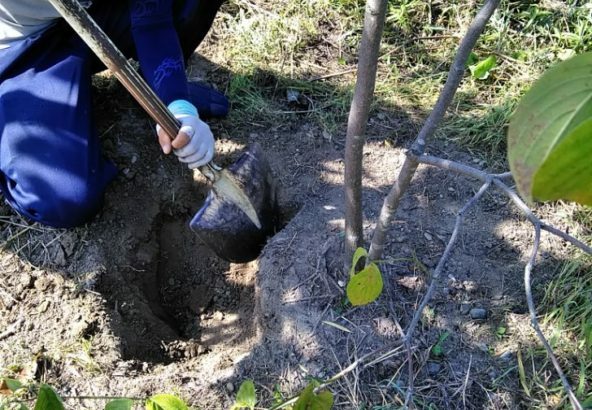 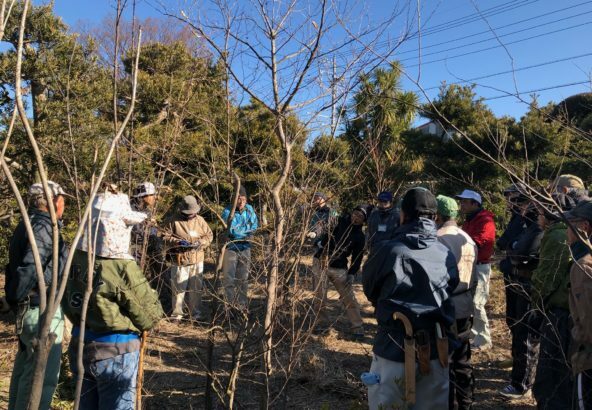 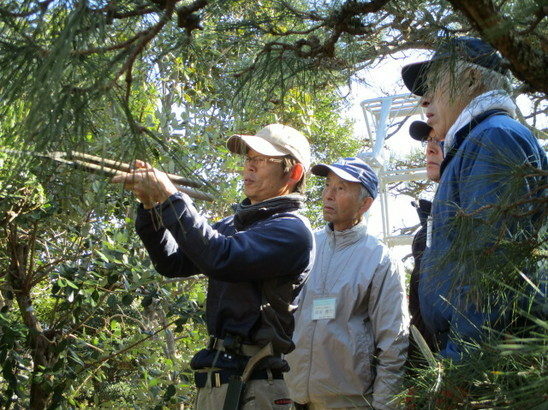 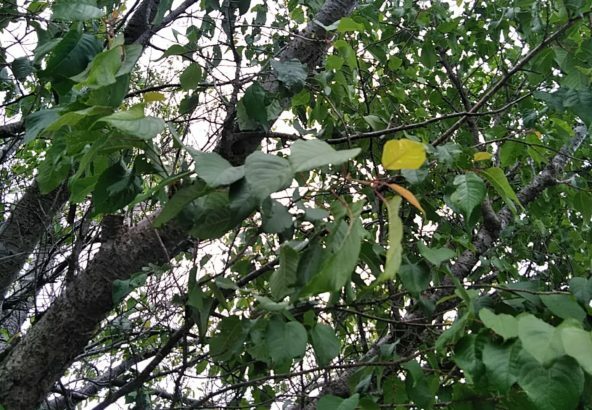 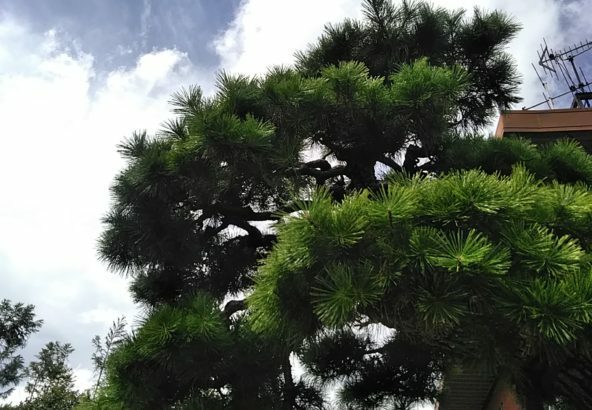 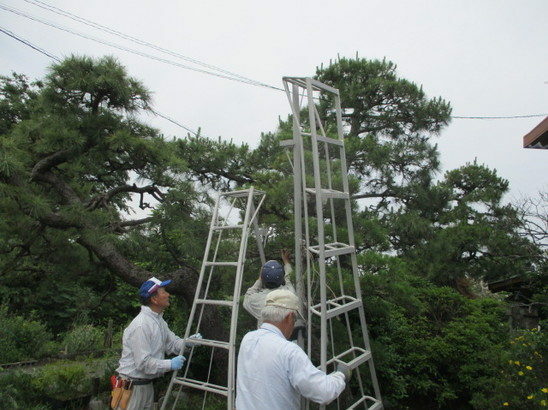 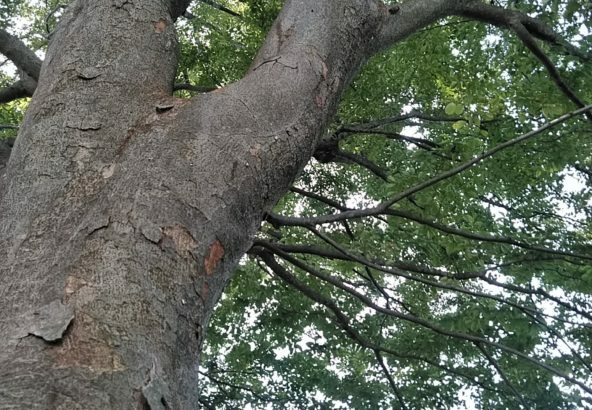 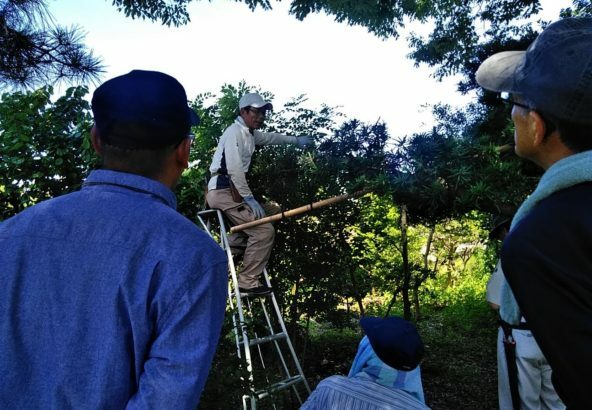 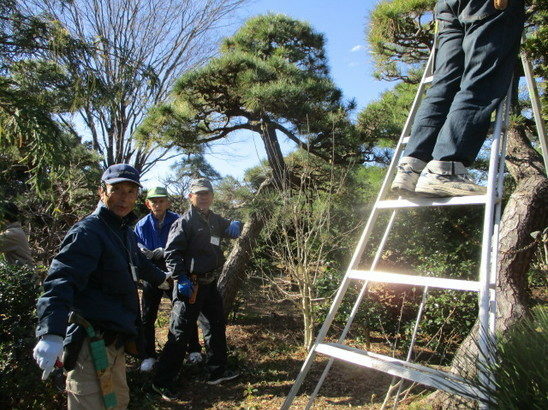 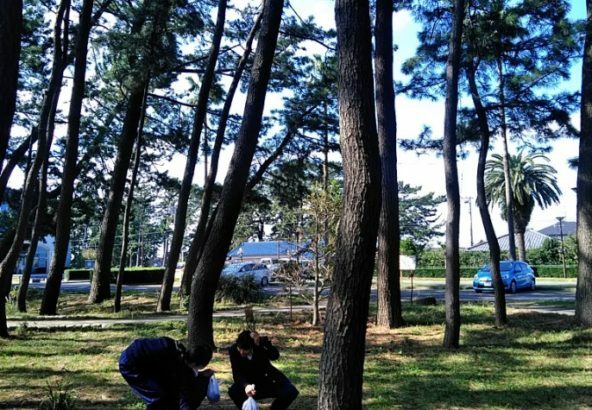 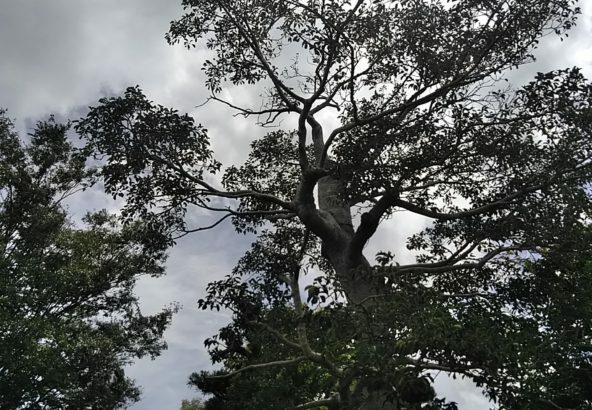 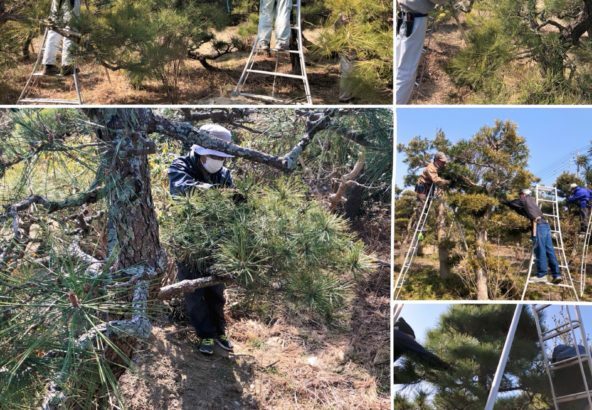 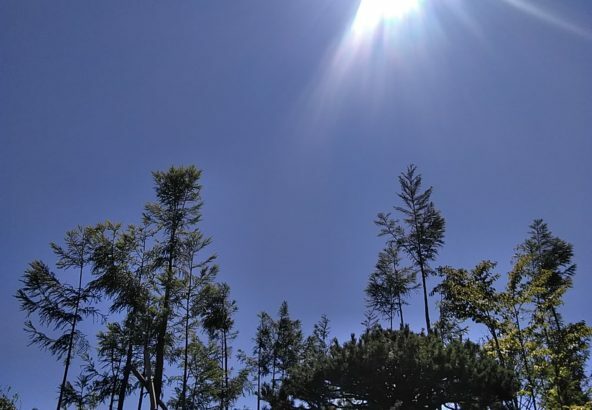 For the special trees like pines, which require particular trimming techniques, we offer specialized course so as to provide more precise and detailed guidance. 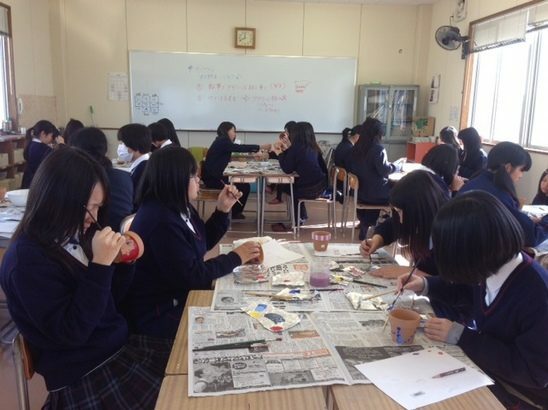 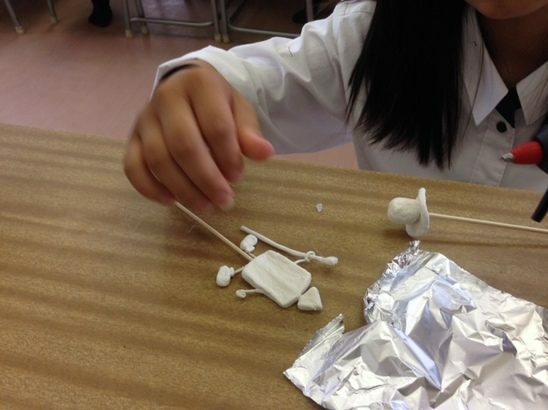 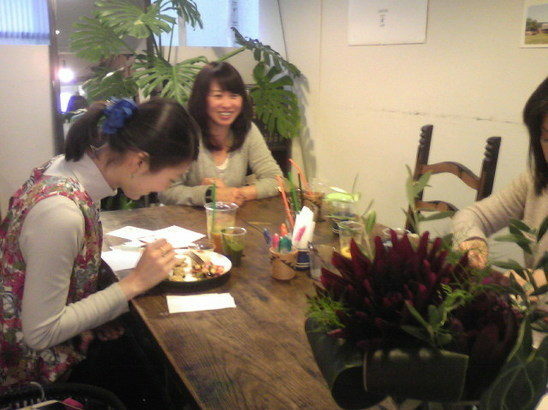 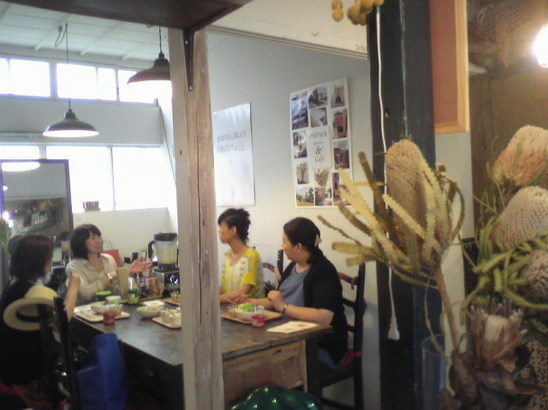 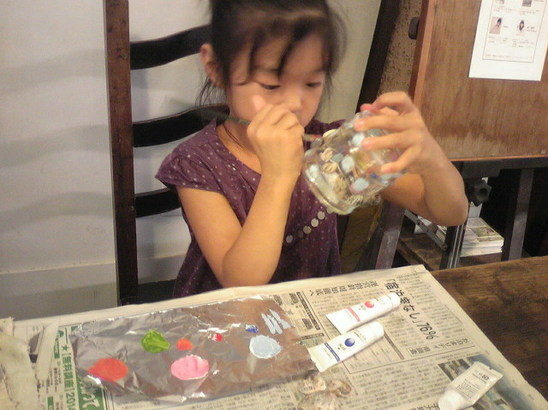 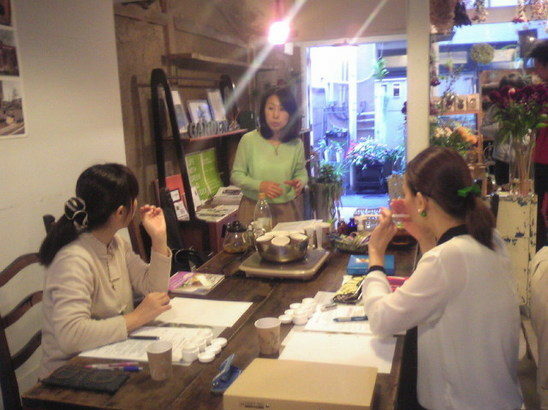 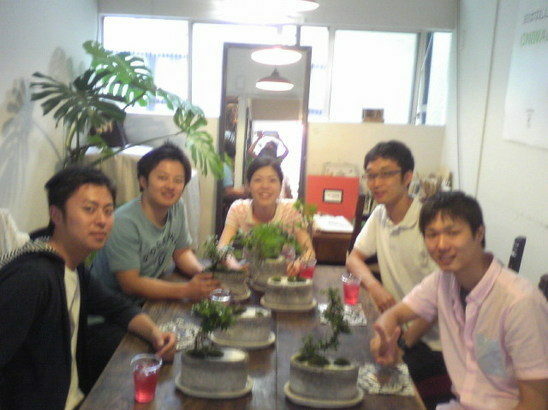 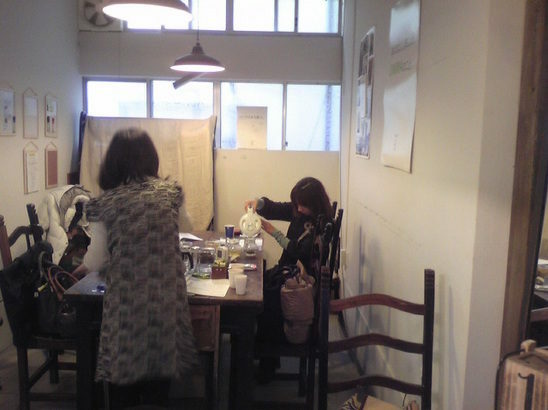 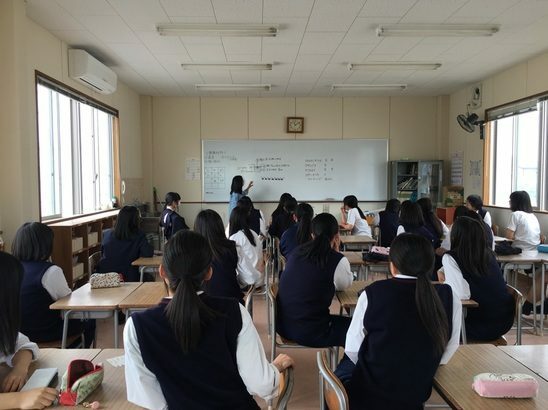 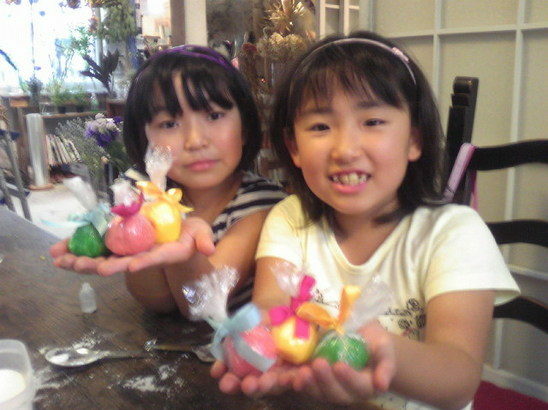 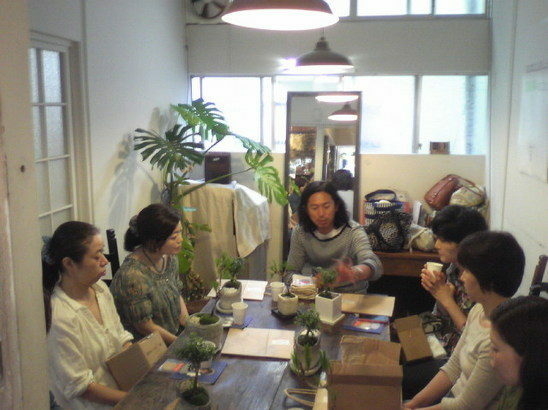 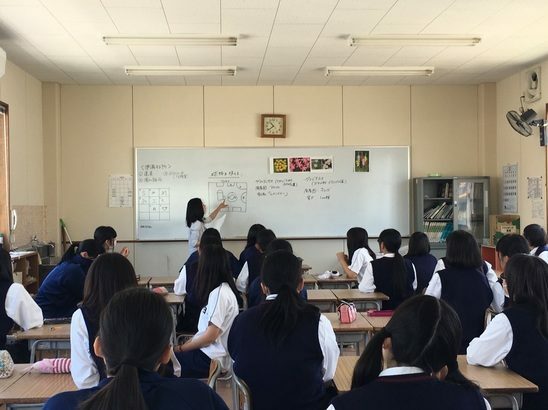 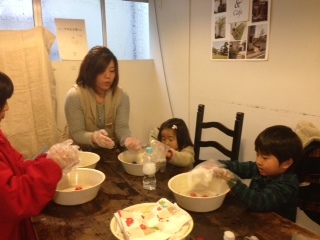 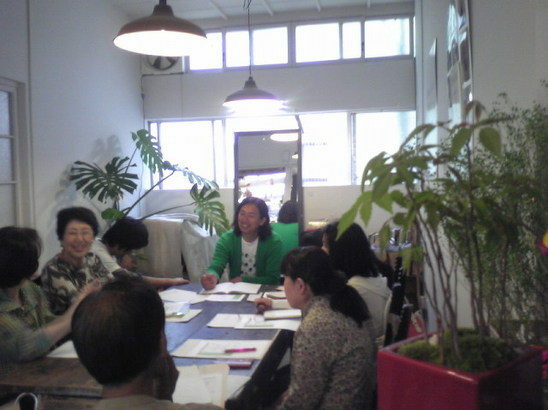 People from overseas are big welcome to take our courses. 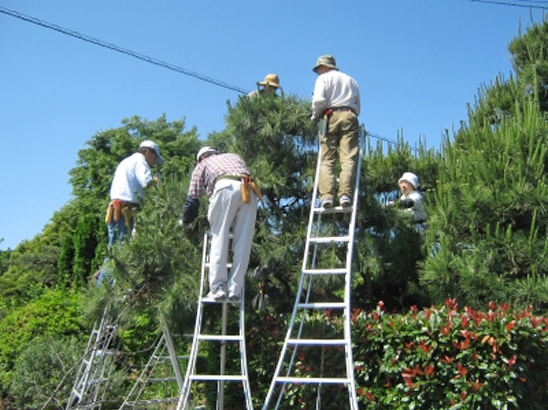 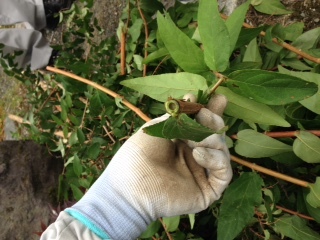 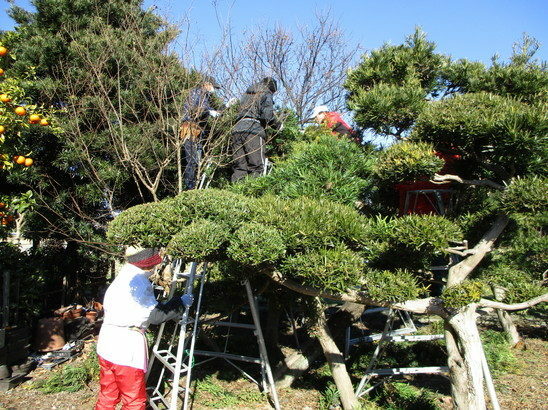 Some people may wish to learn landscaping by joining Working holiday program. 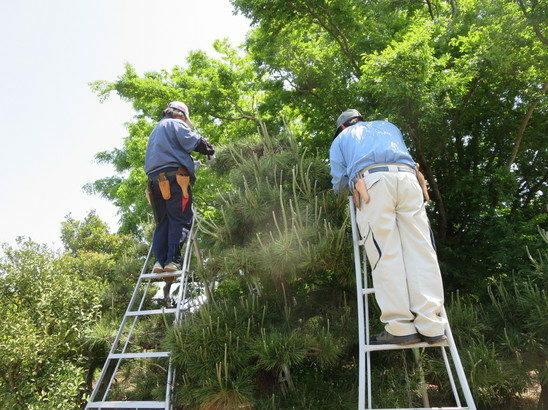 We are happy to help your wishes and please feel free to contact us. 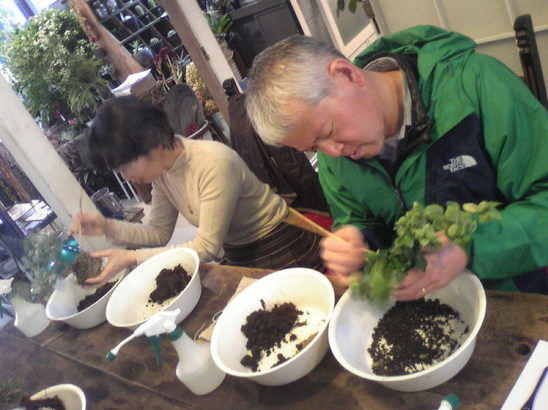 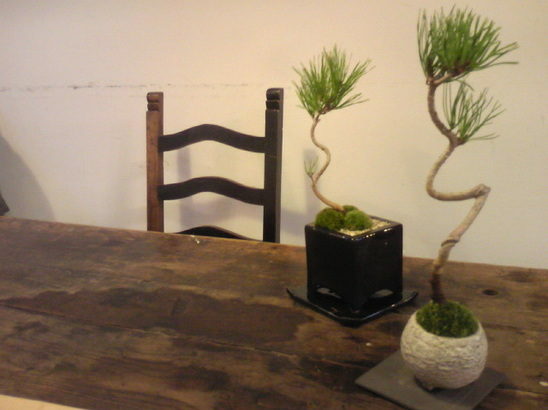 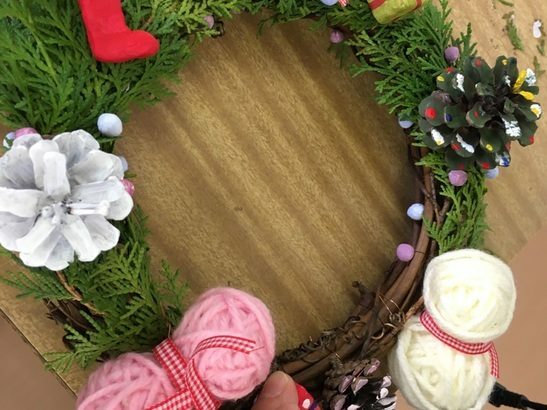 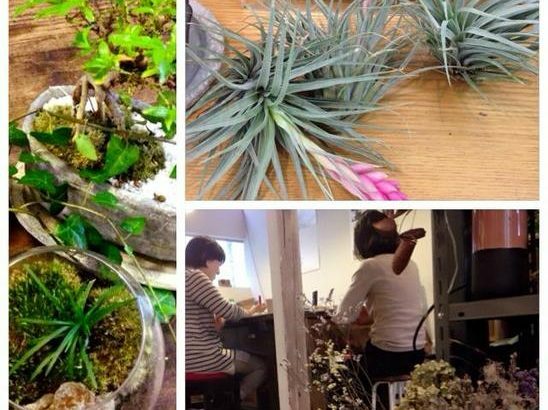 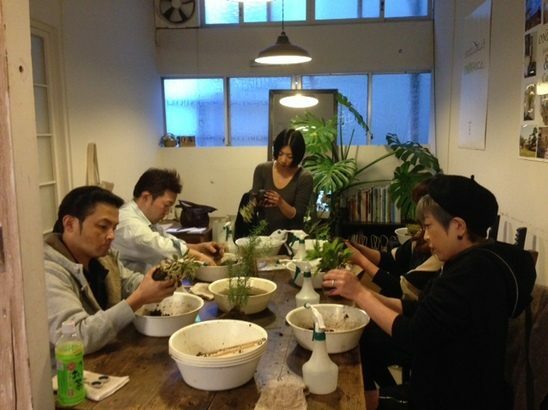 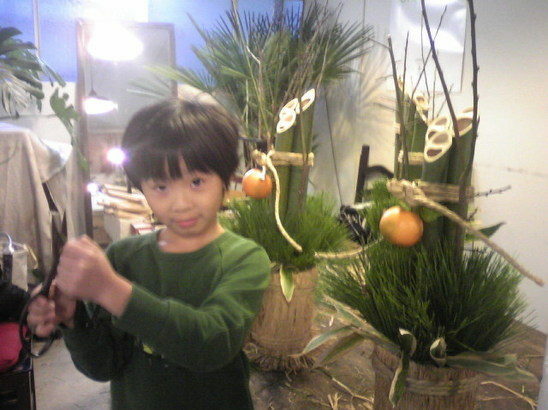 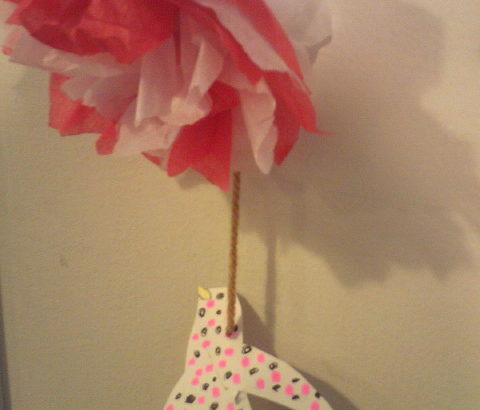 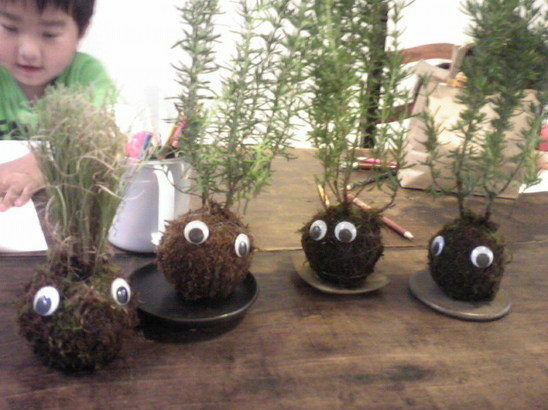 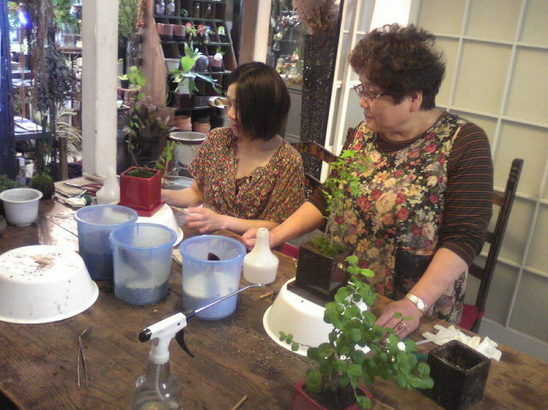 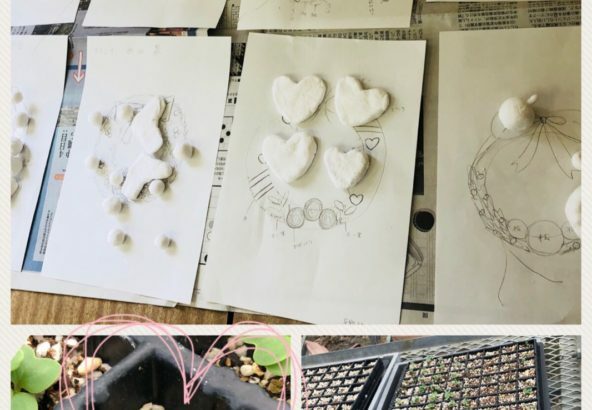 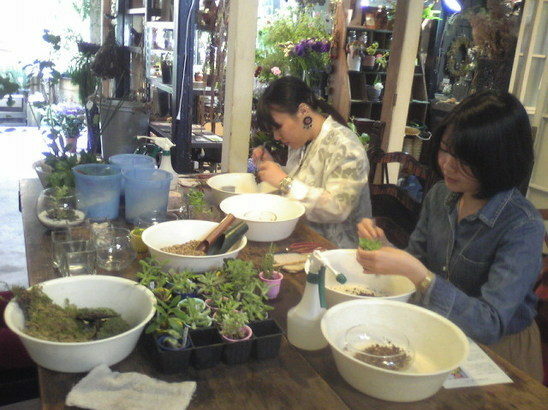 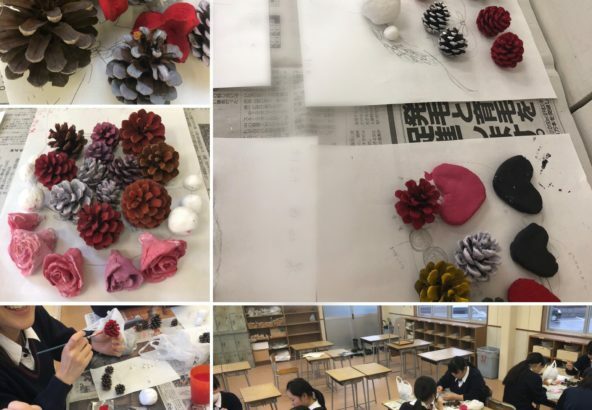 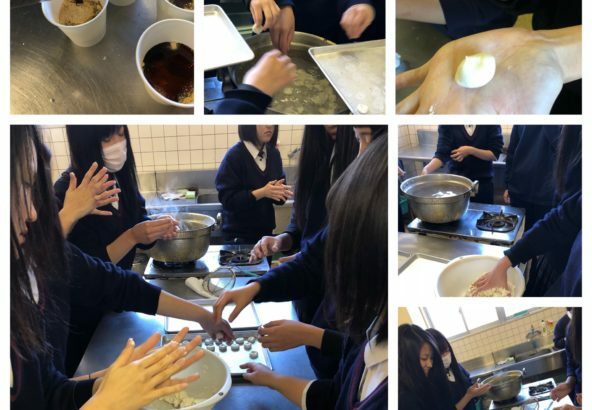 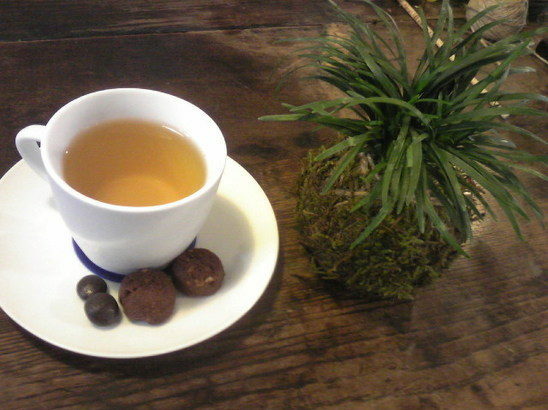 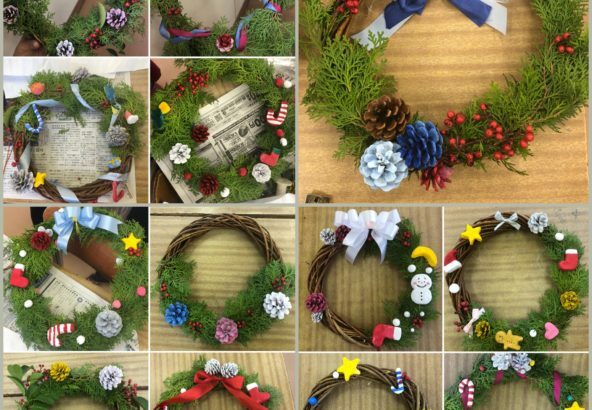 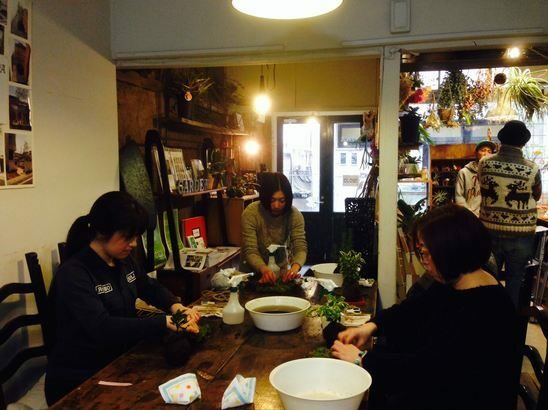 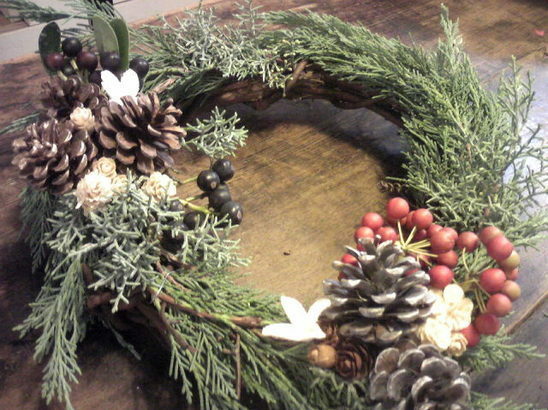 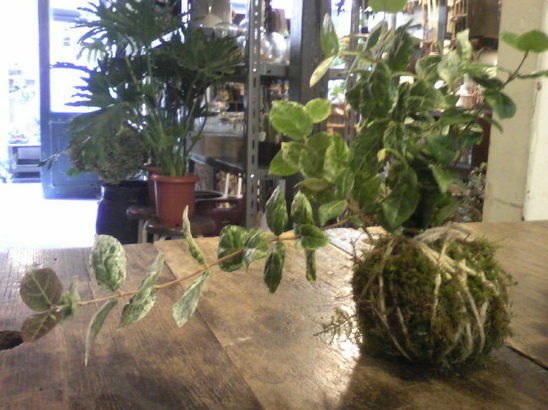 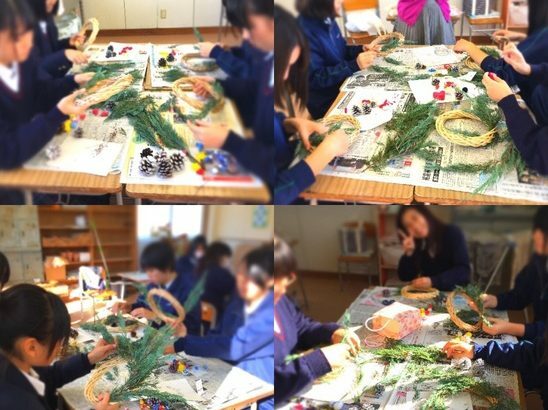 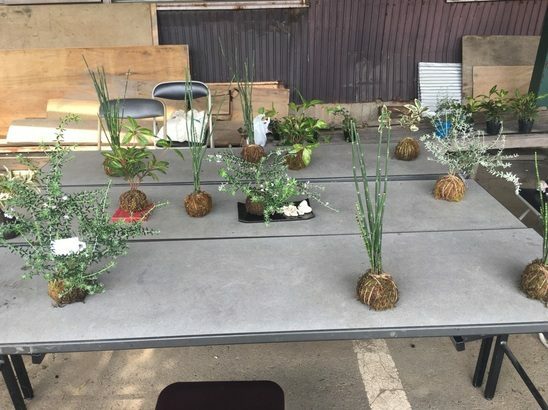 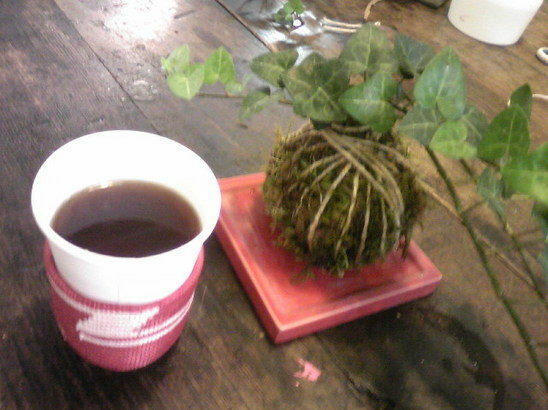 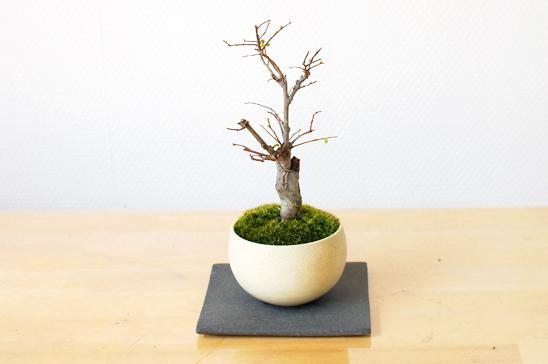 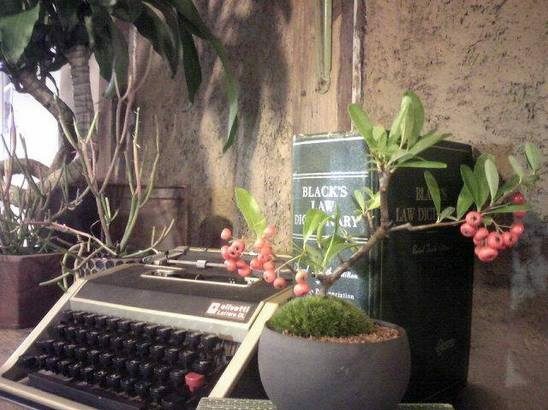 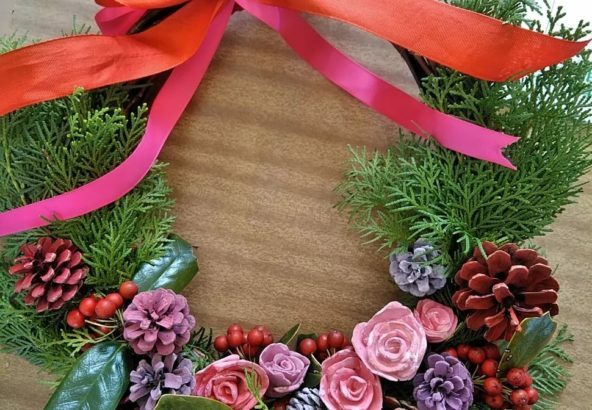 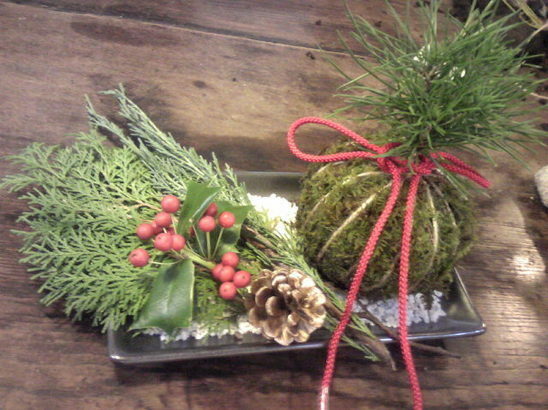 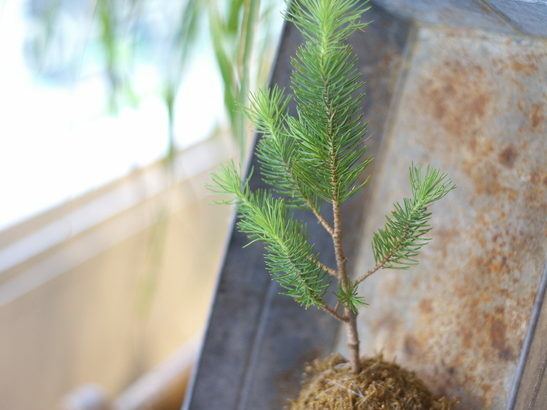 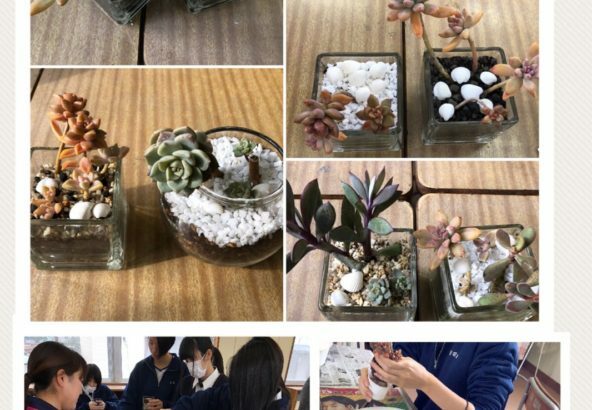 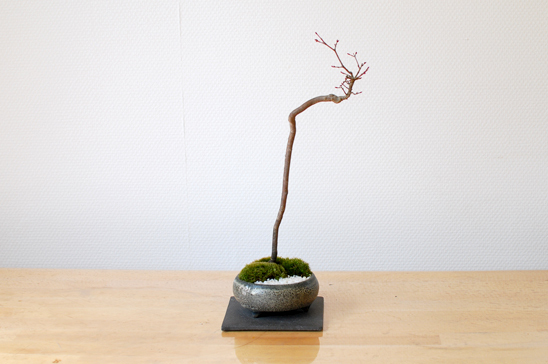 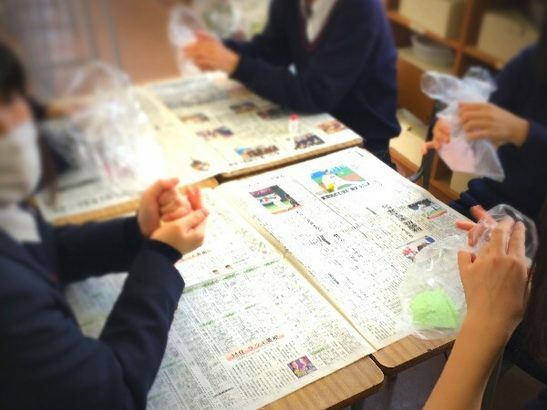 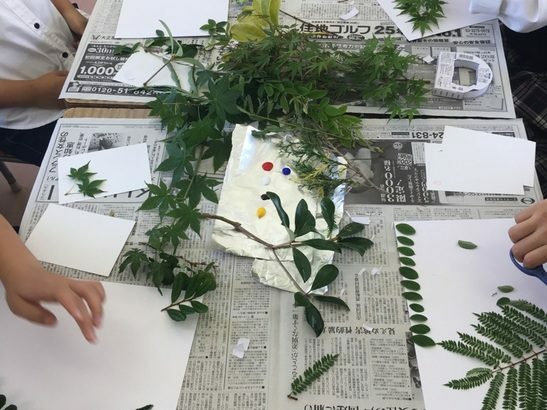 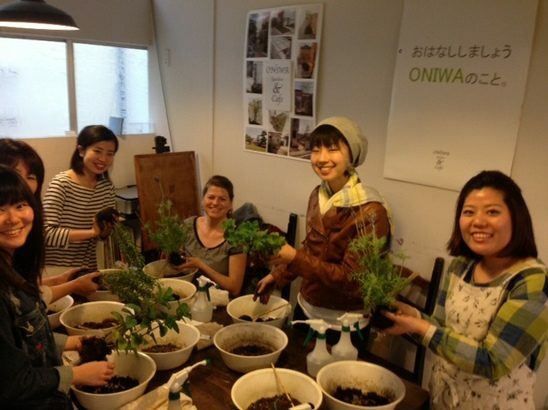 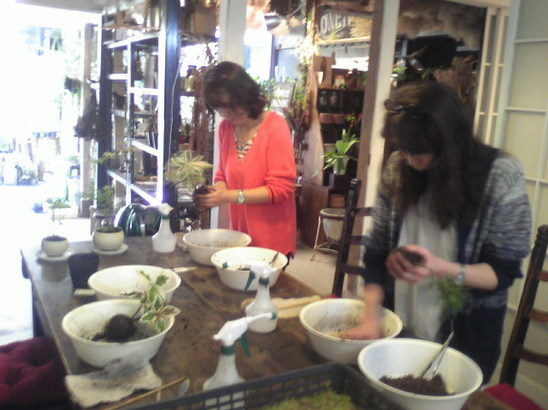 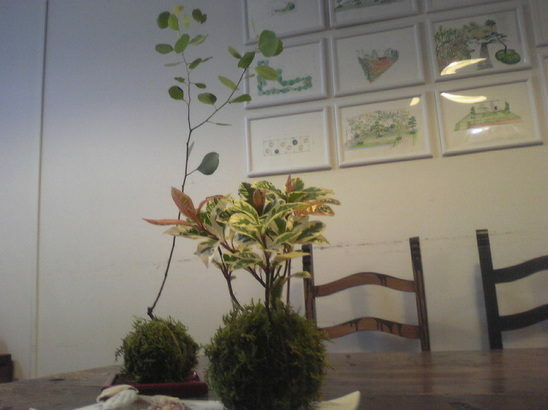 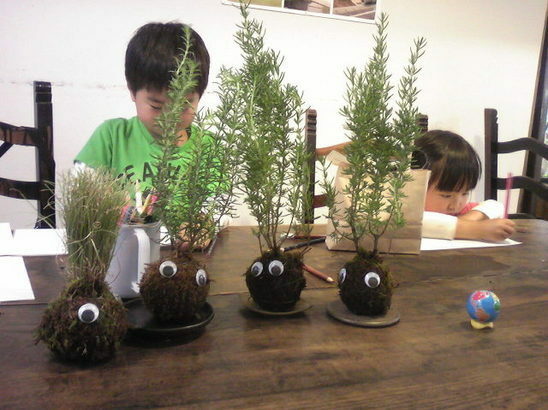 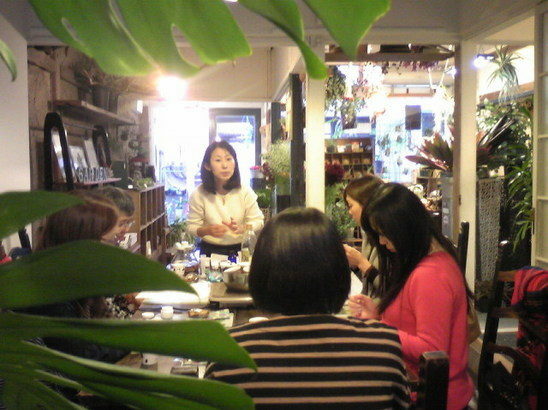 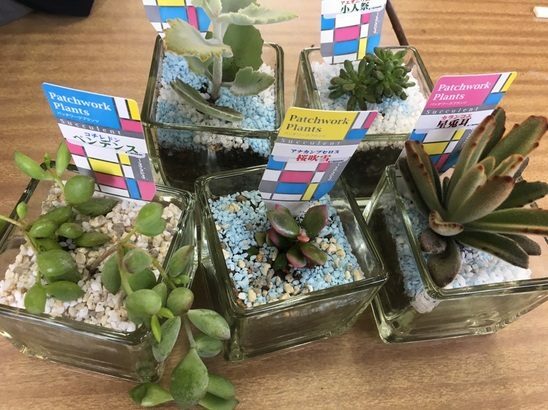 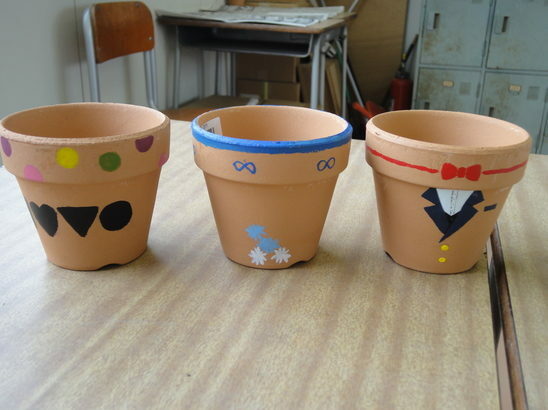 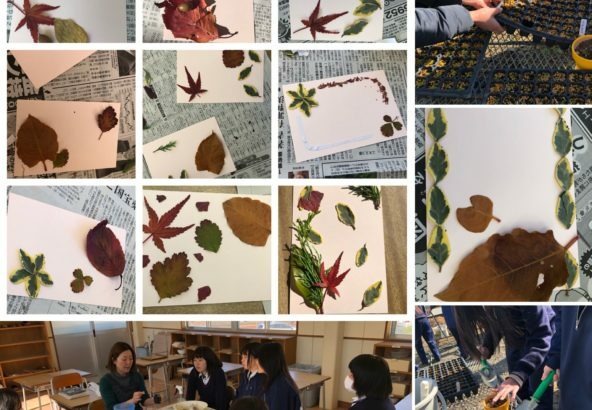 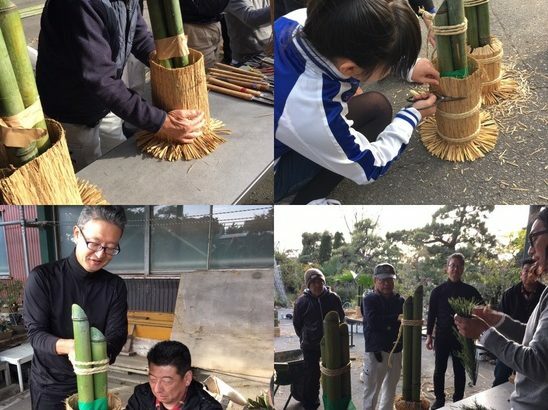 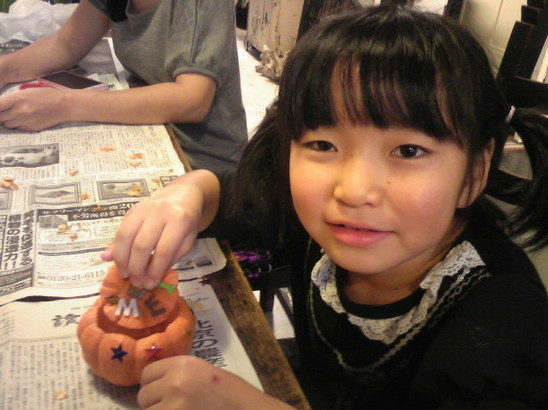 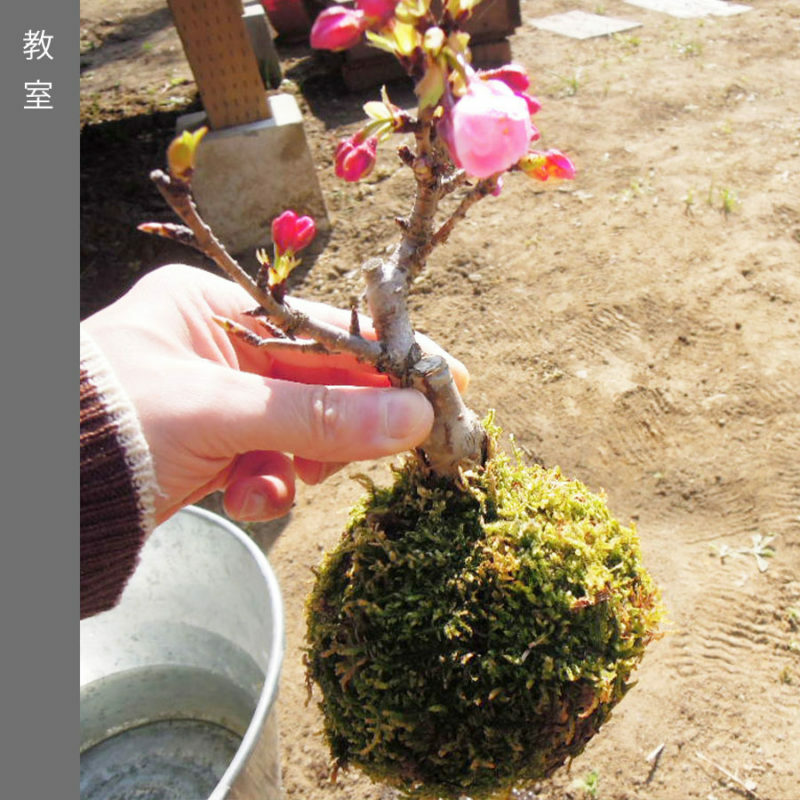 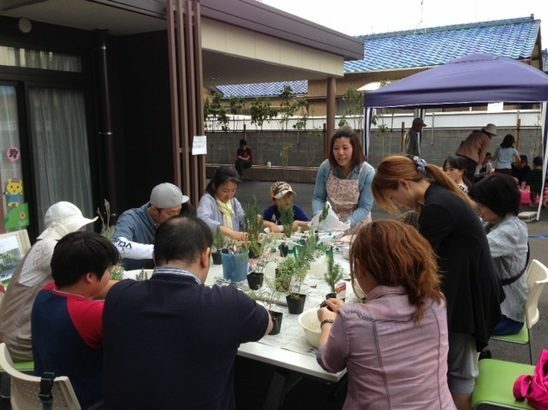 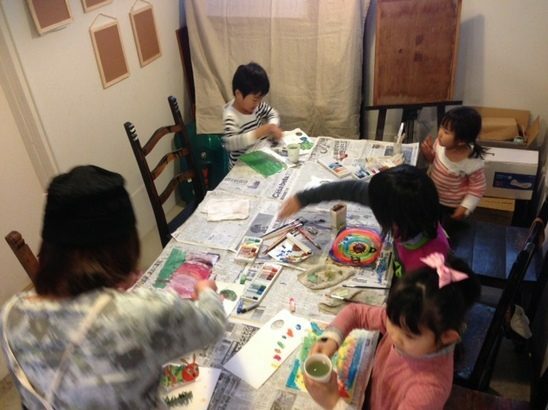 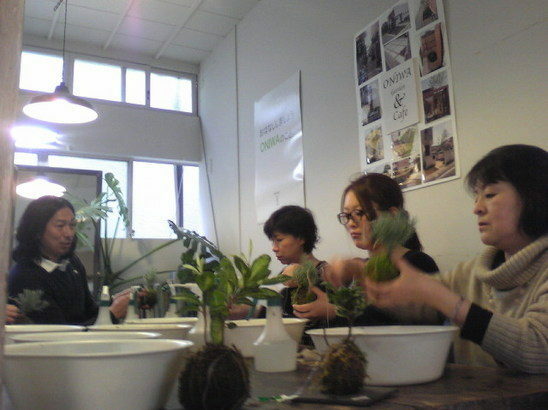 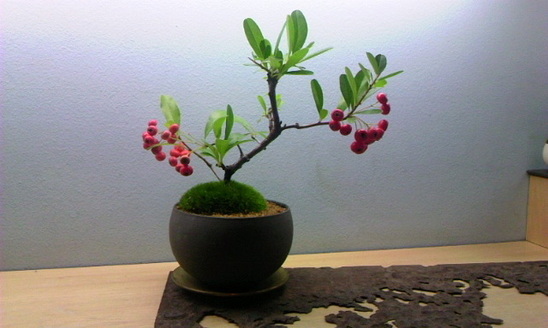 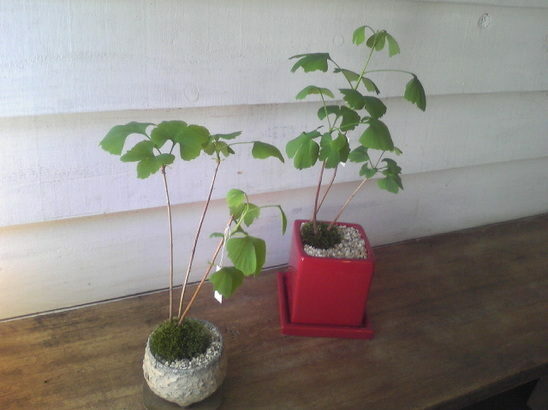 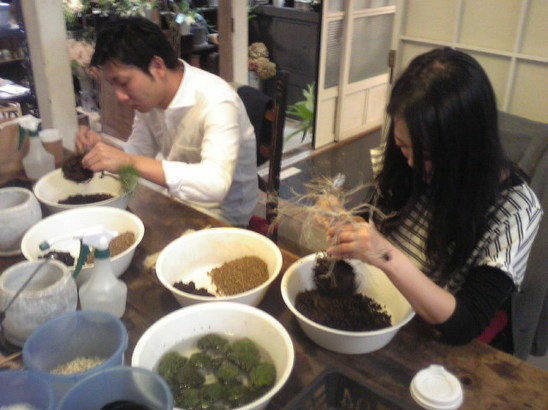 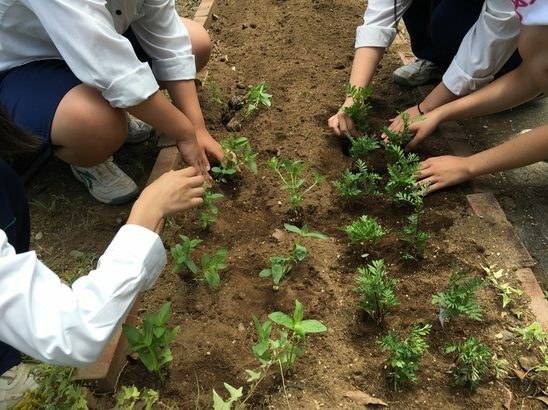 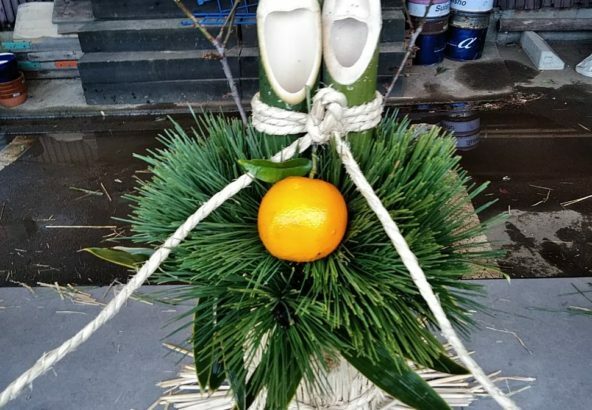 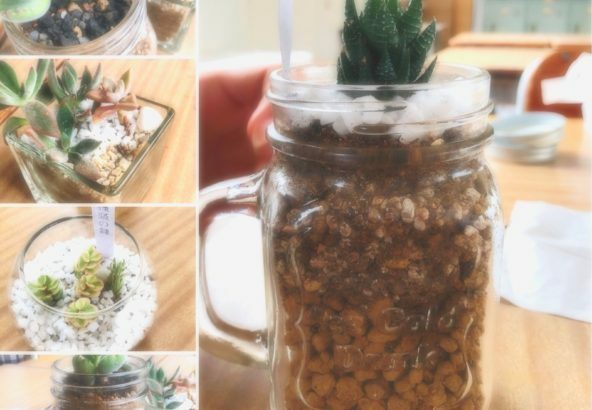 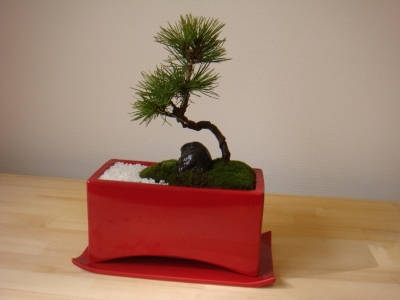 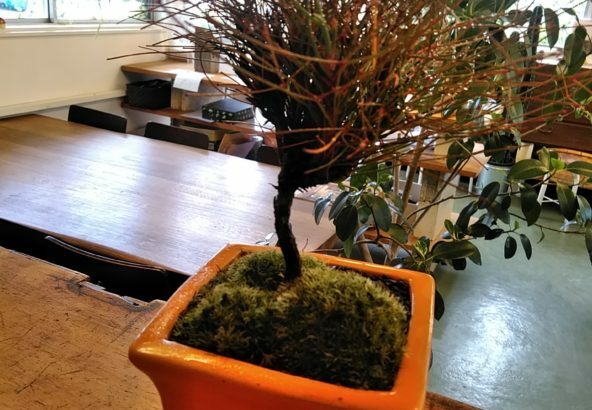 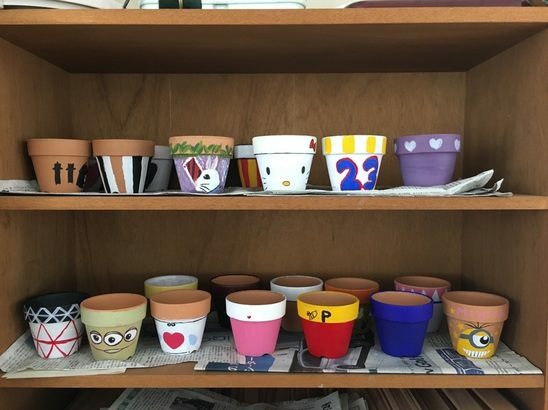 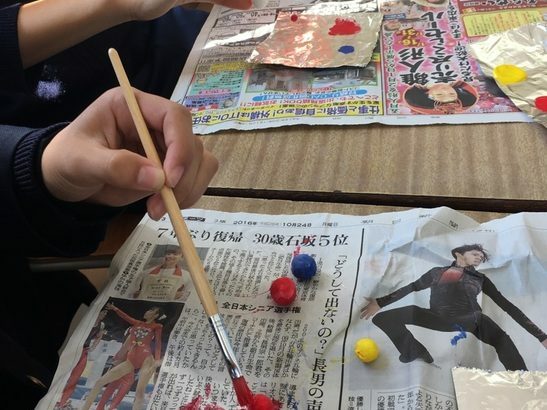 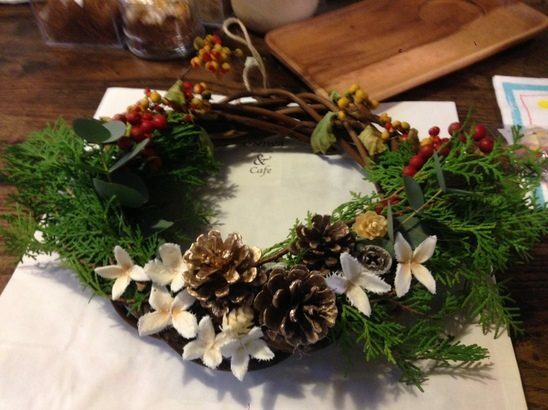 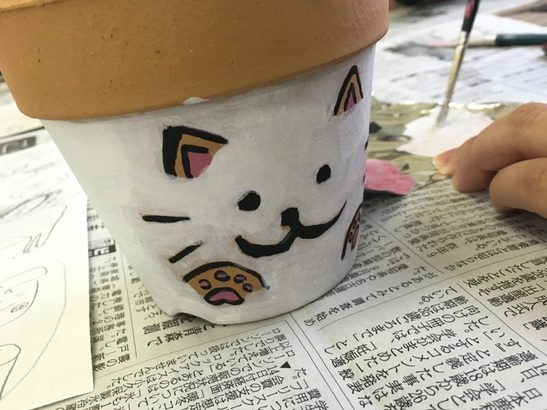 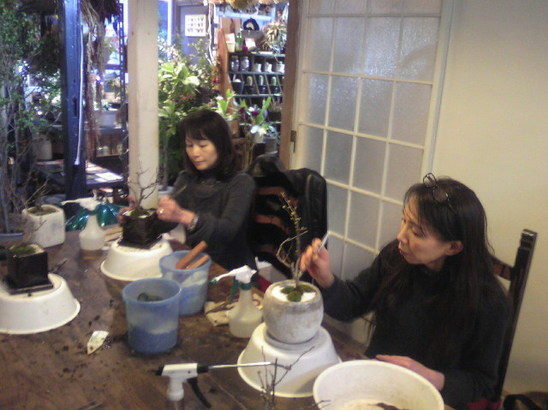 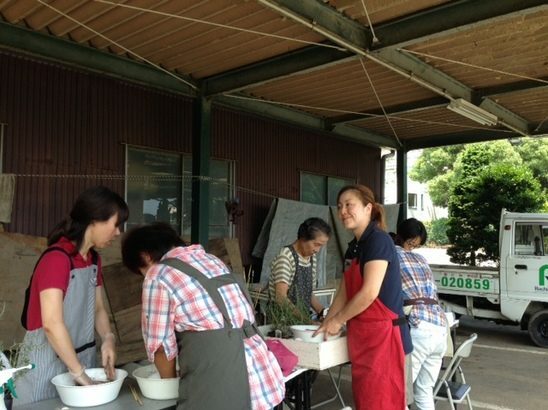 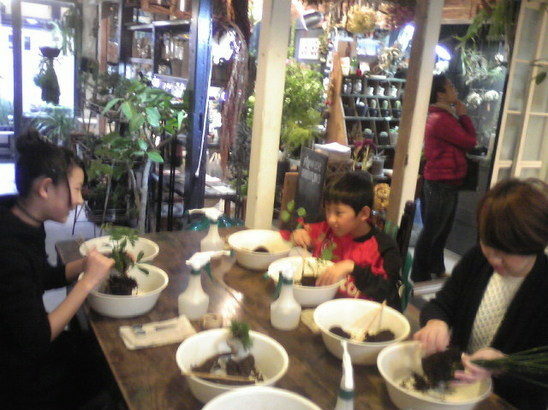 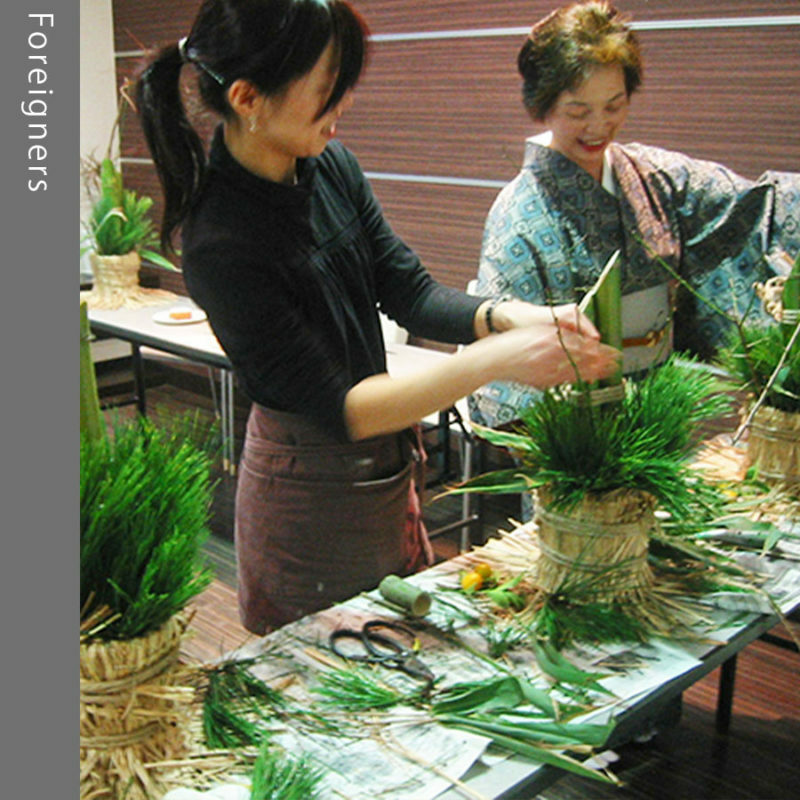 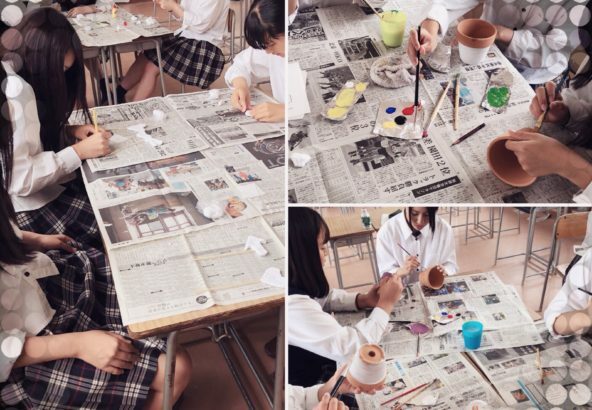 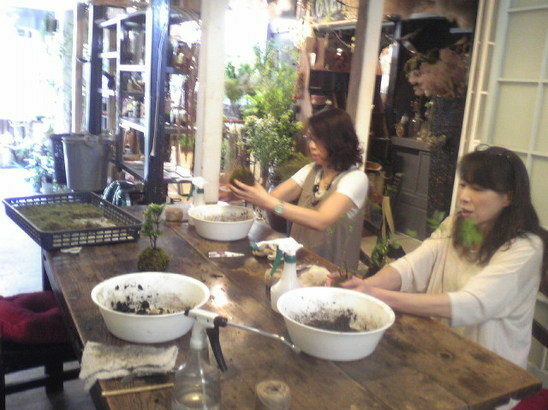 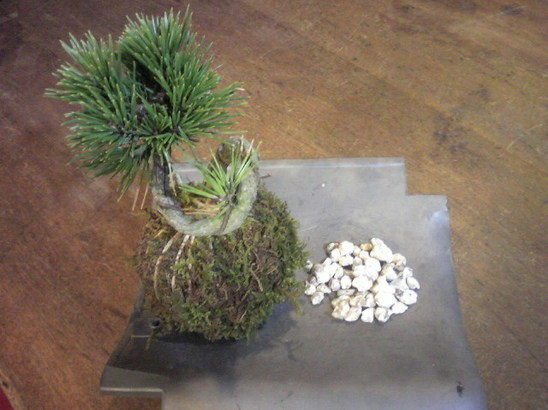 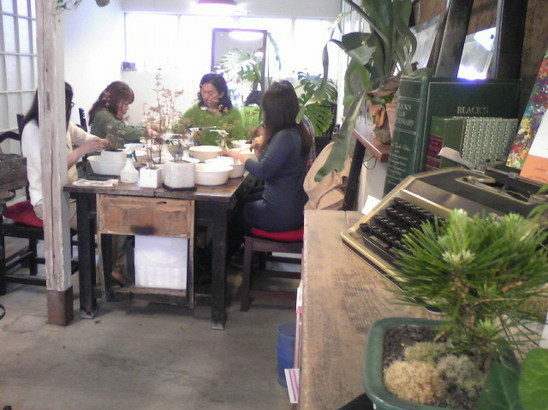 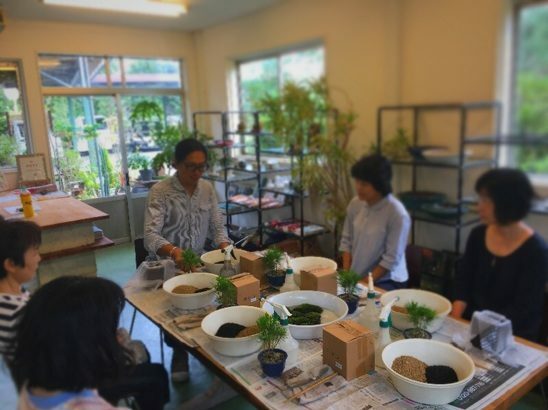 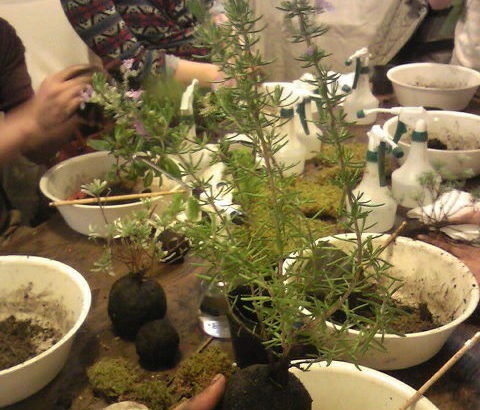 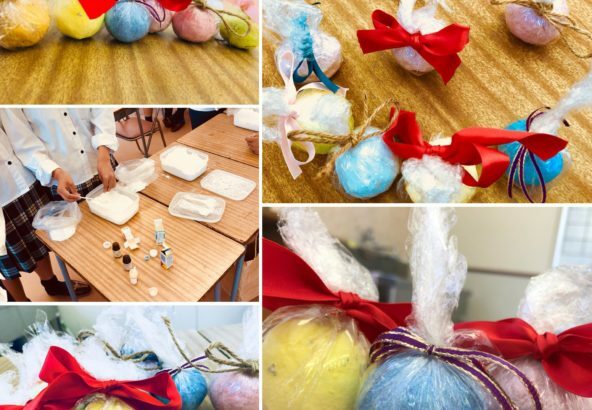 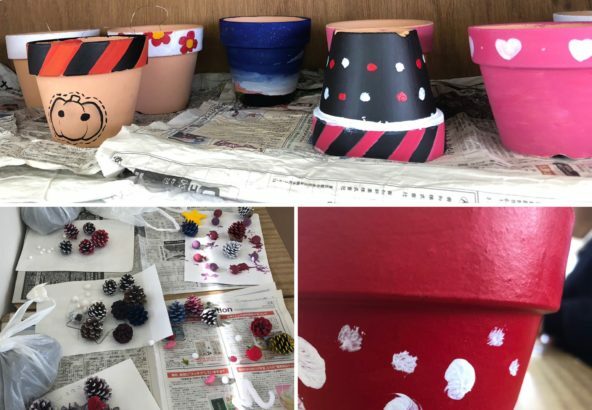 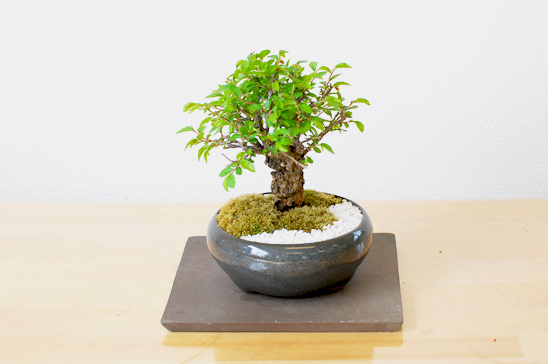 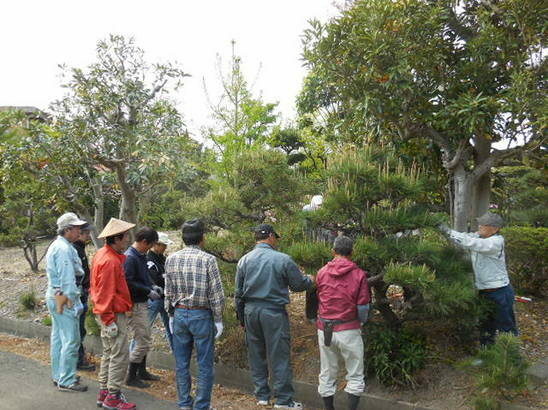 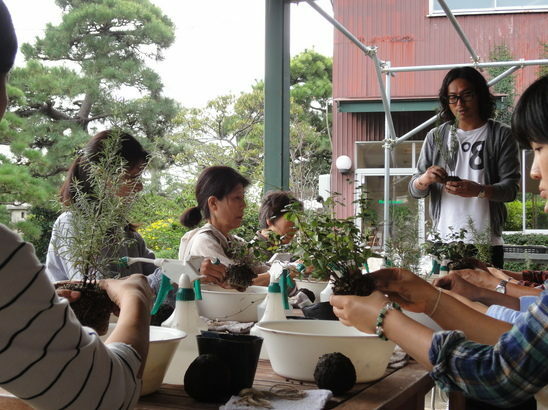 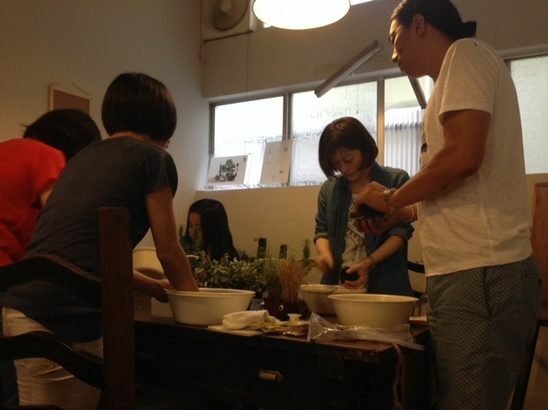 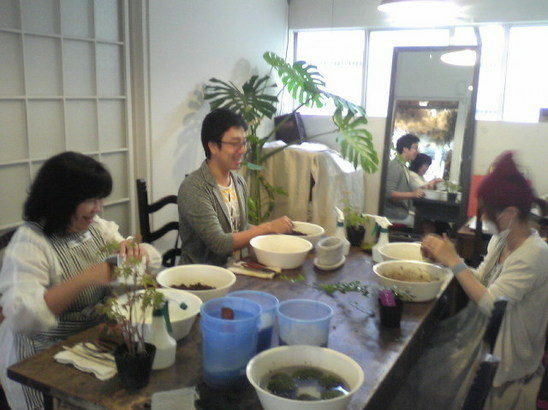 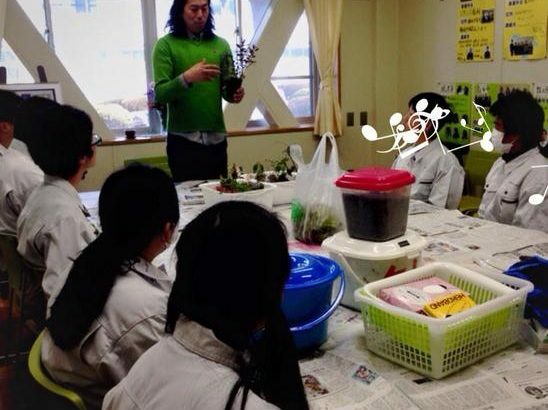 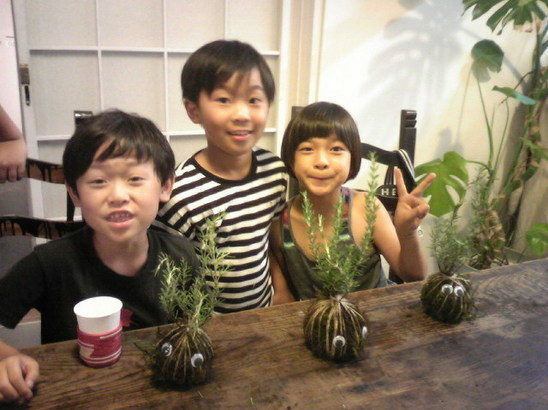 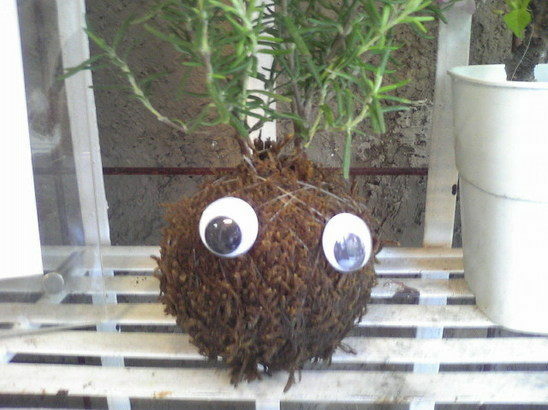 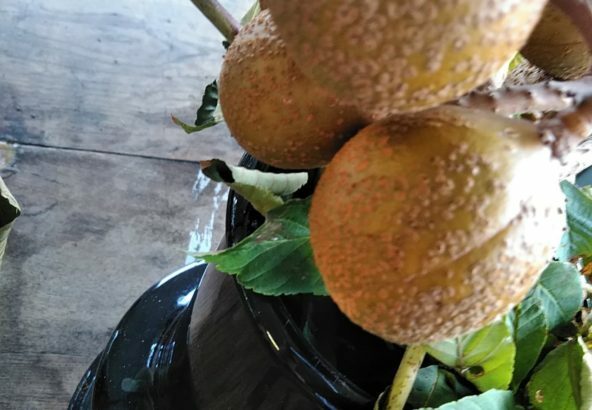 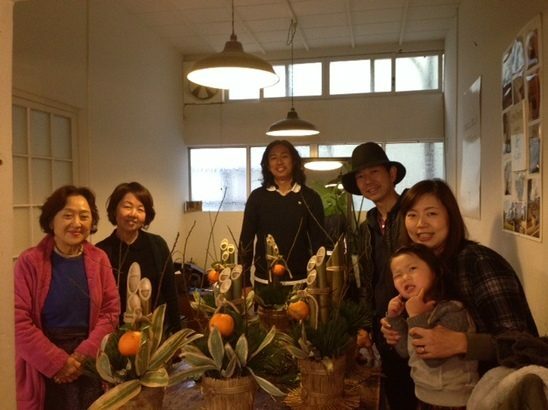 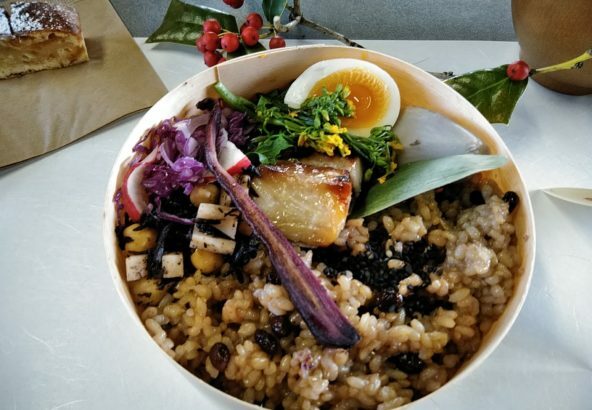 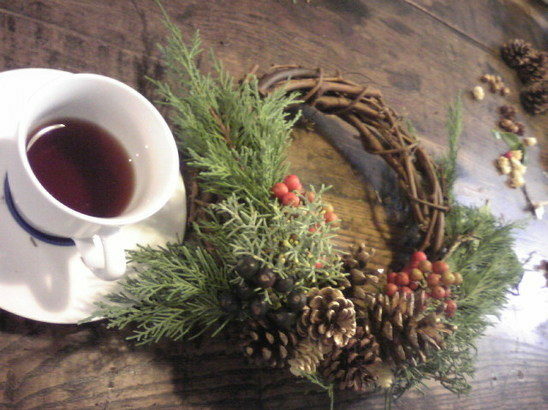 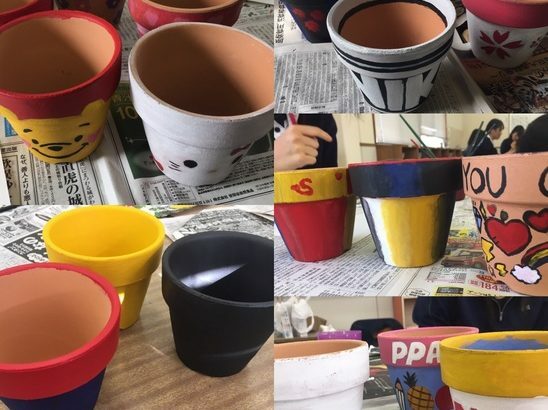 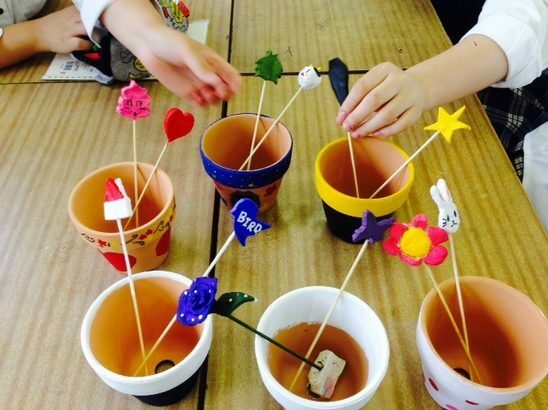 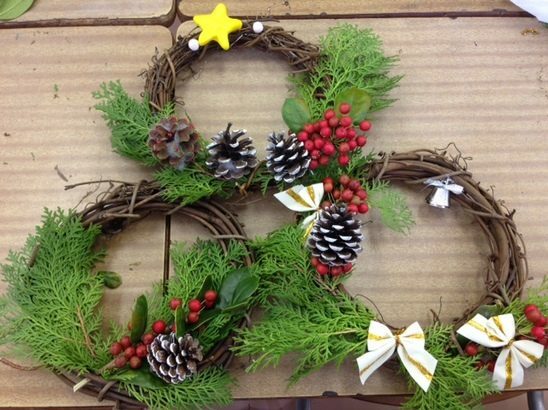 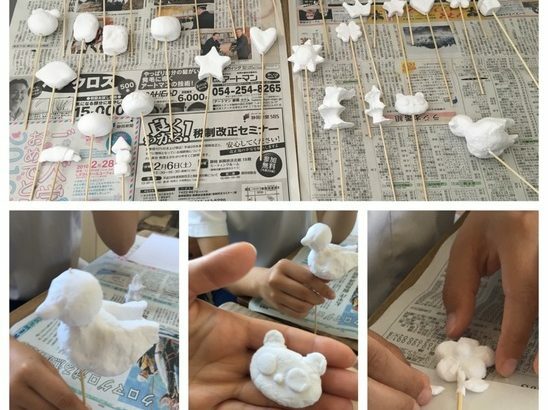 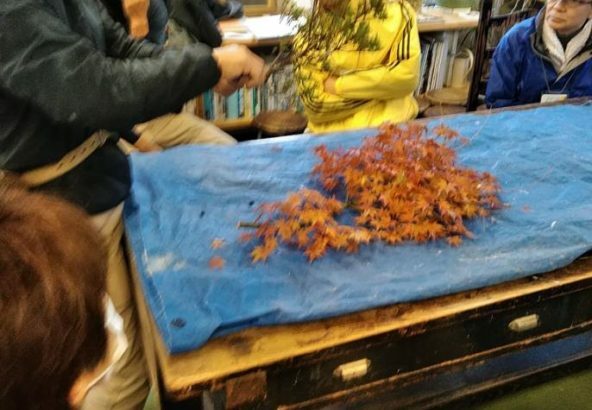 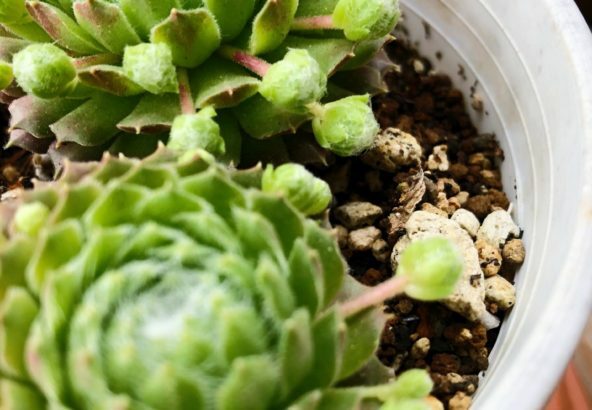 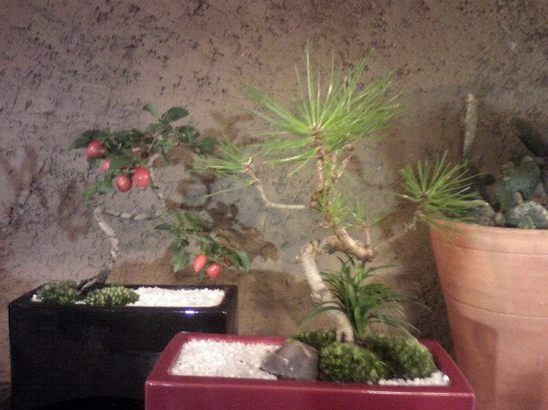 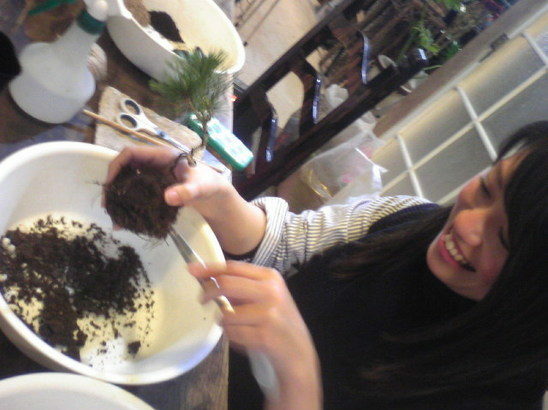 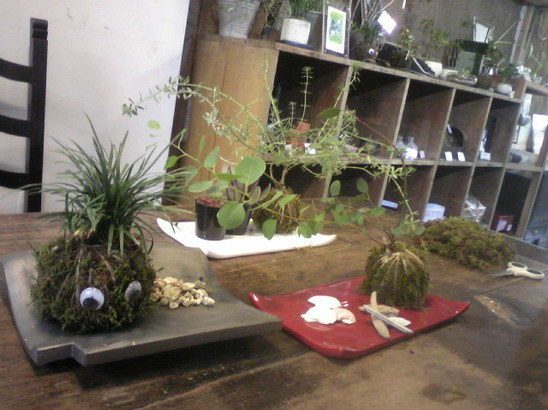 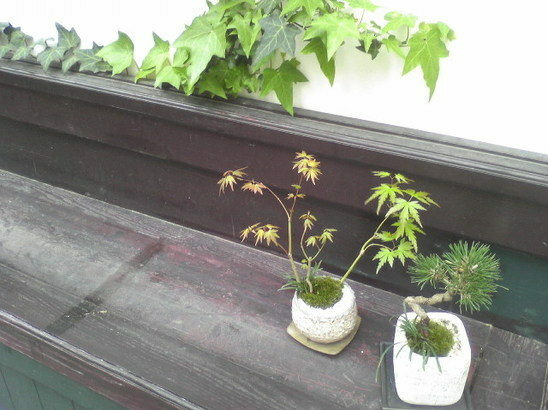 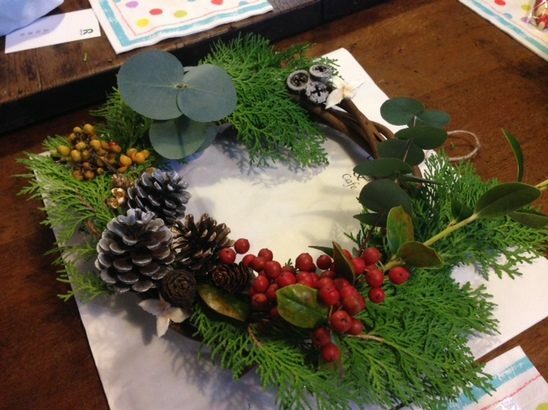 In addition to landscaping classes, we also offer popular seasonal cultural programs such as How to make Moss ball, Christmas wreath, Handmade New Year’s decorative pine trees. 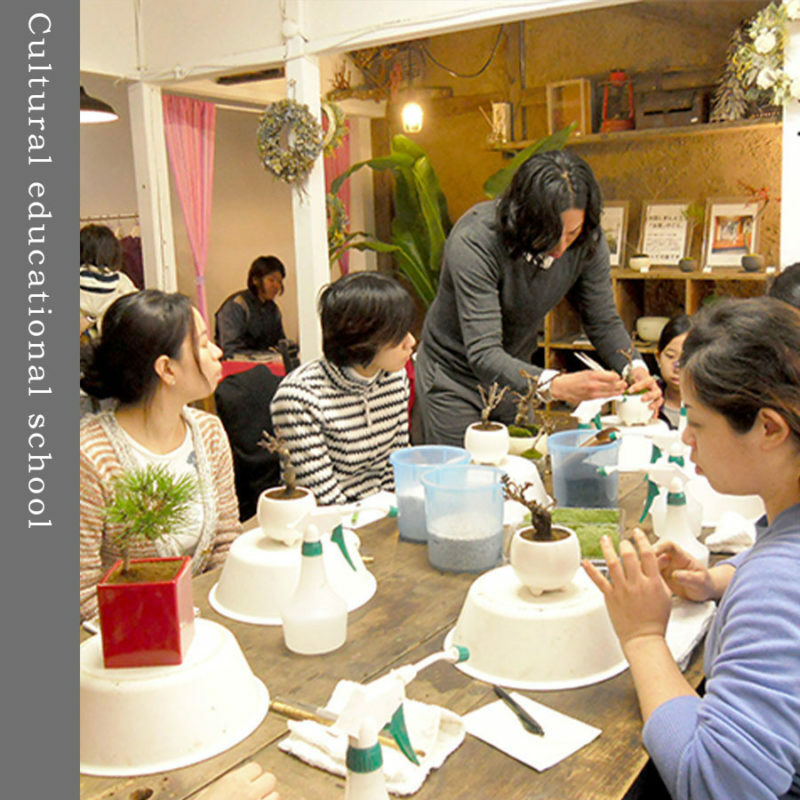 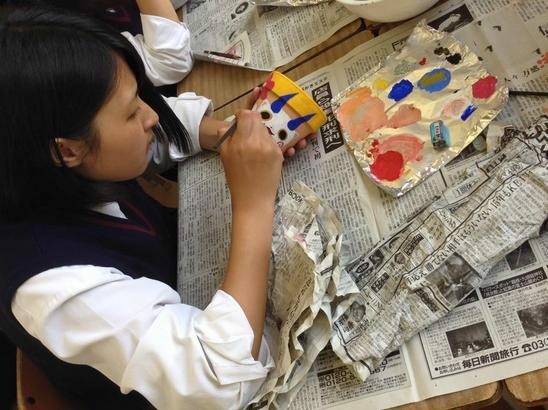 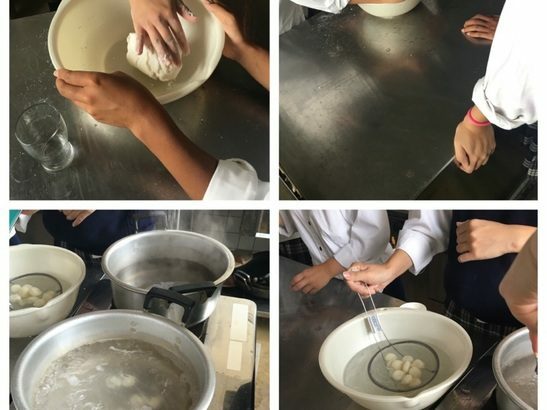 Internationally, we have offered international exchange programs and workshops in the United States, England, France, Vienna, Africa, China, South Korea, Hong Kong, Singapore, Vietnam and others. 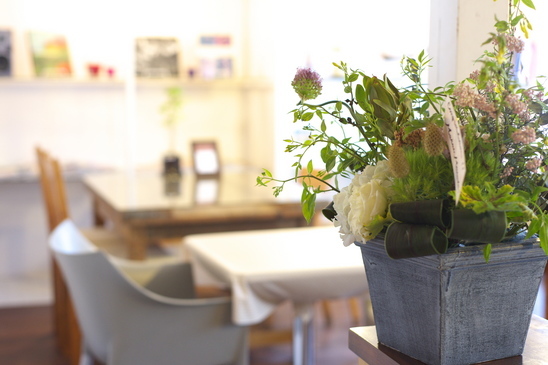 Please don't hesitate to contact with us if you have any question or proposal.